Influencer Marketing is growing at a blistering pace. New software, agencies, platforms, individuals and companies are appearing every week. To help sort through the options, we curated this list for 2019. While it certainly may not include everyone, it’s a start. 1000 Heads ia Word of Mouth agency that has social expertise at their center. With a focus of brand recognition in social media, 1000 heads puts the “social” in social media first and creates content strategies for all of their clients across the United States, United Kingdom, Germany, Australia, and Dubai. 360i is a full featured digital marketing company with offices across the globe including Atlanta, NYC, Chicago, London, and Toronto. With a specialization in digital, they have partnered with multiple Fortune 500 companies like Coca-Cola, Nabisco, and Nestle for influencer marketing campaigns. 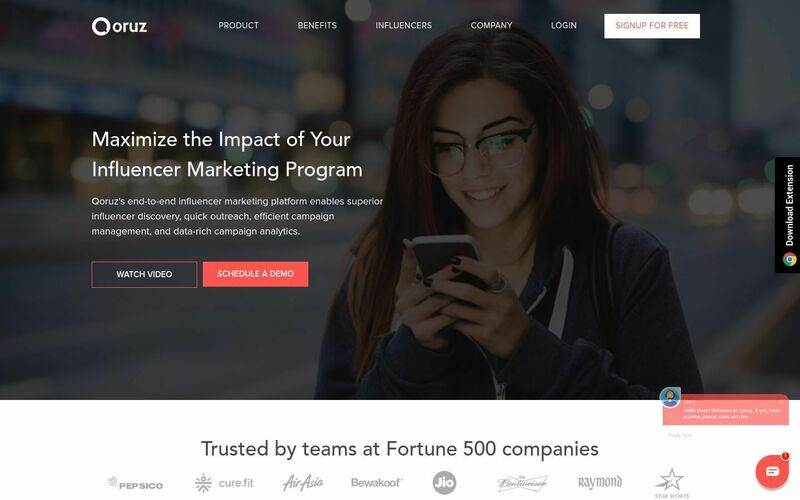 Acorn Influence is a digital agency focused specifically on influencer marketing. They are located in Bentonville, Arkansas and work to provide maximum ROI on all of their influencer marketing campaigns. By using smart algorithms, comprehensive client-focused strategy meetings, and smart data analysis, Acorn Influence pinpoints the perfect influencer market for your organization. 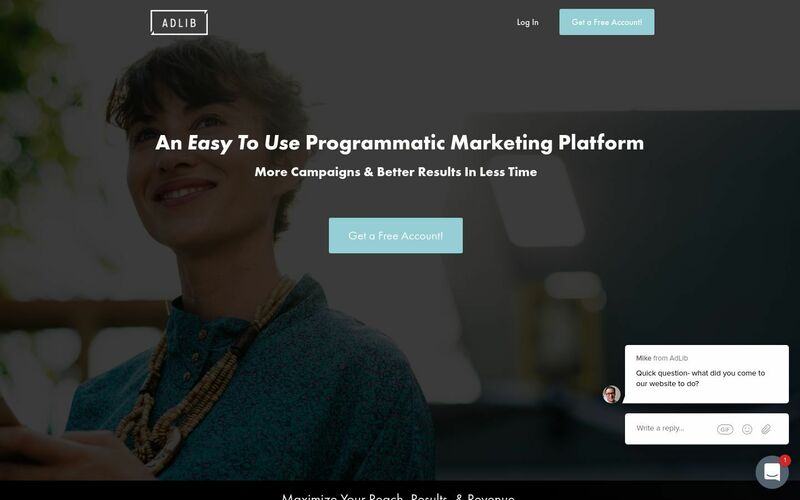 AdLib Media Group makes it easy to scale influencer campaigns with positive, measurable ROI by amplifying influencer content to wherever consumers are, at any time – on the world’s most popular and premium sites and apps. This includes Unlimited Content Lifetime, Automated Creative Transformation, Guaranteed Views & Unlimited Frequency, Predictable & Efficient CPMs, Zero Effort to Scale Campaigns and Deep Insights & Analytics. Are you maximizing your influencer marketing? 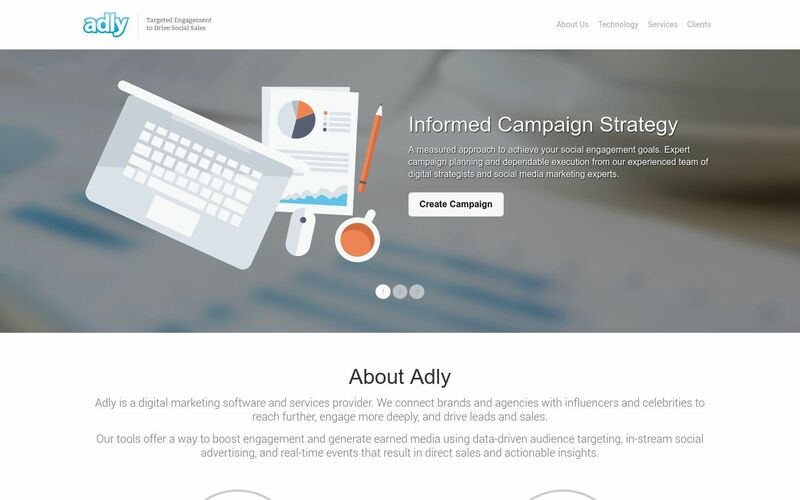 Adly is a digital marketing software and services provider. They connect brands and agencies with influencers and celebrities to reach further, engage more deeply, and drive leads and sales. Adly’s tools offer a way to boost engagement and generate earned media using data-driven audience targeting, in-stream social advertising, and real-time events that result in direct sales and actionable insights. 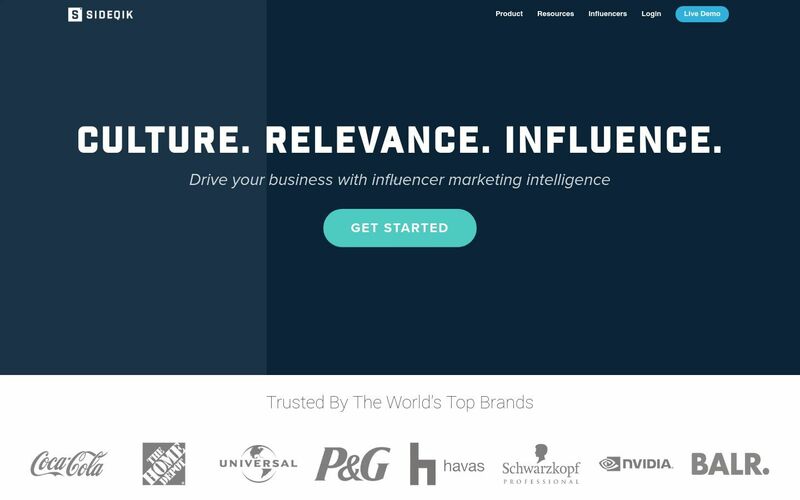 AdvoWire is owned by HireInfluence and bills itself an influencer community and content marketplace. Influencers can create their own page on the platform and showcase their social handles alongside their calculated influence score, audience demographics, and skills. If you are looking for influencers who can create engaging video content, you can search skill sets to find the appropriate people. 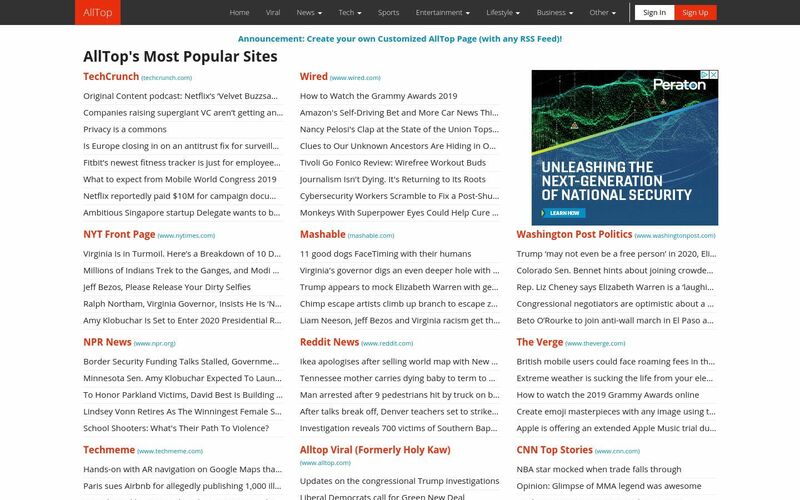 Alltop is similar to your standard search engine because you can choose to search for a single keyword or browse through the hot topics that are currently trending. If you find a blog in the list that is “industry recognized”, and has a good social following, then you will be able to track down the details of the writers that are involved and reach out to them. Ambassador enables you to run referral, affiliate, influencer, and advocate programs on a single platform. An intuitive interface puts marketers in the driver’s seat. Their solution simplifies the entire process, from day-to-day management to reporting and communication. 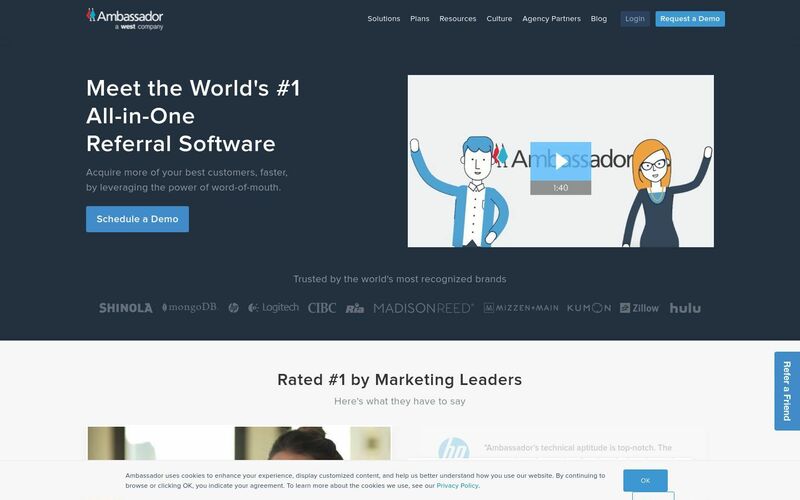 Ambassador claims to be an easy to manage platform offering: An easy-to-use visual editor, automated workflows, pre-built designs and templates, robust customer and affiliate portals and seamless integrations. 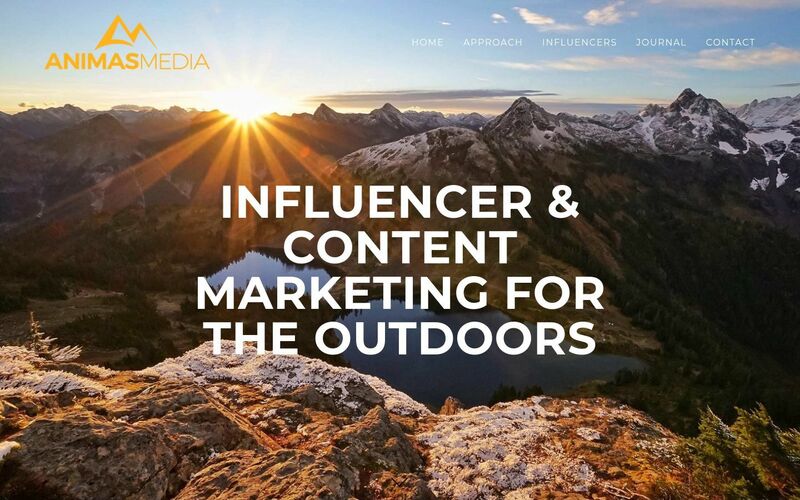 Animas Media is the outdoor industry’s influencer marketing and social content creation company focused on fostering communities, building brands, and driving sales. Animas Media is more than just another do-it-yourself software tool. Their influencer marketing campaigns are always custom built — never off-the-shelf. This managed approach brings expertise to every step of the development process, resulting in influencer programs as unique and individual as your brand. Animas Media’s handpicked roster of top content creators and social media influencers are trusted, engaged, and authentic. You’ll collaborate with influencers and micro influencers that are proven, easy to work with, and invested in your success. Assembly enables you to bring all your influencer marketing campaigns into one platform. It provides a place where you and influencers can connect and converse on projects together.It also has a payment system set up so the influencers can get paid for their work directly through the platform. Note: It also provides a white label service for brands and agencies to brand the platform as their own. 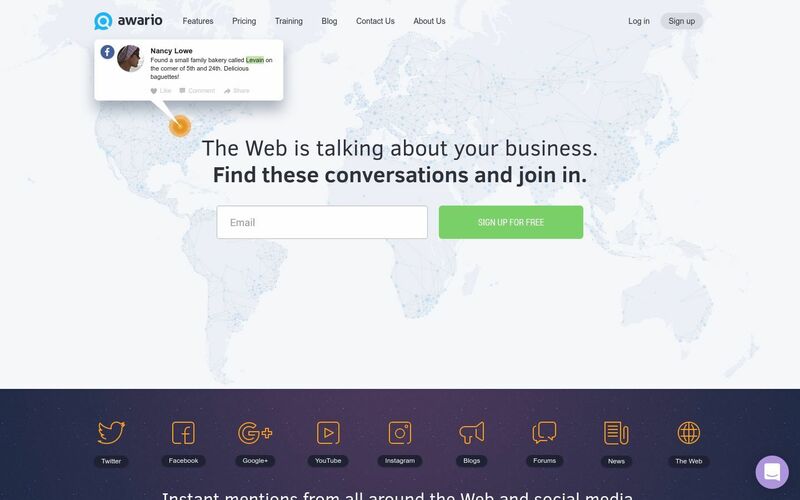 Awario is primarily a social media monitoring tool but also helps you identify your influencers by finding mentions of your brand or your industry online through keywords. It shows you the influencers in the hierarchical order based on their followers, subscribers, shares, and website traffic – so it does a bunch of work for you. No matter what your interest area is, Awario can help you find influential people there. blerrp is a full-service social media agency with the largest exclusive influencer network (worldwide). 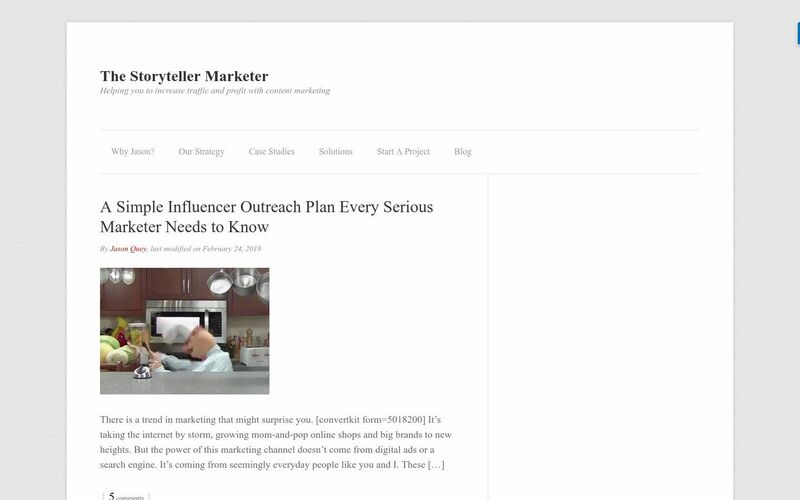 They create compelling content that influencers share in the most organic way possible. Through their creative vision and influencers, they are able to deliver your brand’s message across all of the popular social media platforms. They also offer full tracking and analytics. BlogDash has been around since 2011. 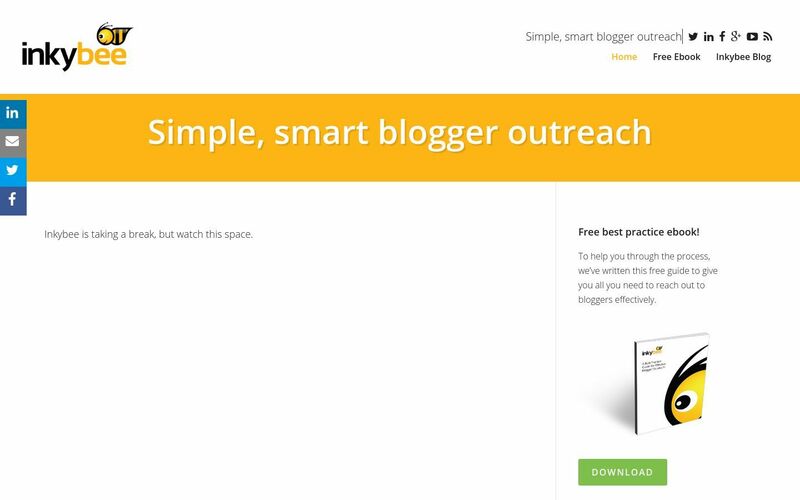 BlogDash is an easy-to-use blogger outreach software platform that streamlines communication between PR agencies/brands and bloggers. 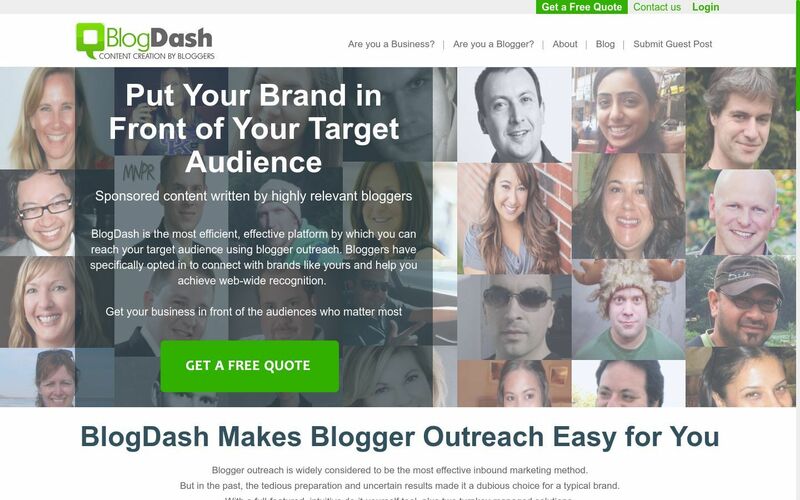 Using BlogDash, you can find top influencers and bloggers in their niche, engage them with offers, hire them to write content and reviews, and keep track of their efforts and progress. Blogfoster is based in Germany and bills itself as the leading platform for influencer and blog marketing. It says it has over 35,000 influencers on its database has worked with 400 brands creating over 15,000 collaborations. 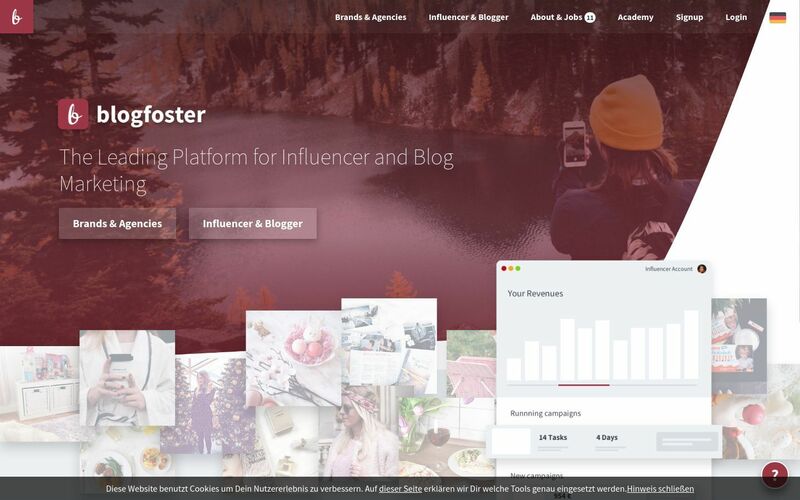 Blogfoster works primarily with bloggers, Instagrammers, and YouTubers and provides a platform that connects them with brands alongside robust reporting analytics. Boost Insider is a global digital agency, focused on full-stack influencer marketing solutions – particularly in the online video gaming community. Boost Insider has a network of over 80,000 influencers, ranging from celebrities to top online influencers and micro-influencers. Their primary focus is on driving traffic to your website and increasing sales and conversion rates through smart endorsements and focused partnerships with specific influencers. 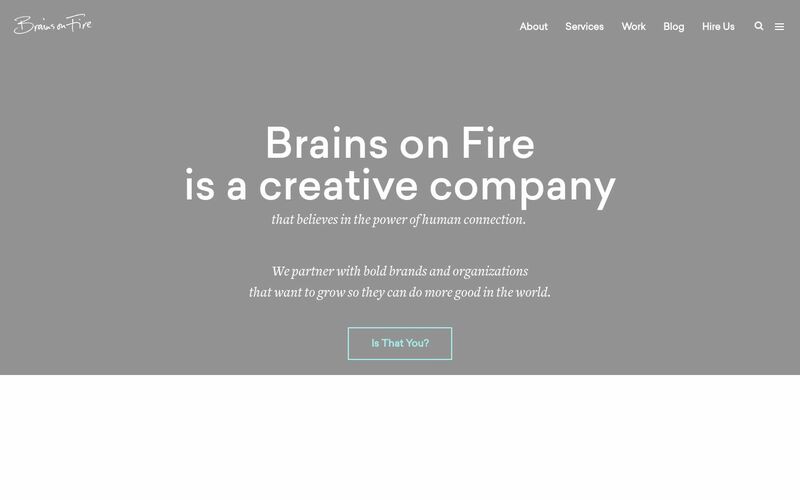 Brains on Fire is a word of mouth / social media agency that typically works with nonprofits, associations, foundations and socially conscious for-profits and startups who view people as more than a transaction and their business as a catalyst for positive social good. They help their clients succeed through a mix of participative insight, insanely clear strategy, emotional storytelling, soulful identity development and authentic community building. 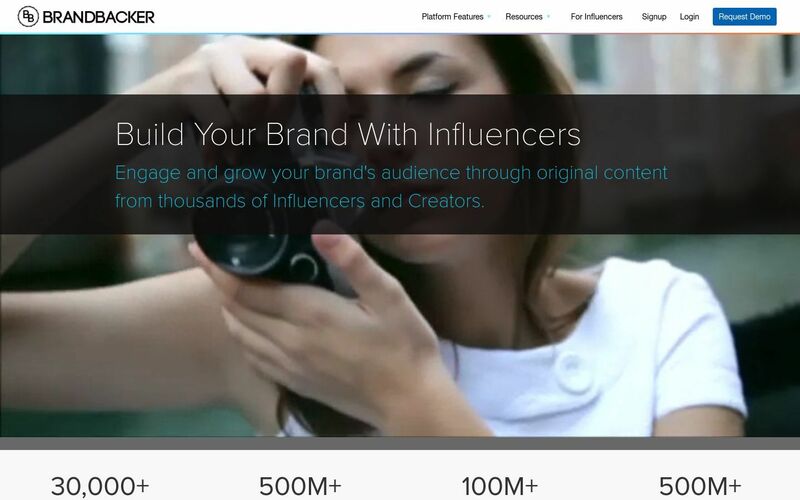 BrandBacker is an online influencer content marketing platform. It connects you with who you want to get exposure with on blogs, vlogs and social networks to thousands of influencers looking for opportunities. 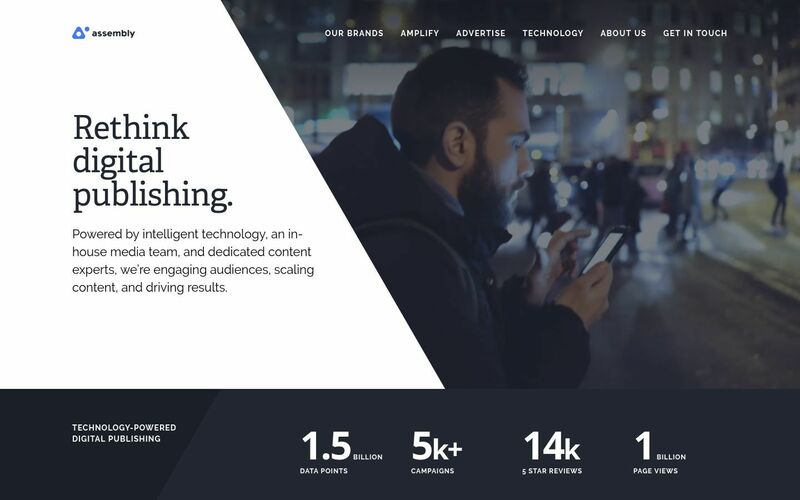 BrandBacker helps clients like you reach millions of new customers and influencers while tracking every read, click, share, like, tweet, reblog & more. 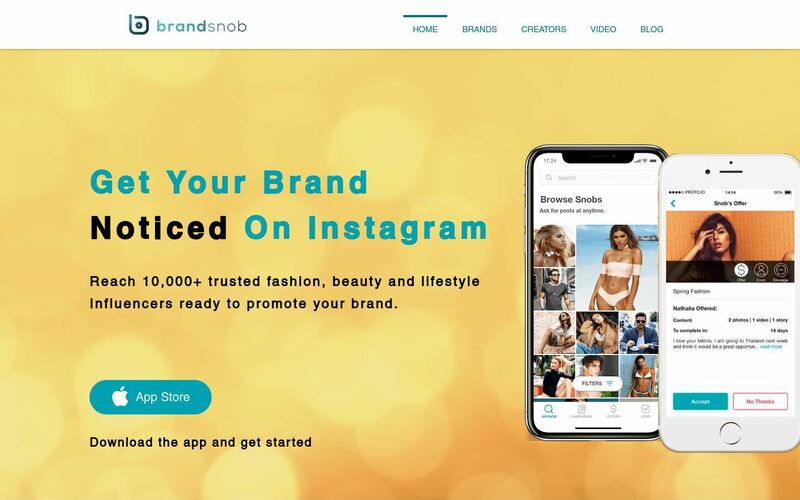 Brandsnob is a multi-national influencer marketing platform with an intuitive, streamlined mobile application – you could think of it as a “Tinder for influencers.” Influencers can browse brand campaigns and apply for the sponsorships while brands can quickly and easily create campaigns right from their mobile phones. Currently, BrandSnob focuses on Instagram but has plans to expand across other social channels. Brandwatch is a social listening tool that gives you instant access to conversations from every corner of the public web as they happen. Brandwatch coverage represents the world’s largest source of public data, so you can listen to all your customers, wherever they’re talking. 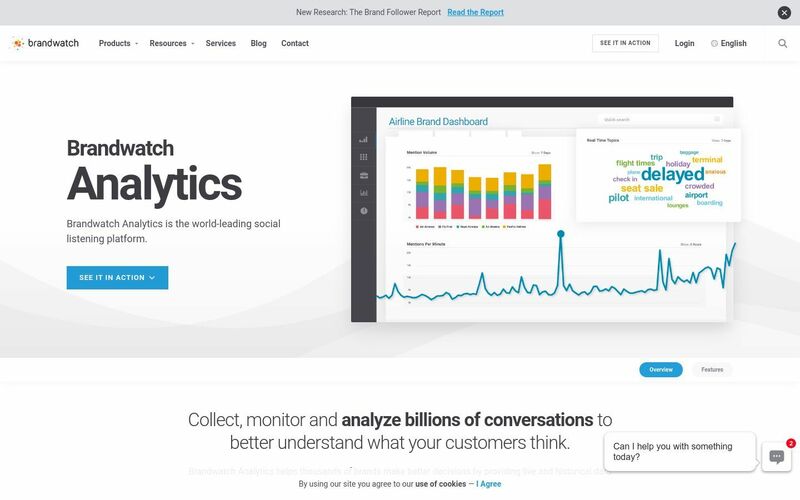 Use their social listening tool to find insights quickly for marketing measurement, competitor benchmarking, influencer identification and outreach, market research and reputation management. 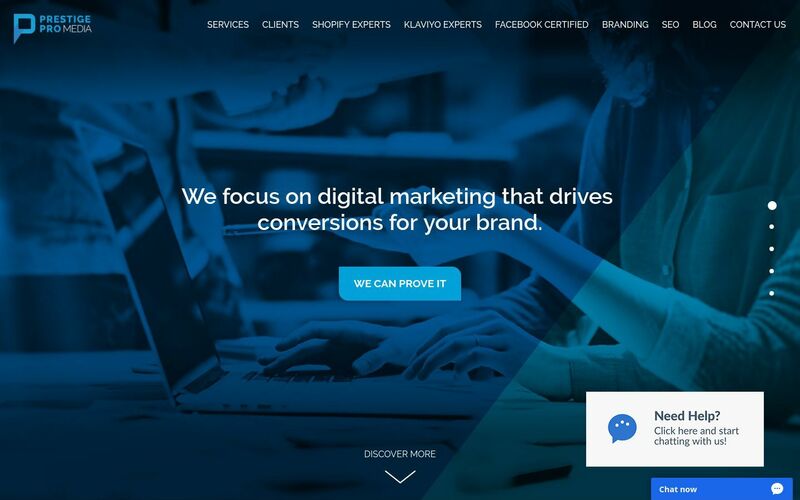 Buddy Marketing, founded in 2016, is a growing nano-influencing and digital marketing platform that leverages the power of friend-to-friend marketing for brands and businesses. Equipped to provide everything from content marketing to social media engagement, Buddy Marketing is the only company in the world to focus specifically on nano-influencing and providing brands with organic, grassroots marketing potential through friendly recommendations. 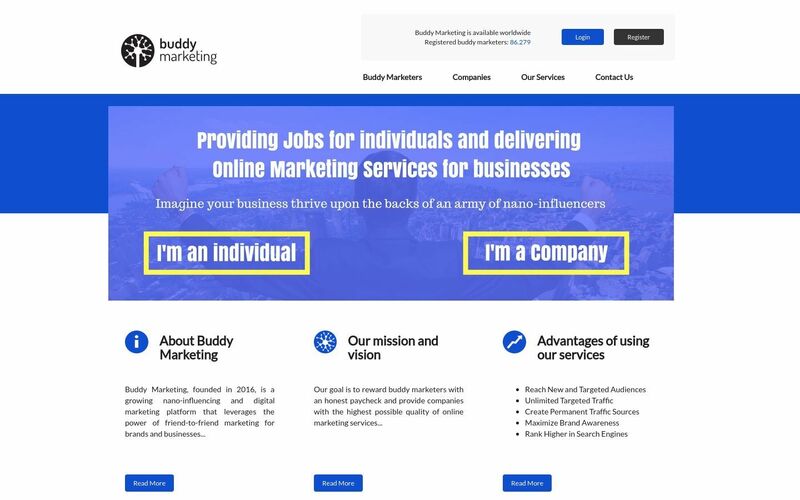 As a result, Buddy Marketing provides jobs for individuals around the world while delivering online marketing results to interested businesses. 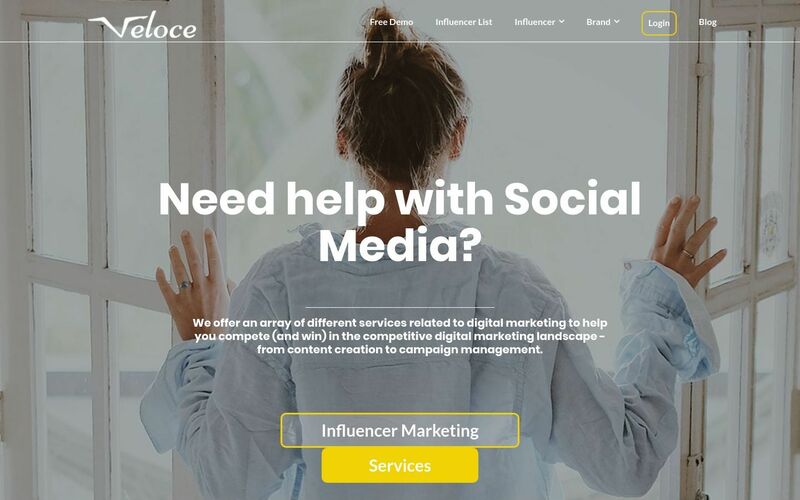 Buzzoole is a social media advertising platform that allows advertisers to identify social Influencers and brand advocates on any social media channel. Using the Buzzoole platform, you can engage influencers in a fully automated way by providing special offers or inviting them to exclusive events, thus stimulating the buzz around your products and services. Buzzoole helps influencers to optimize their online presence and engagement within their social network. It helps them become influential in subjects in which they have the expertise and teaches them how to become a potential brand ambassador. 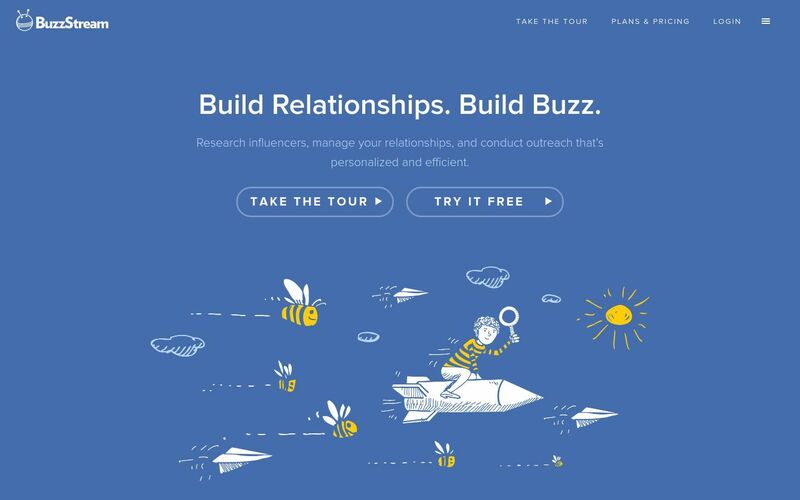 BuzzStream is designed to help you build relationships with influencers. You can use the tool as an influencer/marketing CRM. Use their search tool for prospecting influencers or easily import your own lists from spreadsheets, URLs, or even Google search results. They also have a Chrome extension that lets you do this from anywhere online. You can build lists for link building, promoting content and blog posts. It also lets you manage conversations and templates easily. BuzzSumo is one of the single most popular tools that influencer marketers use today. 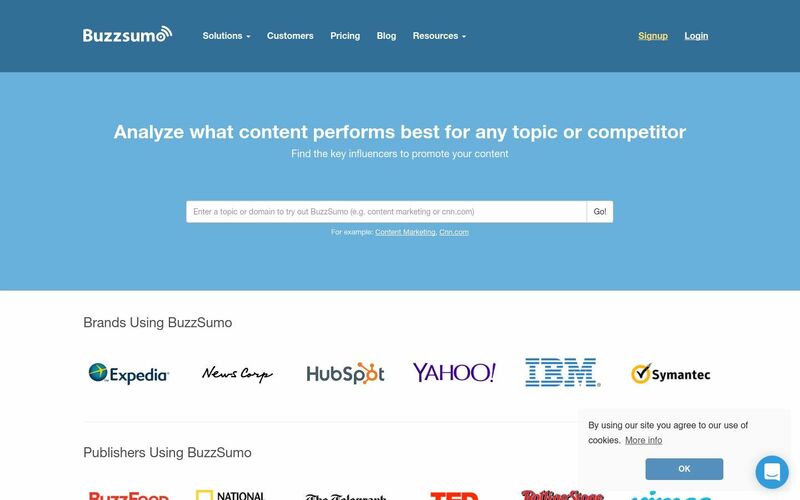 Using BuzzSumo, it’s easy to research what topics are popular among your target audiences on Facebook, Twitter, Pinterest, and more. You can also get an in-depth look at the content your competitors are producing, and quickly identify individual influencers who are willing to partner with your agency or company. 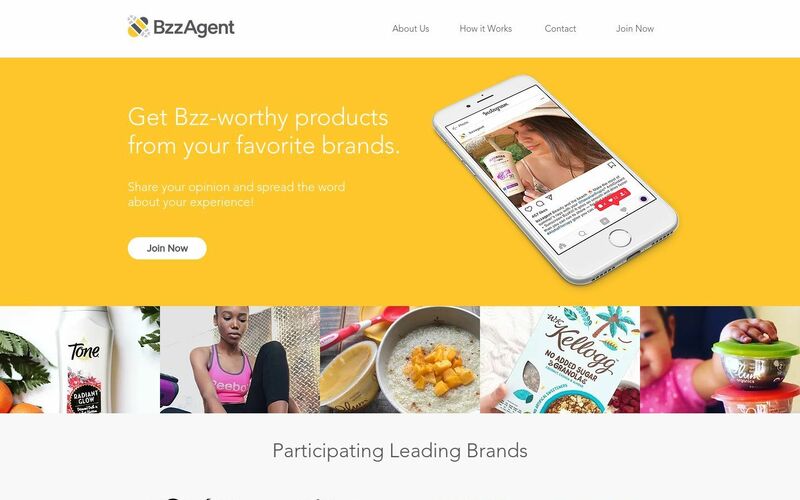 BzzAgent is an online platform that connects brands with over 1 million volunteer reviewers, bloggers, and individuals who spread brand awareness through Word-Of-Mouth (WOM) marketing. Individuals can sign up for the site and earn “MyPoints” rewards for honest reviews of products and services, while advertisers can benefit from organic reviews and product recommendations. 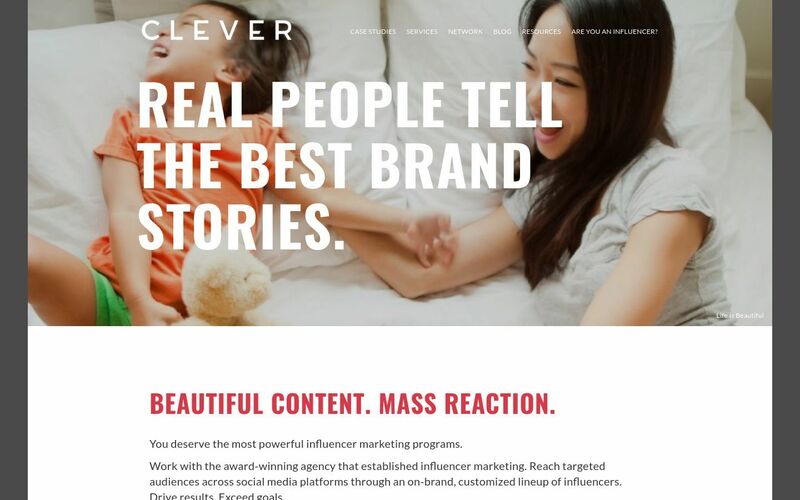 Clever is one of the pioneers of influencer marketing. Reach your audiences across all social media platforms. Depend on guaranteed results and award-winning service. 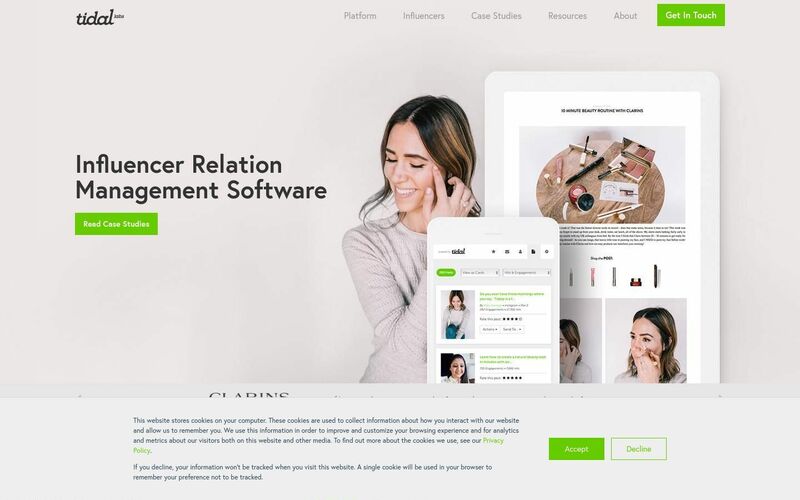 CloutHQ helps take your influencer marketing to the next level by providing a suite of tools designed to streamline and optimize your influencer relationshipsis. 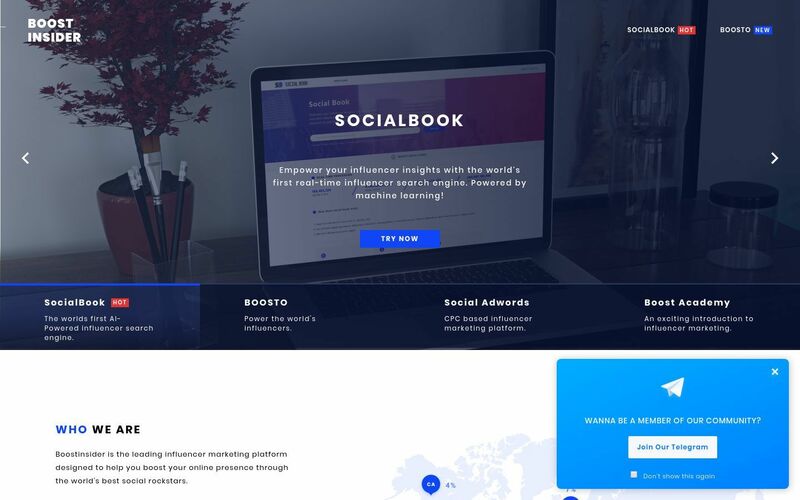 They offer a dynamic influencer platform that allows you connect and collaborate with influencers at scale. It is designed to give you the relevant information you need for sourcing and collaborating with influencers. 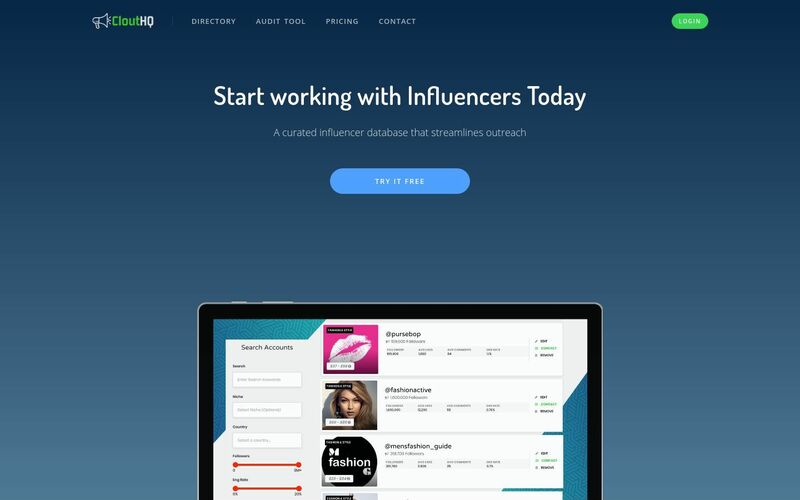 CloutHQ is on a mission to become the first influencer database that allows everyday people to find, qualify, and hold influencers accountable with a suite of tools designed for efficiency. 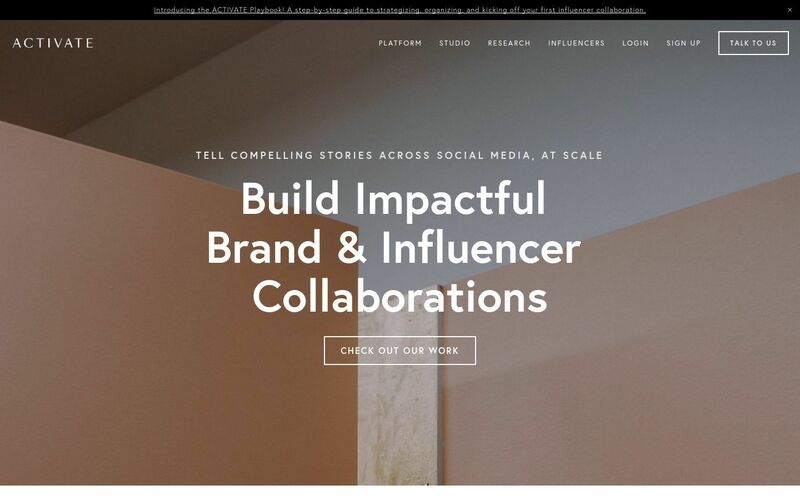 Collabary by Zalando is an influencer marketing platform, which enables brands to streamline their entire influencer marketing campaign execution. 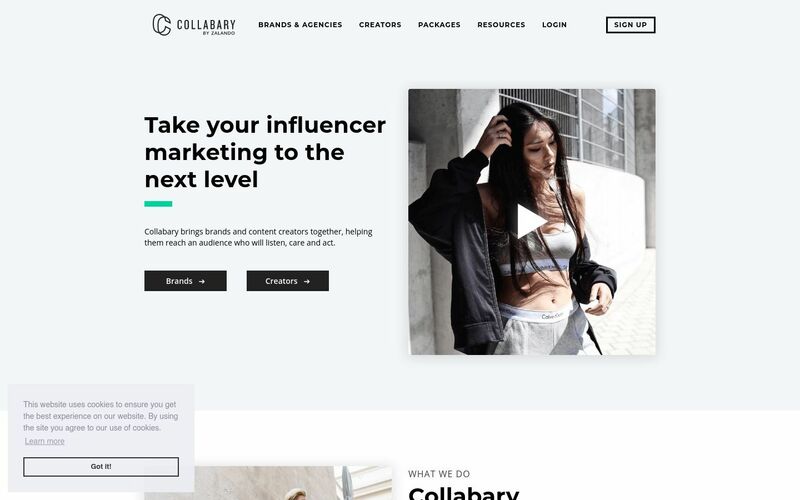 Collabary covers the campaign creation, the discovery of influencers and the management of their participation above all social media channels. Currently, more than 3500 screened Influencers are on Collabary. About 100 Brands – mainly active in the lifestyle industry like fashion, food, and beauty – have run around 200 successful campaigns and created over 5000 authentic content pieces. YouTube was recently implemented as an additional channel to the campaign flow with audience data now accessible. 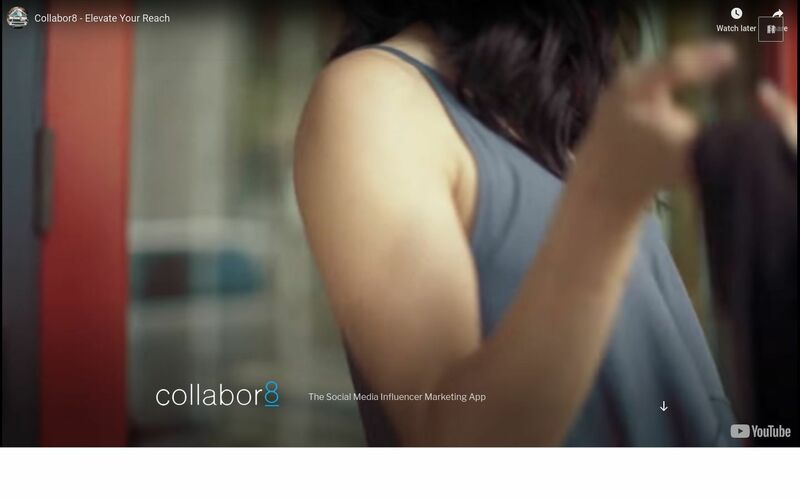 Collabor8 enables brands to find and cultivate new relationships with influencers all within a single iPhone app. Using Collabor8, you can manage collaborations across all communication platforms and never miss anything. 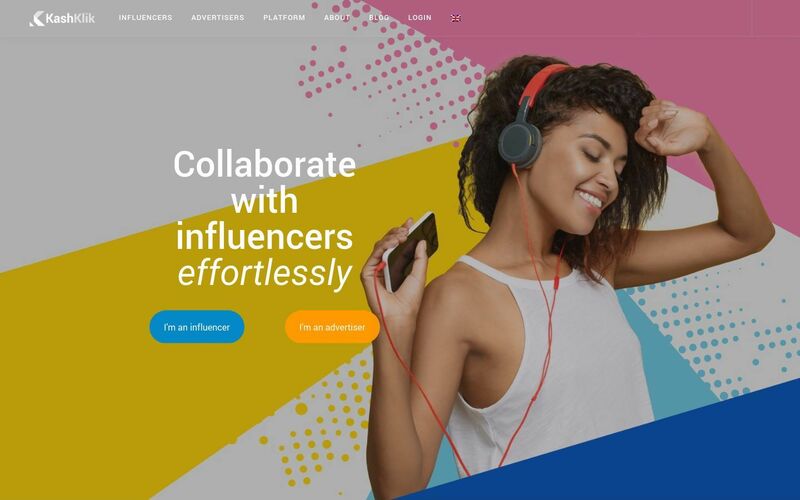 Collabor8 enables you to search for new influencers to work with, you also have the ability to chat directly with them once you have agreed to collaborate with each other. When the time comes, you can also make and receive payments through the app. The best part is they don’t take an y cut out of the collaboration fee. 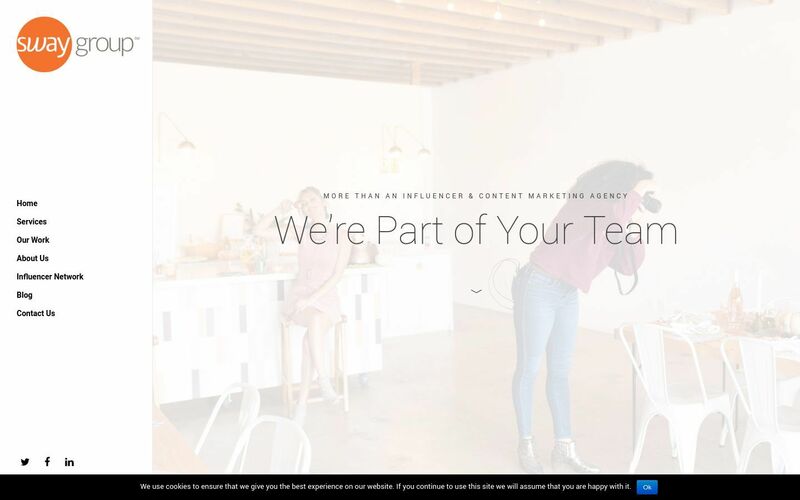 Collective Bias is focused on creating original content for specific brands, and engaging with influencers to promote their content, and drive traffic to your website, social channels, and other properties. They feature an online software suite that can help you track the performance of your content, and measure your ROI, market reach, and other key KPIs that can help you determine the efficacy of your content marketing campaign. 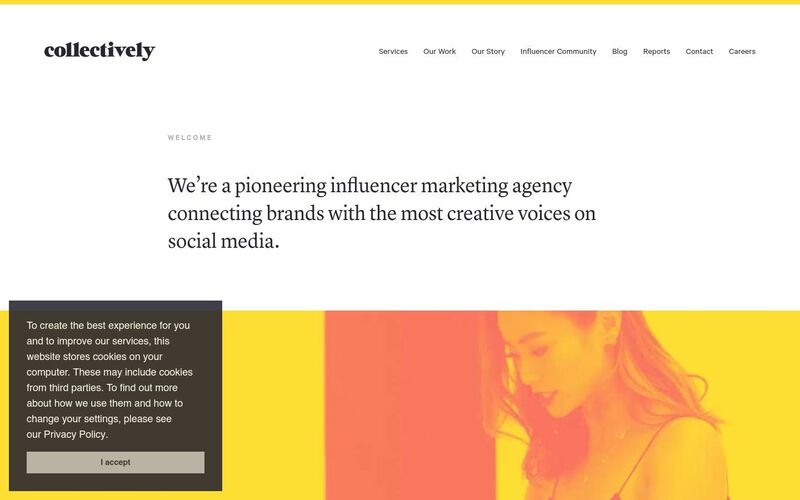 Collectively combines a traditional, agency-style business model with advanced proprietary software designed to connect brands with the most innovative, creative voices on social media (influencers). 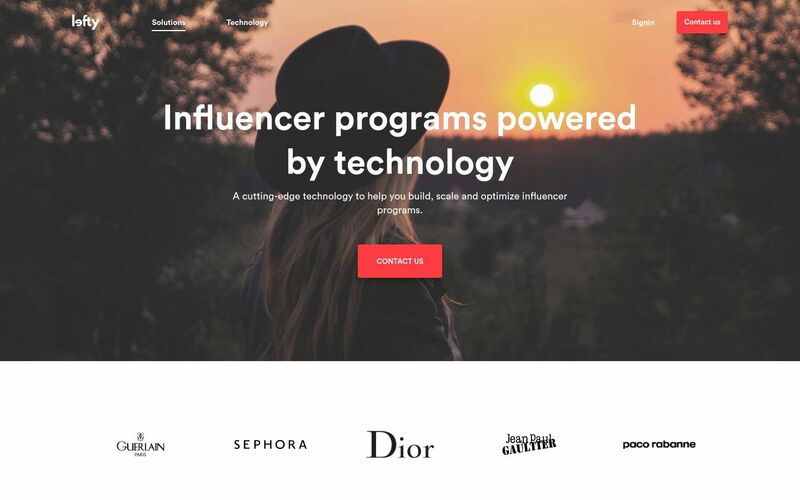 They’ve partnered with top brands like Sephora, GMC, HP, and many more, and have built a large community of influencer partners who are ready to engage with the right brands. Commetric Influencer Network Analysis (INA) is a patented methodology that combines sophisticated natural language search, entity extraction, free-text data mining, and dynamic network mapping technology. It discovers key influencers in the context of a conversation and visually maps their prominence and influence. Using this tool you can deep-dive into key influencers, emerging issues, topics and terminology driving conversations. 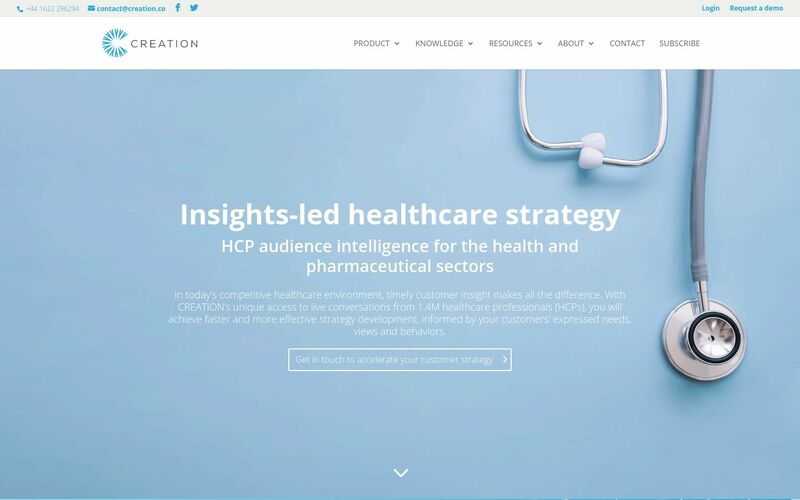 CREATION Pinpoint is an influencer marketing platform focusing on the healthcare marketing industry. It allows healthcare marketing and communications professionals to isolate and analyze social media conversations from over 500,000 healthcare professionals including doctors, nurses, and physicians. Crowdly is geared to large consumer brands and focused on cultivating brand advocates. 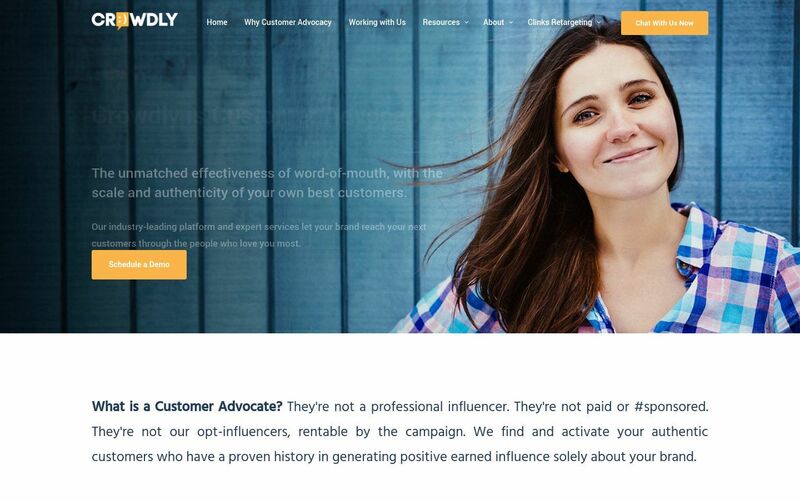 Crowdly believes you have a huge locked asset of authentic customer advocates. It claims it can help you unlock this base of consumers who organically love your brand, tell their friends about your brand, and have the influence to drive new customers and revenue for you. They don’t like the idea of using rentable “influencers” as they see it as ineffective and potentially damaging to your image. Crowdtap has been around since 2009 and partners with brands to offer member influencers opportunities to provide feedback, be creative, and get rewards & free sampling of products. 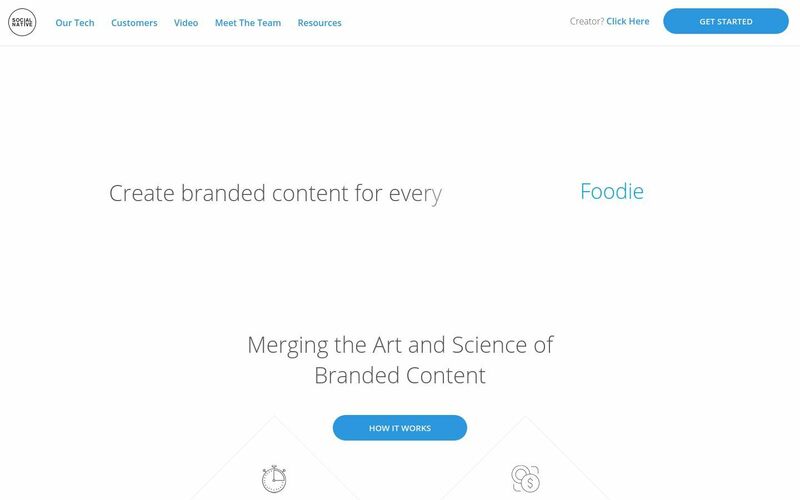 For brands, Crowdtap connects you to a motivated community of people who power your brand conversation with their opinions, ideas, and experiences. Dovetale is a self-service platform. Their process involves four simple stages: Discover (find your influencers), Network (choose and manage who you want to work with), Payments (low and easy to do) and Measure (your results). Dovetale comes from the startup program, Expa Labs. Evolve! is a social marketing and influencer engagement agency that blends influential people and the media with social campaigns to create high awareness and leads for their customers. Evolve! uses Raynforest, the first influencer marketplace, great content, and proven growth methodologies to deliver strategic programs that give clients winning and measurable results. Experticity (formerly ReadyPulse) is – as the name may imply – focused on experts. This company focuses on connecting brands with experts in their chosen market, such as industry professionals, retail sales associates, brand aficionados, expert enthusiasts, and more. Currently, Experticity has a database of more than 1 million experts who can be used to build your brand. Experticity pairs these “experts” with specific companies that are in their areas of expertise. They then review your products, create original content related to your brand, and share their knowledge about your industry – organically driving sales, and helping to reinforce your brand as an industry leader. 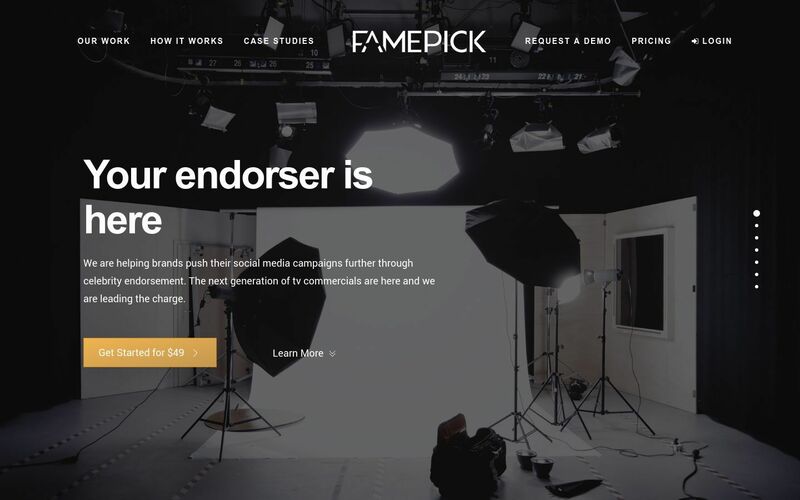 Famepick‘s goal is to create celebrity relationships that don’t just drive engagement and sales but also appeal to customers on an emotional level. Emotion creates a connection between your brand and prospective customers that lasts beyond the social news feed and creates a loyal following. Fango is an online influencer platform that features over 35,000 content creators and influencer partners, and combined reach of over 400M+ views. 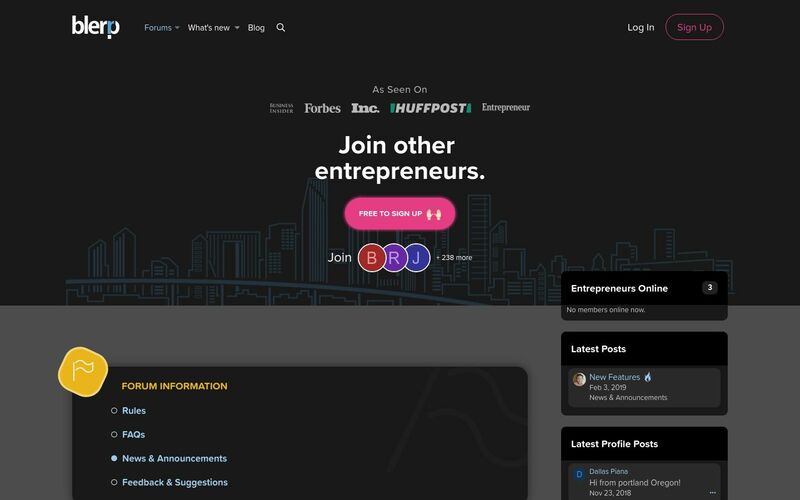 Brands and agencies sign up on their website, connect with each other, and collaborate on budgets, content proposals, and more. 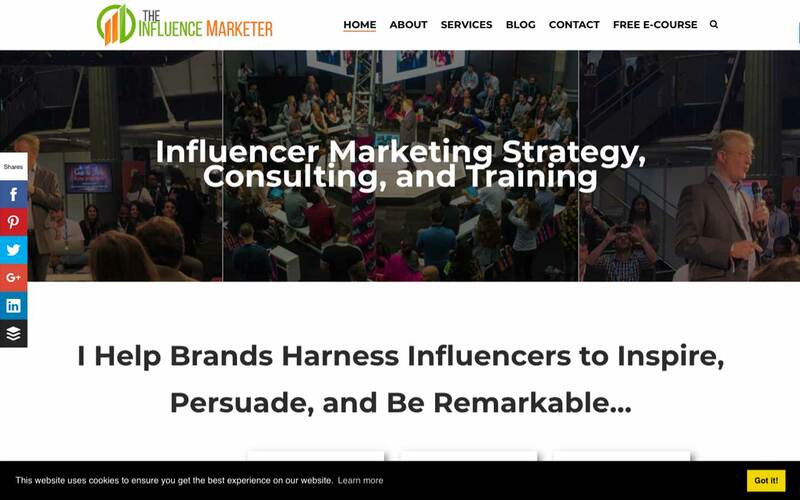 FindYourInfluence (FYI) makes influencer marketing measurable, scalable and profitable for your brand, agency and influencer partners. 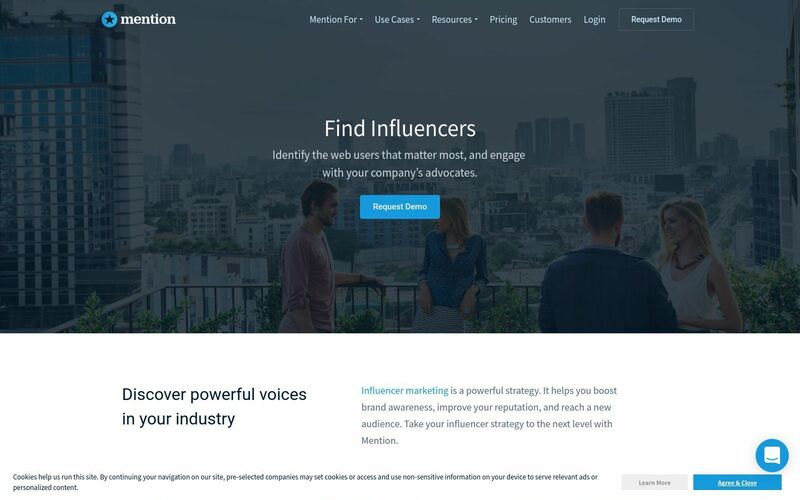 FYI connects more than 100,000 high-value influencers to brands and advertisers. FYI claims to have completed more than 10,000 campaigns for over 500 brands, ultimately driving 3 billion impressions across blogs, Facebook, Instagram, Twitter, YouTube, Vine, and Pinterest. 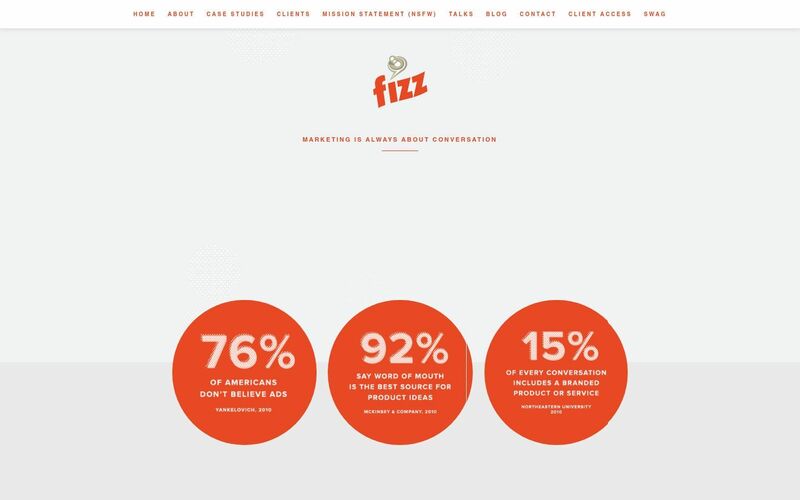 Fizz is a word of mouth marketing (WOMM) agency based in Atlanta, Georgia. They identify the customers and potential customers most likely to talk about your brand (they call these people “Influencers”) and then use creative tactics to encourage communications between Influencers and members of their social network. Bring all of this together and you have “Word of Mouth Marketing,” the most effective technique available for growing your brand and increasing your sales. WOMM includes tactics such as evangelist, viral, grassroots and seeding, to name a few. Although these may seem like buzzwords, each is a distinct tactic that has its proper time and place. They are often used together to create great stories about your brand that people will want to share with one another over an extended period of time. 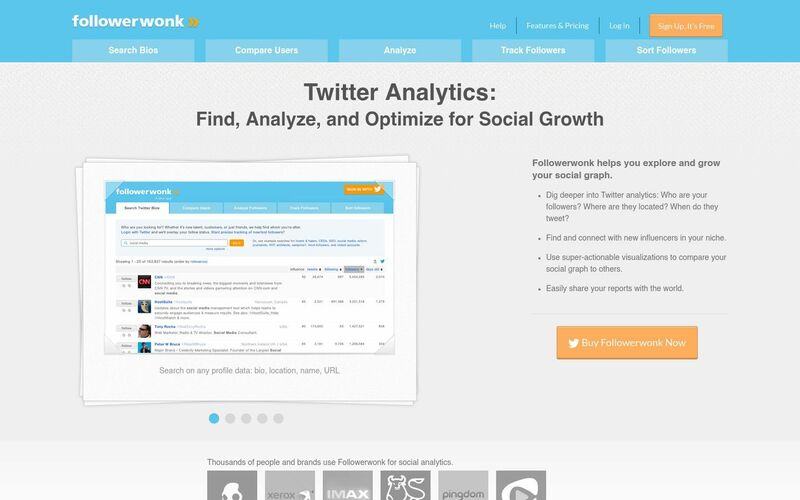 Followerwonk helps you find, analyze and optimize for social growth. With this tool, you can dig deep into your Twitter analytics to learn more about your followers, find and connect with influencers in your niche, use visuals to compare your social graph to others and easily share your reports. Fourstarzz is a meta-search engine focused on influencer discovery and outreach (aggregating the influencer inventories from multiple sources). 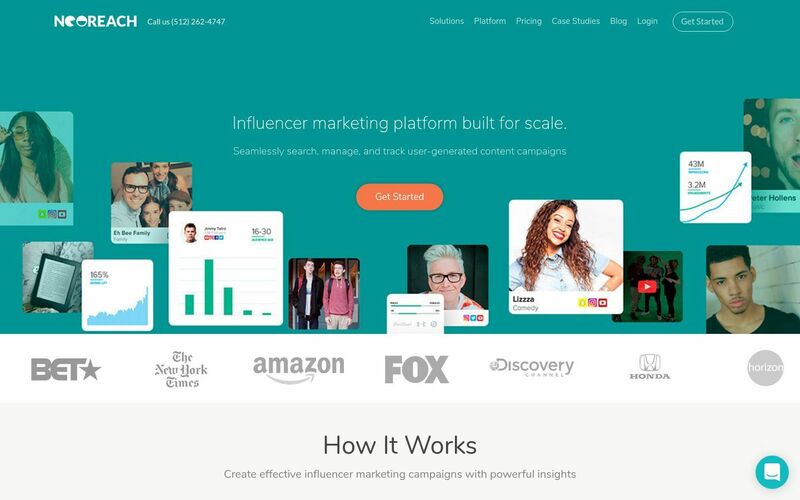 Using it you can find new influencer partners with incredible precision, and narrow down your choices based on their audience size, platform, and more. 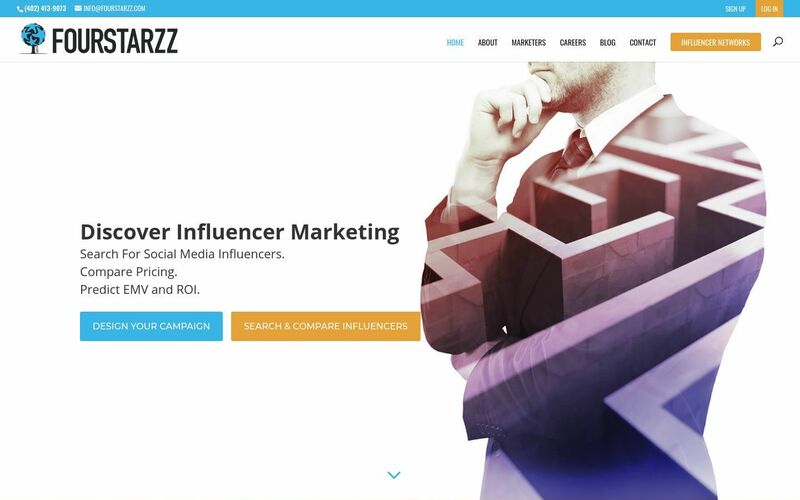 Fourstarzz also has a new tool – the Influencer Marketing Campaign Designer. They believe this is unique to the industry and especially helpful for inexperienced marketers. Fuse Marketing is a full-service digital ad agency focused on the younger generation, including Generation Z and millennials. 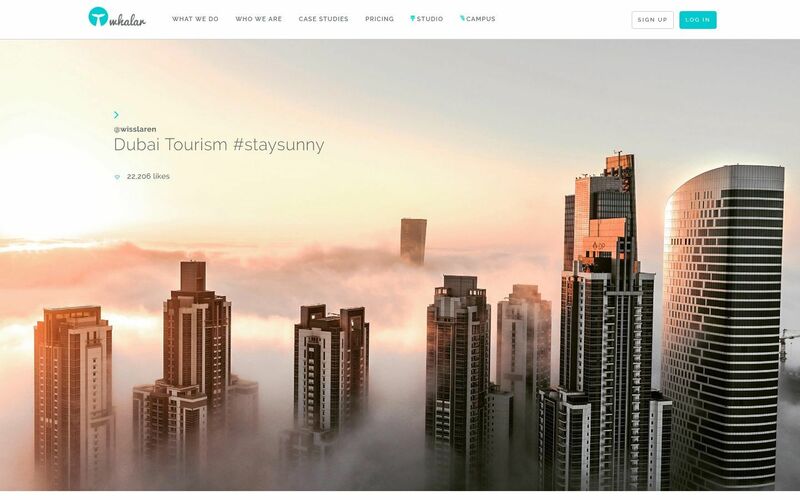 For over 20 years, they have delivered content campaigns, consumer insights, social media campaigns, and smart influencer partnerships that help grow brands in the extreme sports and lifestyle market segment. Previous partners include Mountain Dew, HTC, UFC, Starbucks, and more. Gen.Video is about video storytelling and they claim to be the only do-it-all video platform for influencer marketing and e-commerce video. As you likely know, 92% of consumers trust recommendations from peers over brands, so Gen.video’s influencers have highly engaged subscriber bases and specialize in making product videos that educate and excite shoppers – including for Amazon.com. 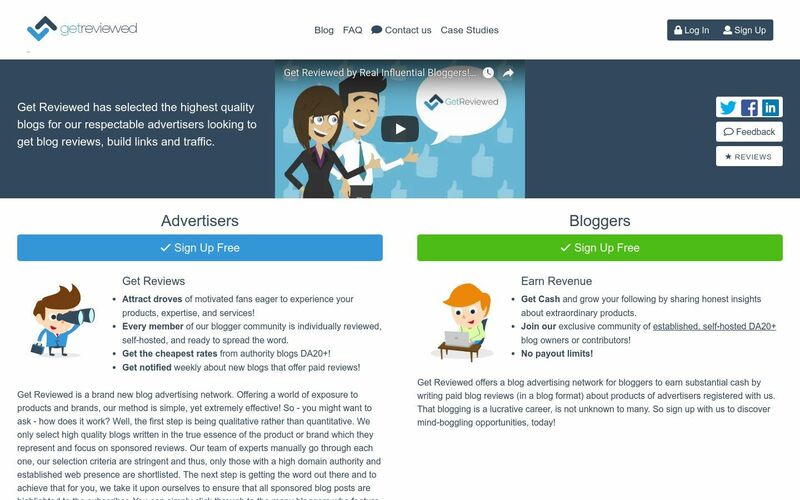 Get Reviewed is a content creation company focused on bloggers who drive sales with targeted product reviews. Advertisers sign up, browse bloggers and influencer partners, and can select the influencer that they think is the best for their product. The bloggers will then craft custom content based on advertiser specifications, and share it organically on their self-hosted websites, boosting brand engagement. Grapevine is YouTube-centric and geared for brands and agencies. They work with YouTube channels who possess a minimum of 10,000 subscribers and who upload consistent content. 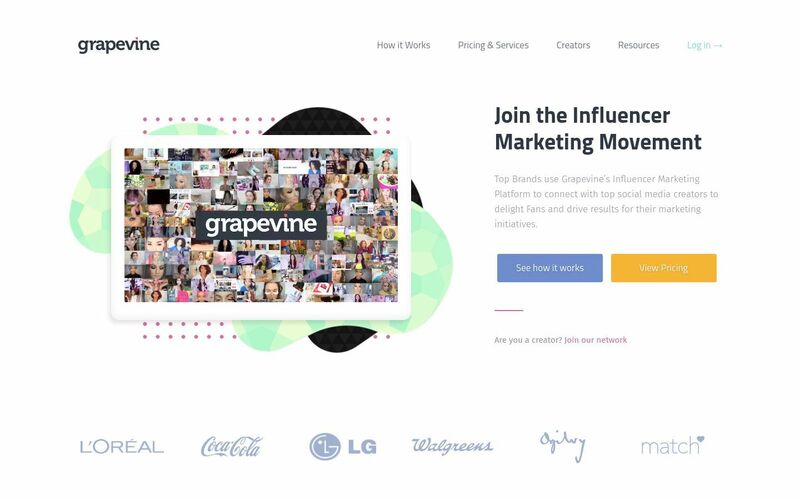 Grapevine has their own analytics engine to help you find the most popular influencers. The influencers are offered product packages in exchange for reviews. Grin helps you find your ideal influencers by searching their database of thousands of prospects, all filterable by location, engagement rates, and social network. You can even see their content and verified contact information, eliminating the need for internet stalking. Own your outreach with Grinʼs outreach tools: Narrow down your selects with their collaborative lists; Reach out to unlimited influencers using their proven templates; Then monitor your success so you can optimize where needed. 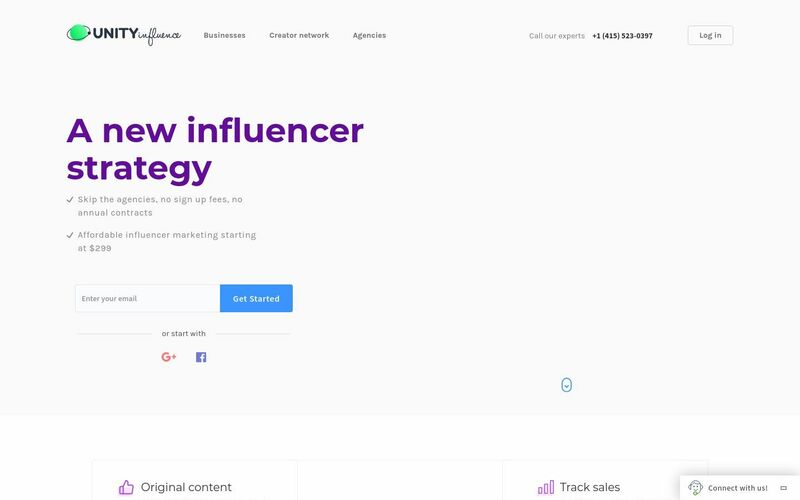 Their management tool enables you to brief the influencers better, create specific assignments to the influencers to create the content you want, and track everything from influencer content to shipment status. Grin also takes care of influencer W-9s along with how and when you pay. 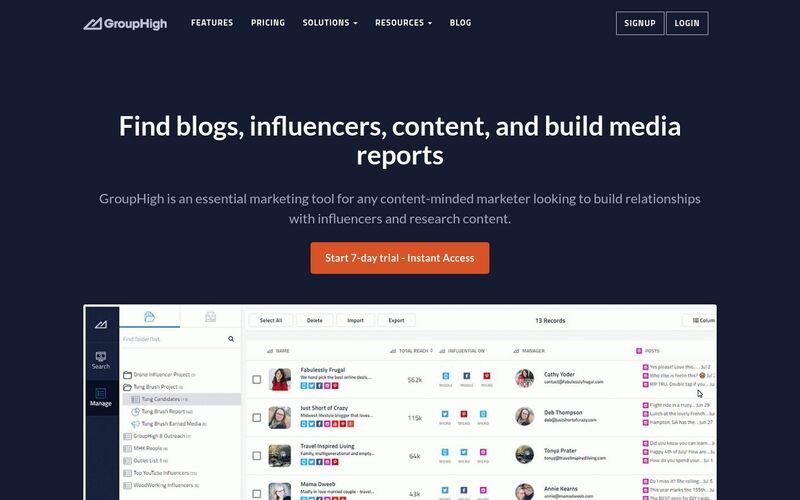 GroupHigh is focused on both bloggers and social media influencers, allowing you to partner with key content creators across both traditional blogs and newer platforms like Twitter, Facebook, and more. Their most unique feature is their comprehensive blogging search engine. You can search through more than 15 million blogs, sort them by reach, location, MozRank, content type, and more. If you’re looking to partner with bloggers for sponsored content, GroupHigh is a very powerful tool indeed. 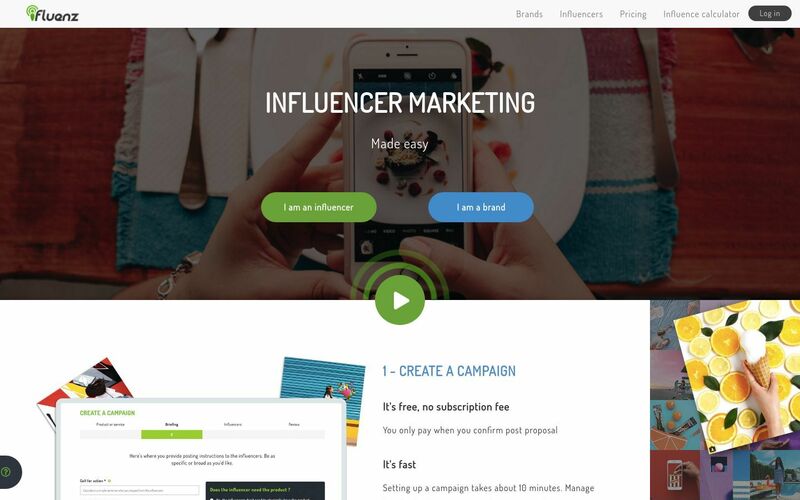 HireInfluence provides marketers with a powerful influencer marketing tool in their “AdvoWire” content creation tool. This search engine provides a simple way to request content from creators at scale, stream social content, and discover new influencers who could be useful in your campaign. 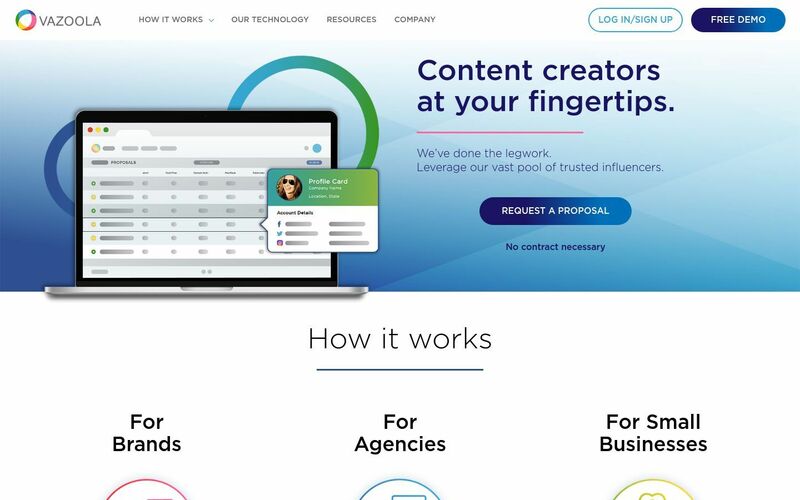 HireInfluence also offers full-service “white glove” content creation and influencer campaigns, if you’d like to outsource your influencer marketing strategy. 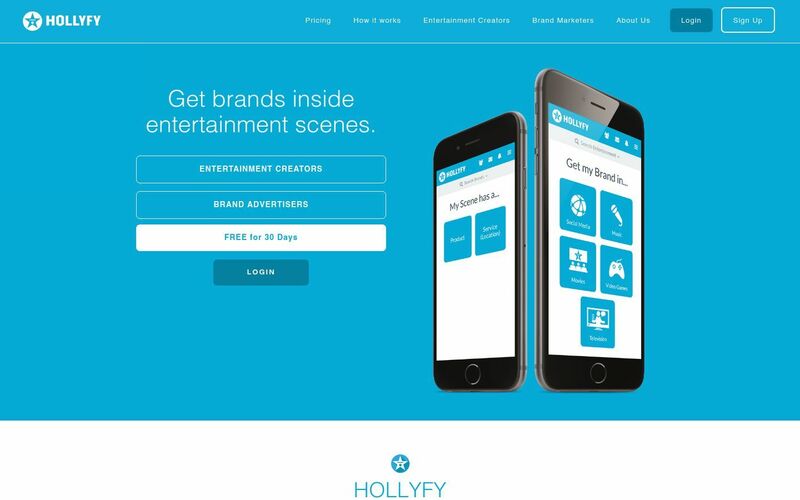 Hollyfy is a brand integration platform connecting entertainment influencers to brand marketers like you. 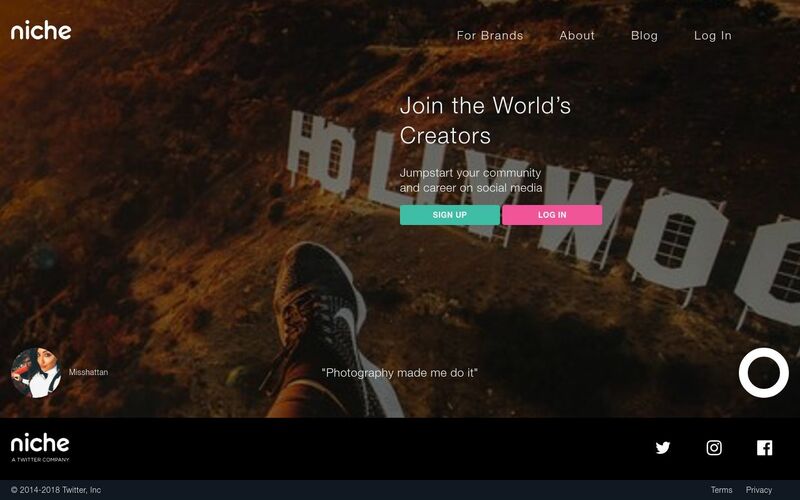 Influencers create their own page on the Hollyfy site and smartphone app. Here they provide brands with information on the type of content they create, their audience and the kind of work they’re looking for. Hollyfy uses predictive analytics, machine learning & algorithmic matching for effective branded entertainment and new media opportunities. 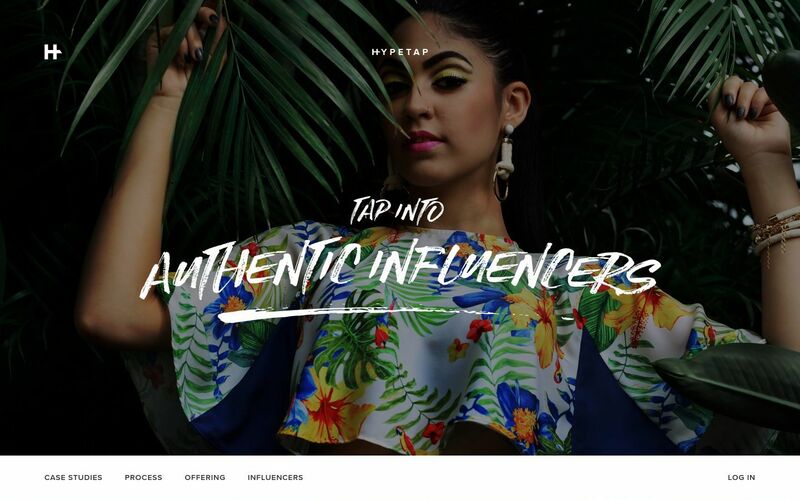 Hype Factory matches influencers with clear metrics and brands for creating a great ad content and guarantee fairness of each deal. Hypetap is based in Australia calls itself a marketplace for brands, agencies, influencers and talent managers. Each influencer on the Hypetap platform is individually selected by-invitation-only. Their database of around 3,000 influencers is small in comparison to other influencer marketing platforms but the quality is high. Hypetap has worked with brands such as Nestle, Disney, Uber, and Nespresso. Hypetap is an influencer agency with its own platform. The Hypetap process works like this: You create a project brief outlining your goals, find influencers you want to work with, negotiate with them on rates and digital rights, manage your relationships and measure your campaign results. 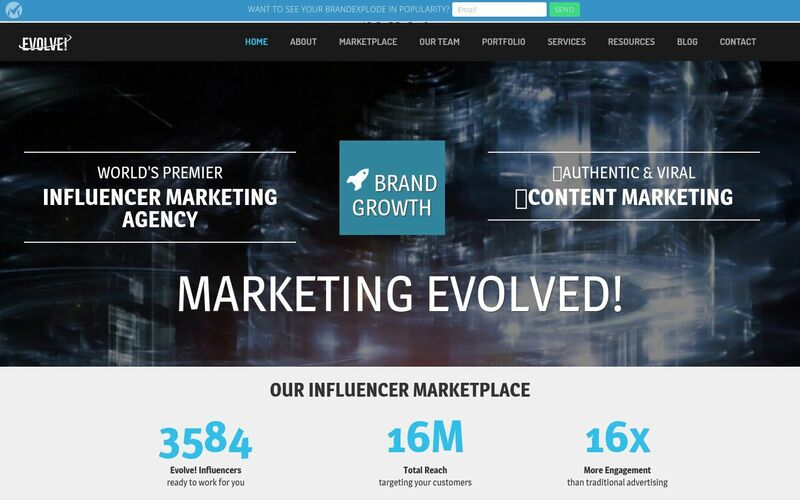 HYPR offers a way to make influencer marketing easy. With HYPR, you can find and understand the social following of almost every influencer in the world. They provide you with easy, understandable, and actionable data in a quick-read format that will help you select influencers who can boost your marketing efforts and drive engagement. 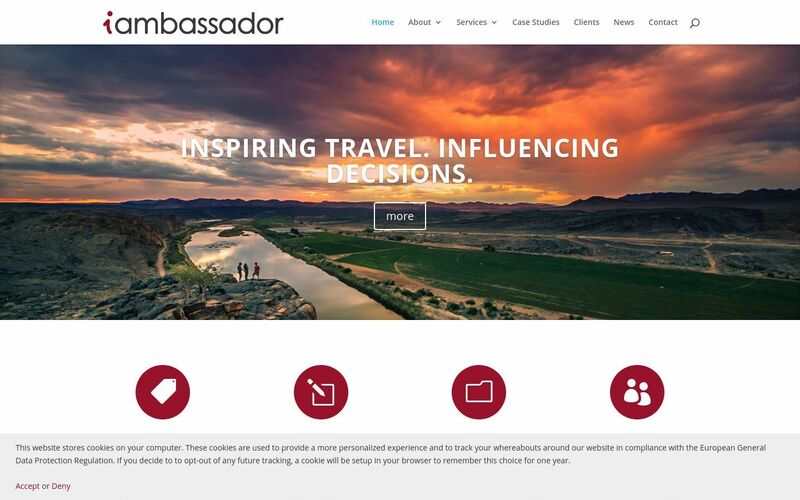 Iambassador is a tool specific to the travel industry connecting you with leading travel influencers from around the world. While not specifically a platform, iambassador provides marketing, content creation and education services between the two. Iconosquare is an Instagram-only social media marketing tool. It lets you see Instagrammers’ metrics and provides a continuously-updated list of the top Instagram influencers and brands on the platform. 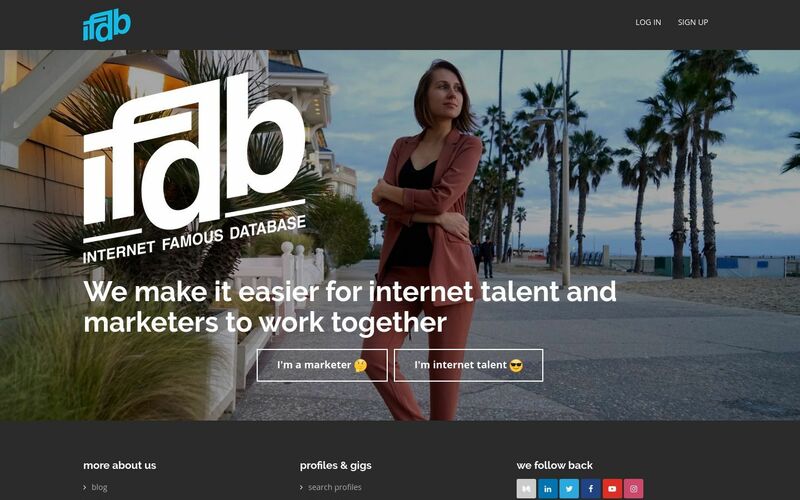 IFDB Talent Dashboard (ifdb.com) is a relationship management platform that helps marketing teams manage, track, and measure relationships with their brand’s network of influencers and creators. It’s a game changer for marketing teams and agencies working with internet talent: it provides deep profiles, makes reporting easy, and delivers better ROI on content and influencer marketing programs. Starting at $79/month for a single user account. 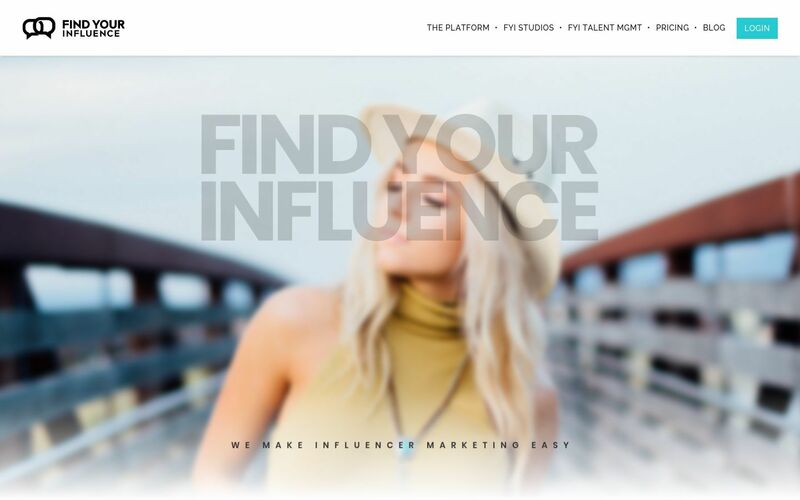 Ifluenz is a pay-as-you-go influencer marketing platform that has 20 thousand registered and approved influencers in its database. Their thousands of influencers have a highly engaged audience. They have more than just large followings, they generate action, and are influential in a wide range of interests and demographics. Ifluenze has an influencer screening process that ensures that your campaign reaches the right audience for best results. 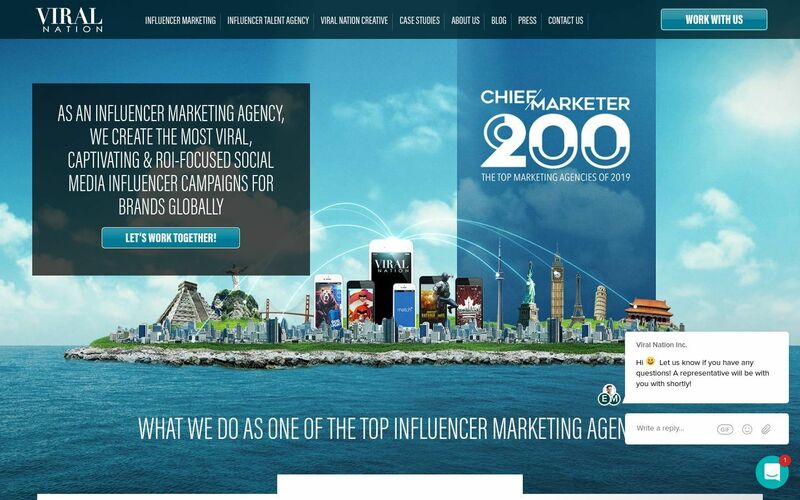 IMA is a full-service digital agency focused exclusively on influencer marketing. From influencer contact, acquisition, development, and partnership, IMA can help you through the entire process of designing a smart influencer marketing strategy. Their team includes strategists, digital content creators, creatives, and social media experts who partner with you and key influencers to deliver top-notch content and maximize engagement. INF Influencer Agency is in partnership with The Feldman Agency, one of North America’s premier music management groups with over 40 years in the entertainment business, artist representation, talent management & booking, event services and corporate consulting. 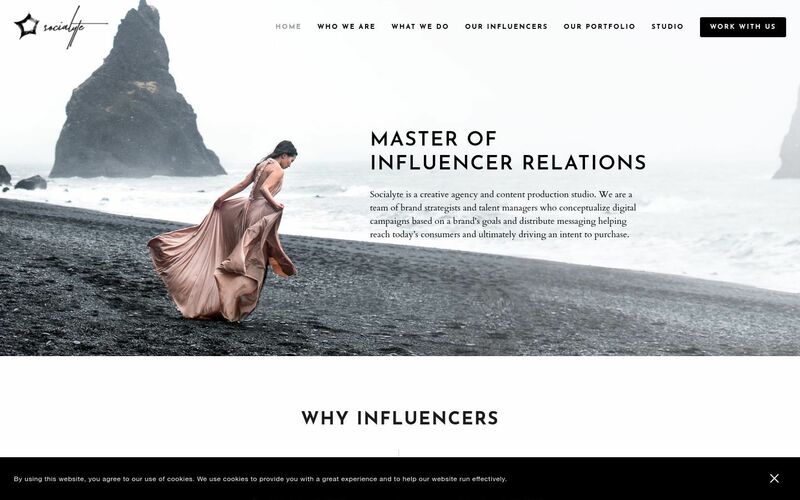 INF represents a curated roster of top online personalities and social media influencers, spanning areas of fashion, beauty, food, home, tech, lifestyle, and travel. 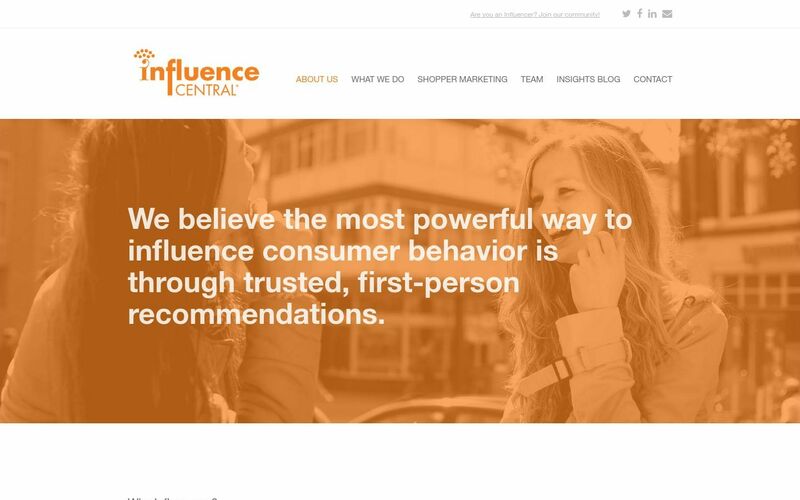 Influence Central is an agency that puts a premium on building relationships with influencers. They help you to elevate consumer awareness, increase brand affinity and address brand detractors. They create measurable programs that drive lift through authentic first-person recommendations. Establishing and activating passionate and influential brand advocates is at the core of what they do. Their vetted community of thousands of online influencers is comprised of expert storytellers and tastemakers across a variety of topic areas. Whether online or for in-person events, their influencers have the reach and authority to inspire their followers to take action on behalf of your brand. 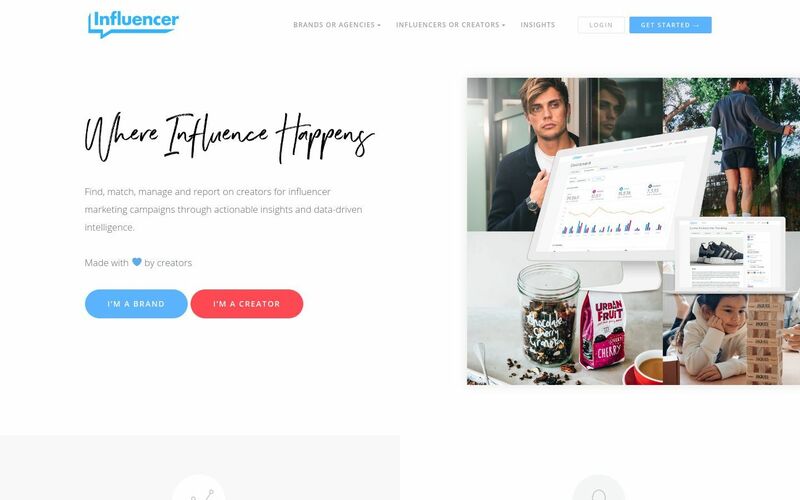 Influencer (founded by Ben Jeffries and Caspar Lee) is committed to bringing the best content marketing experience to Agencies, Brands, and Creators around the world through its innovative software. These guys love social media and care deeply about making influencer marketing easy and scalable for everyone. They really like working with everyone; from start-ups to global brands and being a part of your journey to success. Influencer Marketing Hub as a general industry resource – we are on a mission to provide insights into platforms, agencies, tools and how-to guides in the influencer marketing industry. 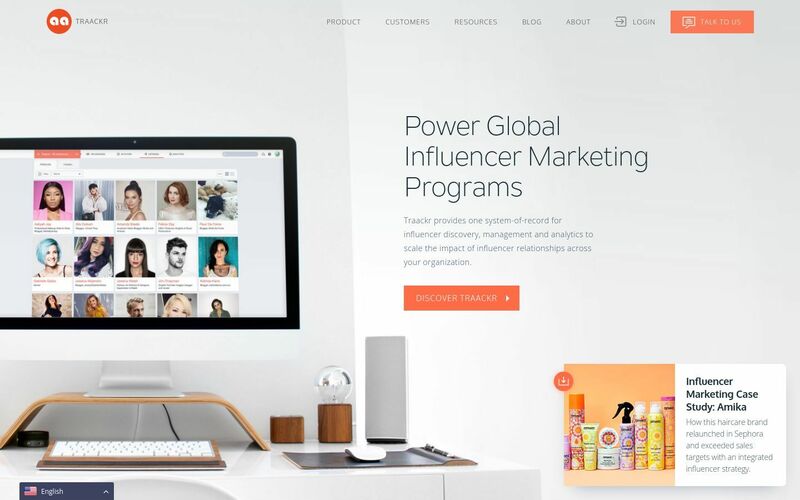 Whether you’re just getting started or well known to millions of followers, their Influencer Tools, Guides, How-To’s and Influencer Marketing Resources are here for you. 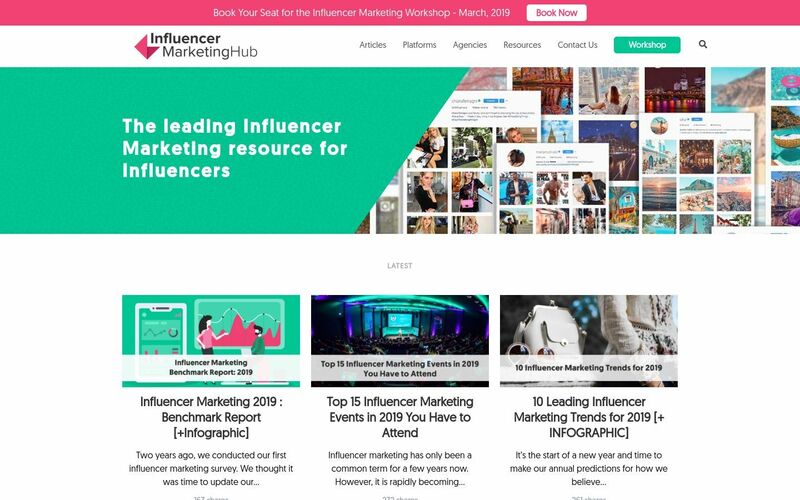 For brands and marketers, Influencer Marketing Hub gets you up to speed on the most effective way to market yourself online. Learn how influencers can help you reach bigger audiences using tools to manage campaigns. 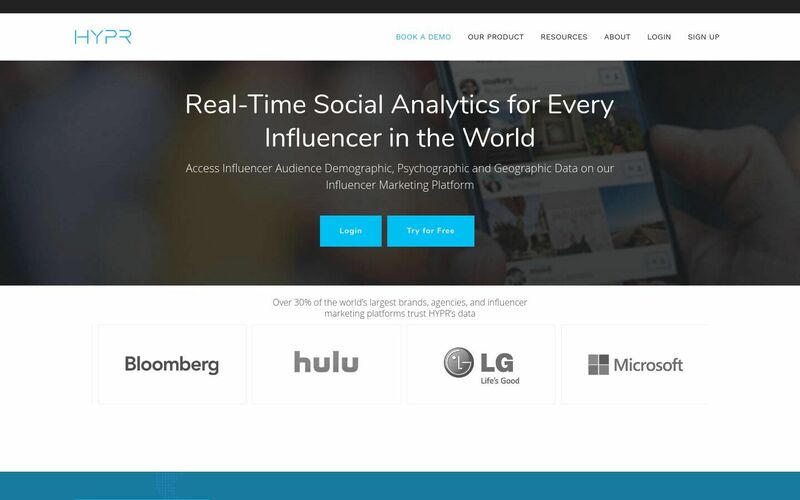 Influencerdb is a data-driven software tool for influencer research and analytics. Find and analyze influencers and their target groups. 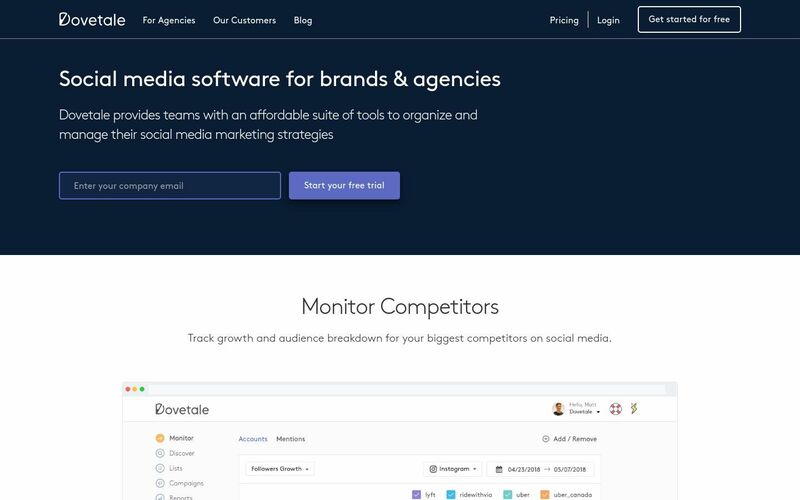 Organize all your influencer relations in one tool built for teams and monitor all postings from influencers mentioning you or your competitors. 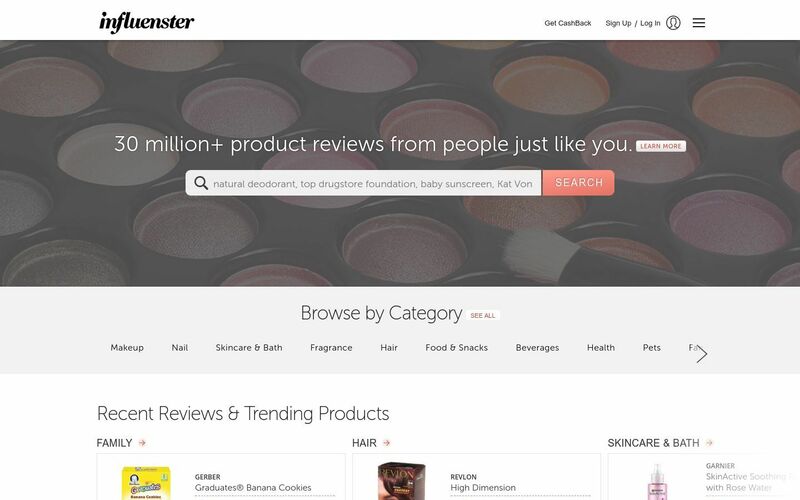 Influenster is an online platform primarily focused on partnering with influencers and content creators in the “product review” space. 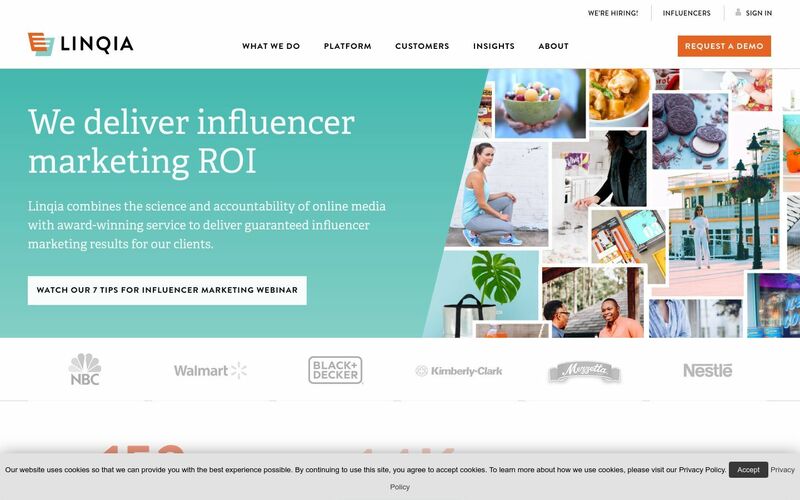 Influenster features a dedicated online community of over 3 million product reviewers, and partners with businesses to create product reviews and custom content that will boost engagement and drive sales. 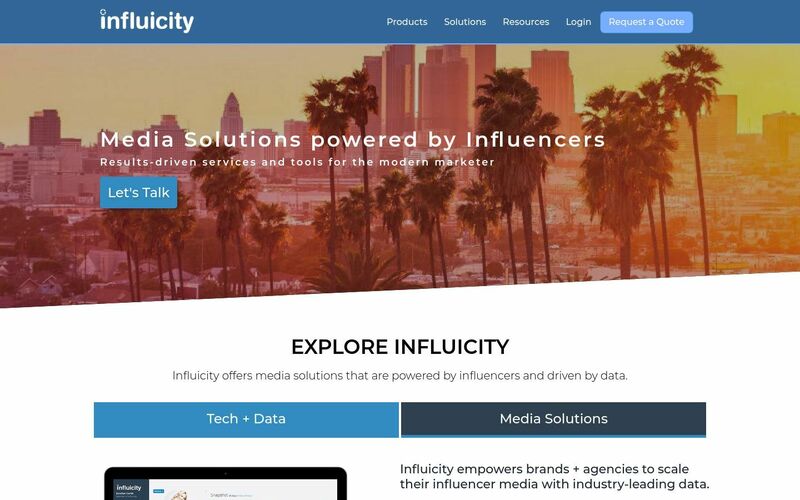 Influicity is perhaps the largest platform on our list, featuring access to 10 million influencers through their proprietary online software. 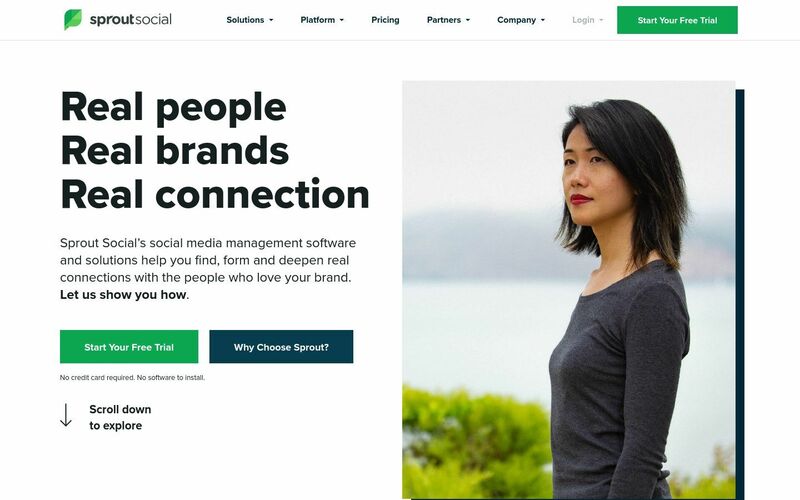 Their software allows you to connect with Twitter, Facebook, Twitter, Tumblr, and YouTube content creators, and manage your relationships and campaigns from a single, easy-to-use campaign management tool. Intuitive budgeting and analytics tools round out the feature set of this platform. 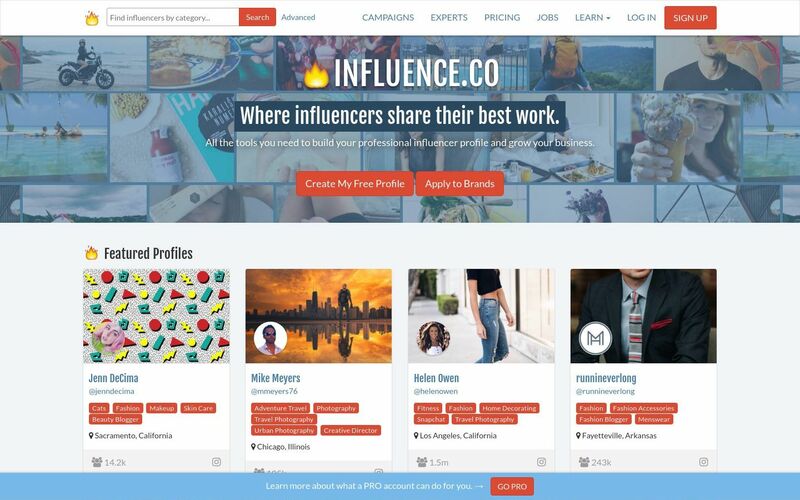 Influence.co is a free and premium influencer marketing platform that helps influencers showcase themselves and connect with interested brands like you. 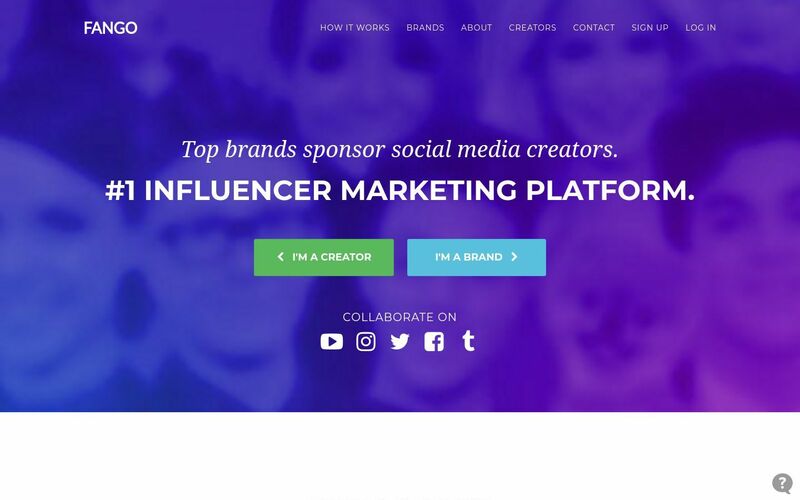 An influencer’s page on the platform includes links to their social profiles (Twitter, Instagram, LinkedIn, YouTube, Snapchat, etc), their recent Instagram photos, their engagement rate, the brands they’ve worked with and how much they charge. Inkybee is blog-centric and geared for agencies and is a suite of simple web-based tools to help you manage the entire digital outreach process from finding influencers through to measuring outreach campaigns. InNetwork was purchased by gShift in 2016. 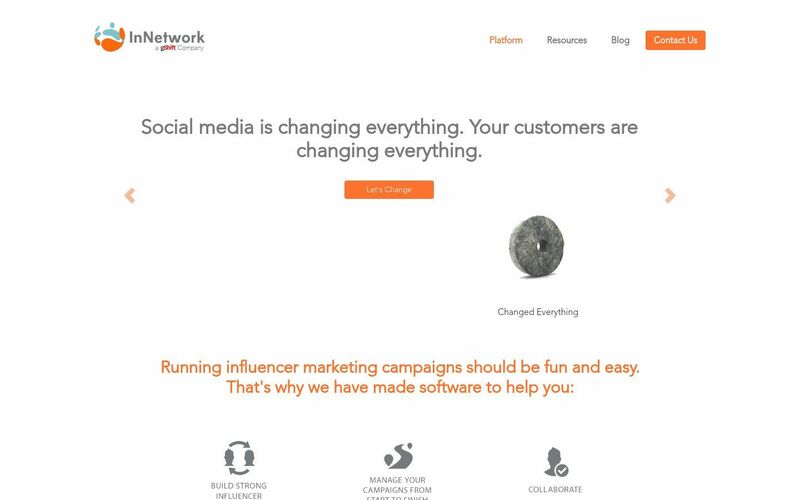 InNetwork is an online platform enabling marketers to connect with influencers for launching social media outreach campaigns. Influencers are carefully selected and are scored against high standards of professionalism, social media reach and influence. The platform provides marketers with access to influencers who will participate in both paid and non-paid campaigns. Paid campaigns are priced based on influence scoring (a proprietary system), frequency and reach. 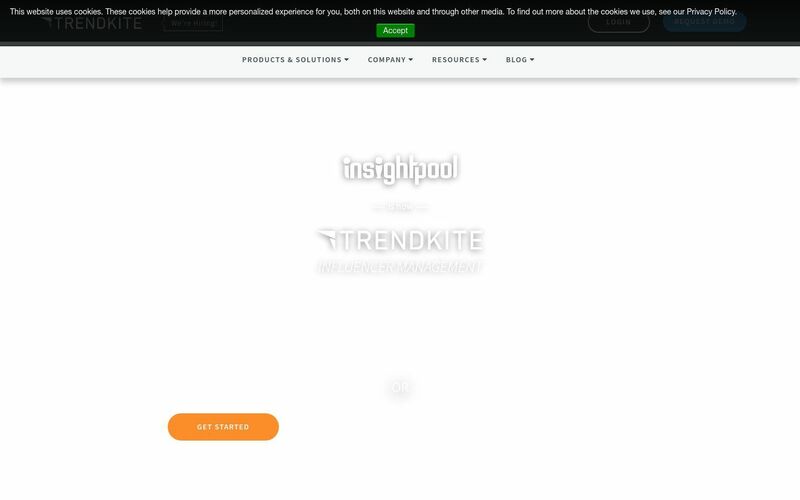 InsightPool bills itself as the “Google for influencers.” Use the search bar the same way you would use Google. 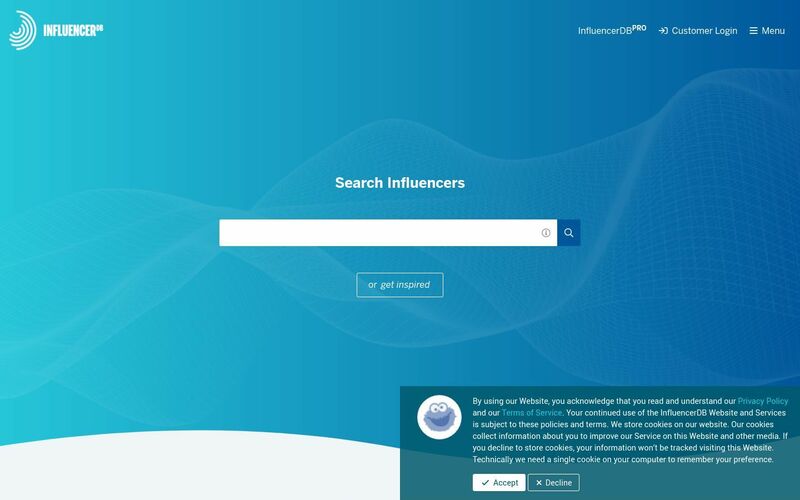 Type in multiple topics to filter through influencers from more than 100 social networks, including Facebook, Twitter, Instagram, and Pinterest. 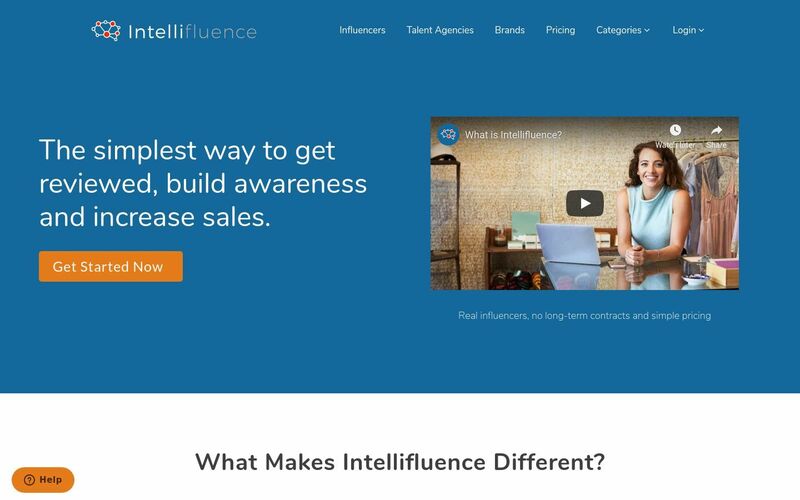 Intellifluence is focused on smaller businesses who need a simple, cost-effective way to engage with influencers. 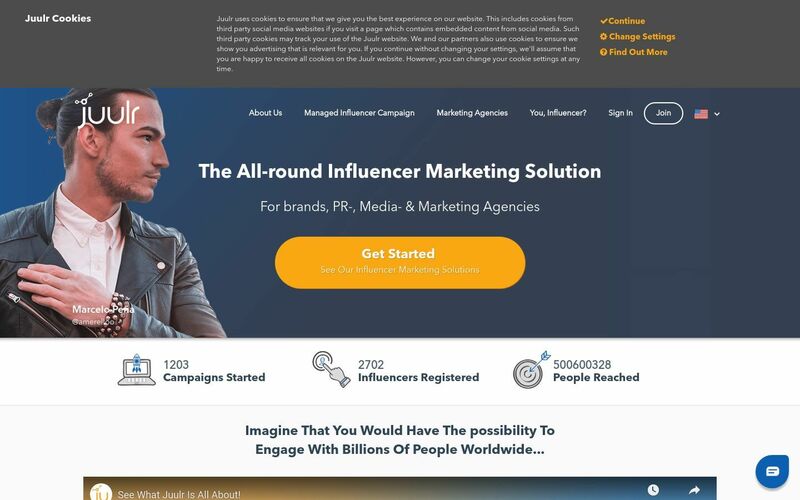 Plans are very affordable, and an intuitive design and interface allow even inexperienced marketers to quickly and easily find cost-effective influencer partners. Ivy Worldwide is a full-service influencer-marketing focused consultancy first established in 2007. The firm provides a comprehensive goal-setting framework, strategic consulting, influencer identification and contact, and strategy execution services. They provide brands with a comprehensive influencer marketing solution. 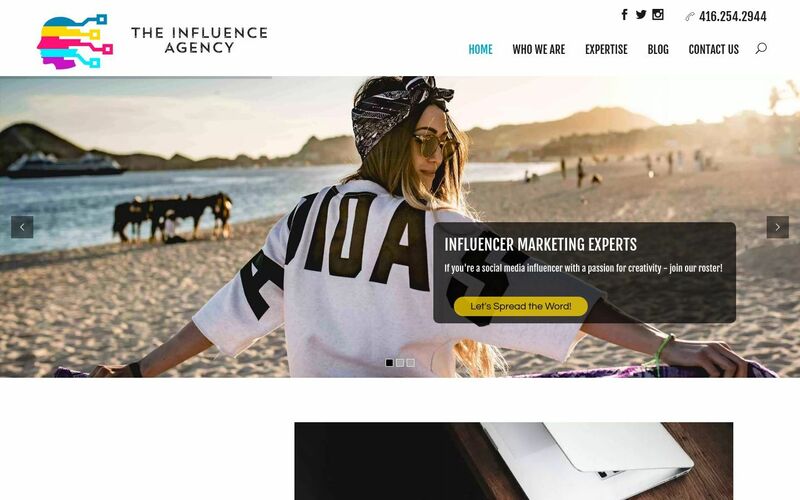 IZEA combines a comprehensive online influencer platform with managed services, occupying a middle-ground between a traditional advertising agency and an influencer platform. You can choose to connect with content creators on your own through their platform, or partner with their team for managed content and advertising services. Jamballa matches bloggers and brands together based on criteria they specify. This means bloggers are never hassled by products they are not interested in and businesses are only connected with bloggers who want to work with them. Jamballa says they are like eHarmony for blogs and brands. They also offer press release services. 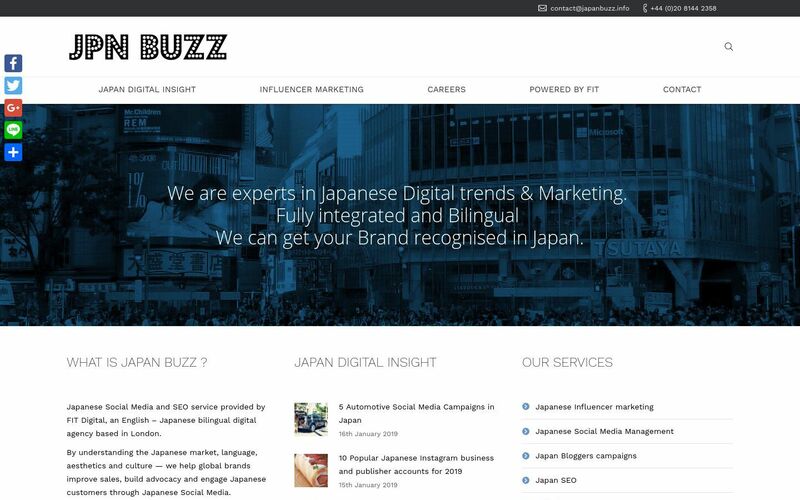 Japanbuzz is a digital agency specializing in social media management, SEO, digital PR, TV spot placement, e-commerce analysis and influencer marketing. Their knowledge and connection with Japanese influencers allows you to find places to market across all major social media channels used in Japan. Keep in mind that activities that work for your global campaign may not be relevant in Japan. Japanbuzz can also offer partnerships for agencies looking to improve their Japan footprint. 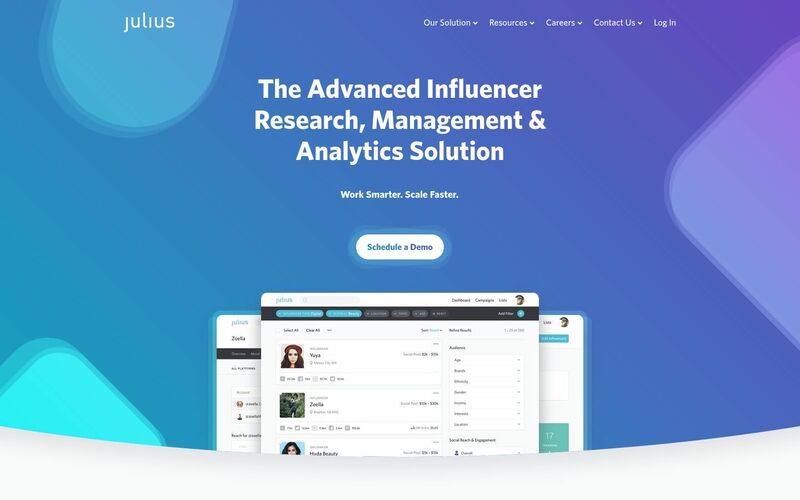 Julius is a data-driven influencer marketing platform. 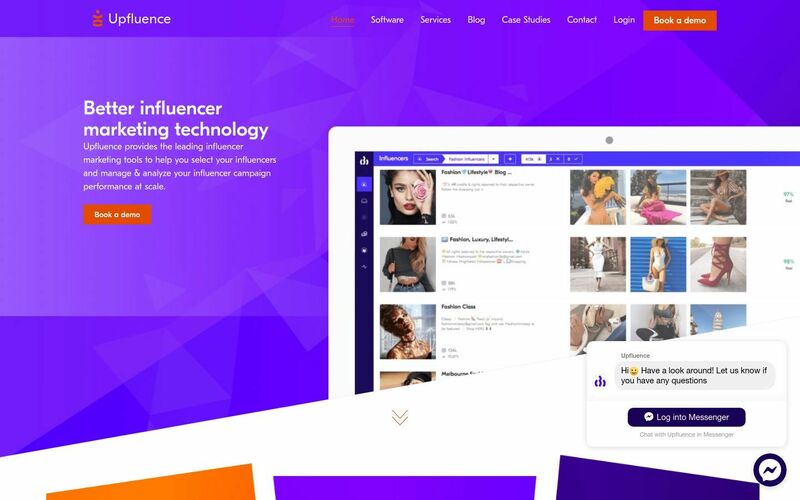 It gives you access to rich data on 50,000+ influencers, researched by a team of real people, with insights spanning an influencer’s content style, interests, past brand work, audience demographics, latest news and more. Julius has more than thirty searchable data points so you can find the right influencers that speak directly to your audience. 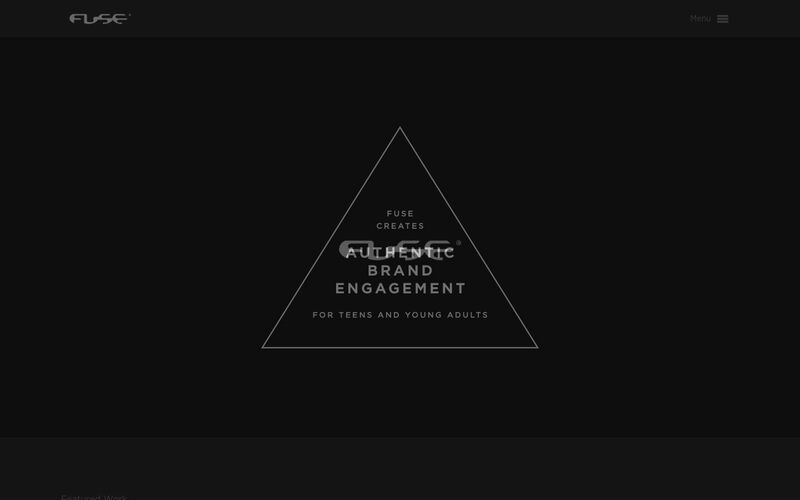 Juulr is an influencer advertising automation platform which specializes in the optimization of the CPE (cost per engagement) for brands and organizations. Simply create a profile and you can start seeing real-time insights and information. Juulr gives previews of the influencers with snapshots so brands can assess their eligibility. If you like an influencer, you can extend an invitation to them which will be either accepted or rejected depending on basis of pay, necessities provided, dates and various other factors. KashKlik is a fully integrated influencer platform. It enables advertisers to create campaigns and pay per click. You can track the performance of your campaigns with concrete metrics so that you only pay for real engagement. The KashKlik platform provides the most effective way to exploit the potential of influencer marketing, with easily measurable ROI. For influencers, KashKlik allows you to monetize your audience by creating promotions in which you will be paid to share advertisement campaigns. With KashKlik you get paid for each follower who clicks a link you are promoting. The bigger your audience and the more engagement you are able to generate, the more you will get paid. 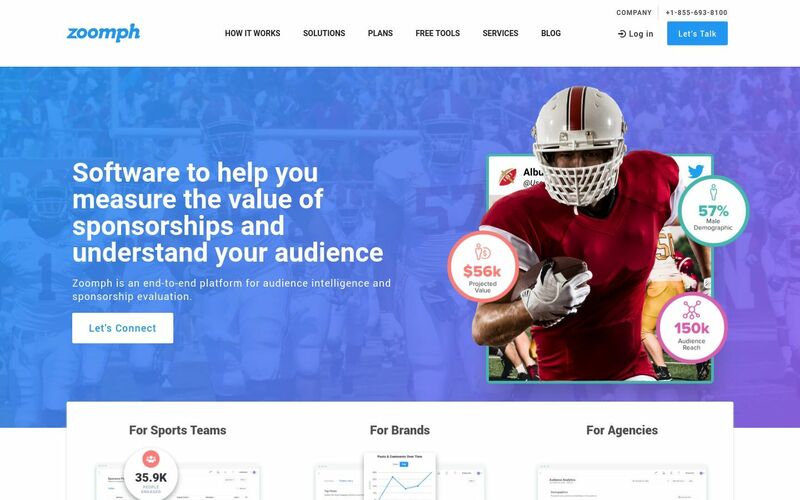 Kasitoko is an influencer marketplace where agencies and advertisers can access influencer inventory from all the networks that use Kasitoko’s SSP technology. 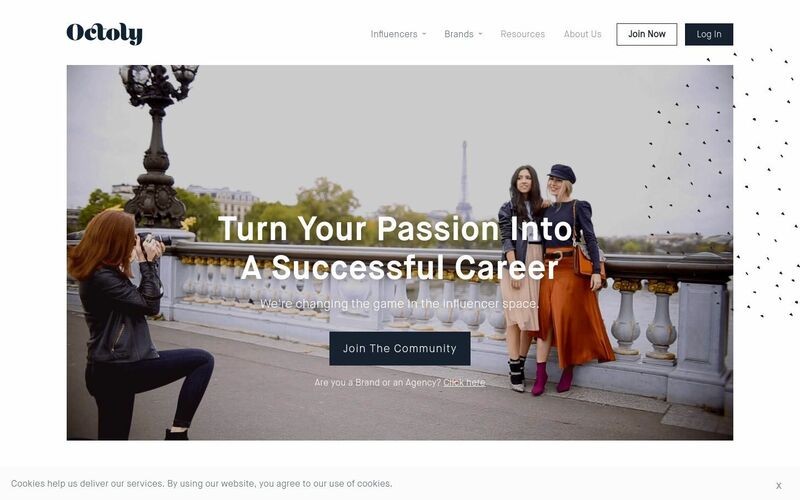 They offer a free white label solution to manage and publish influencer campaigns on Facebook, Twitter, and Instagram. Kasitoko lets you create your own influencer network, with no need to invest in technology. Everything is streamlined and automatic, from influencer relationship management to analytics and reporting for your influencer campaigns. 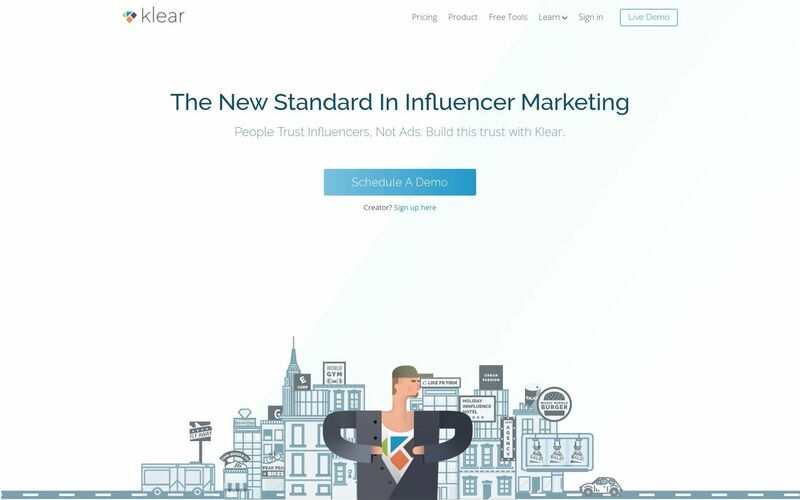 Klear claims to possess an influencer search engine comprising 500 million profiles, 60,000 categories, and 5 years worth of historical data. With it, you can find and assess influencers and get social media analytics for Twitter, Facebook, Instagram, Blogs as well as Youtube. 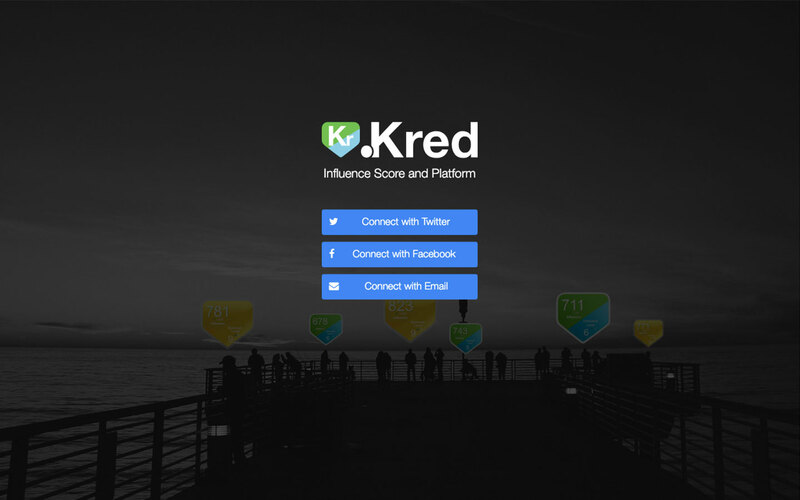 Kred is somewhat similar to Klout, providing a platform where individual users can sign up, have their social profiles analyzed, and be categorized by their individual specialties, audiences, and expertise. Marketers can then browse these profiles to identify individual influencers who may be a good fit for their campaigns. 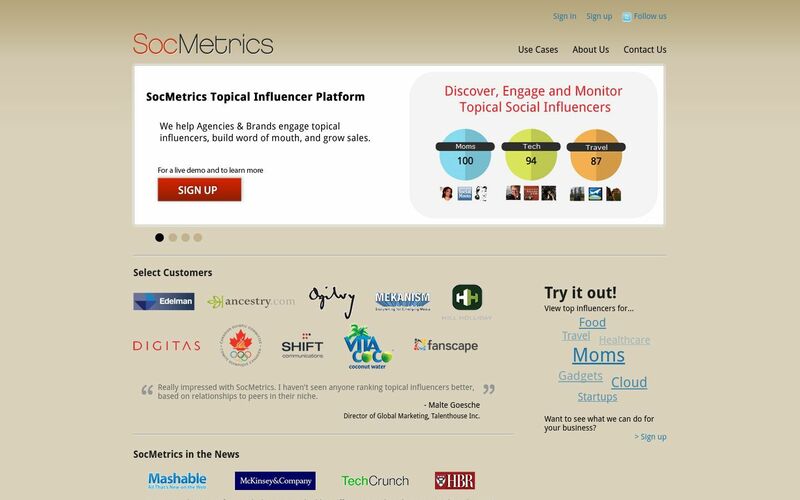 Launch Metrics software helps you find and engage influencers. Get a comprehensive look at them including comprehensive social metrics, published content, contact information and topics of interest. 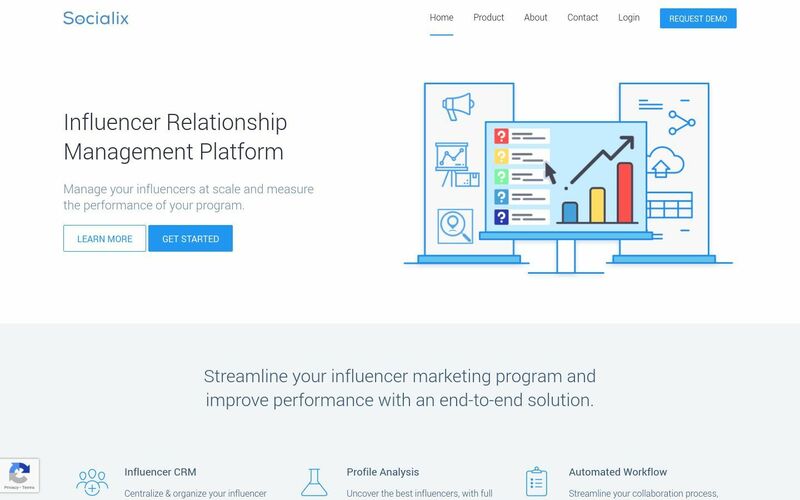 Launch Metrics software uses over 100 different ranking criteria to help you assess an influencer’s authority by topic. You can also get a clear picture of the influencer’s audience including gender, age group, and interests. Launch Metrics also gives you insight into influencers’ past brand engagements. 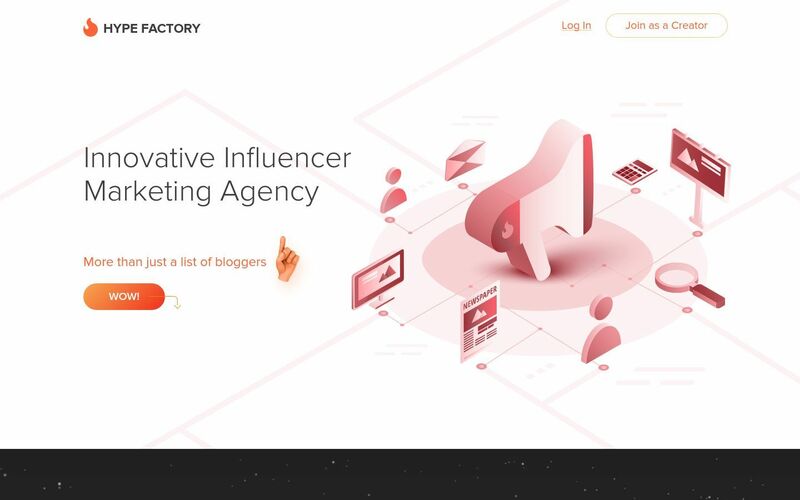 Lefty is part influencer marketing platform and part creative agency. They work with brand and marketing agencies to engage with the five million influencers contained in their database. Lefty does all the heavy lifting for you including creating the brief to arranging the contractual agreements. They have worked with some major companies such as Uber, Airbnb, Hilton, and Absolut. Linqia brings the science and accountability of online media to influencer marketing through a results-based approach called influencer media. Linqia’s AI-driven platform continuously learns and improves, matching brands with the right mix of creators who will deliver concrete business results. 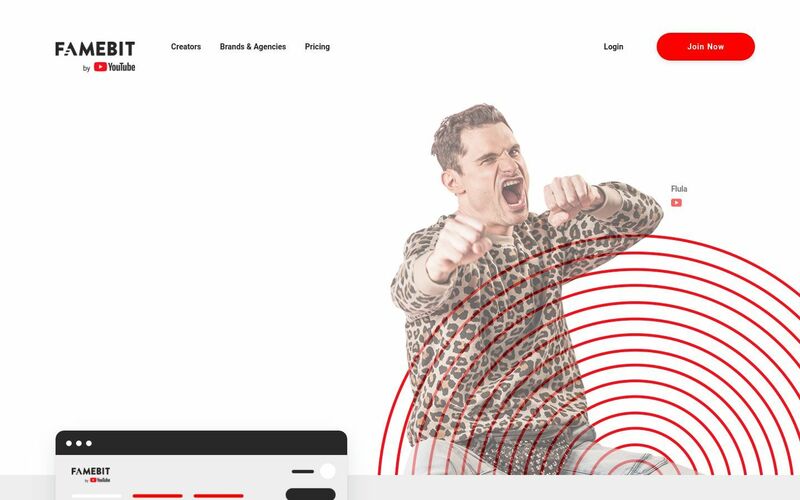 The platform also serves as a digital content lab, where marketers can organically test and amplify the best performing influencer content to drive greater ROI from their paid, owned and earned media. 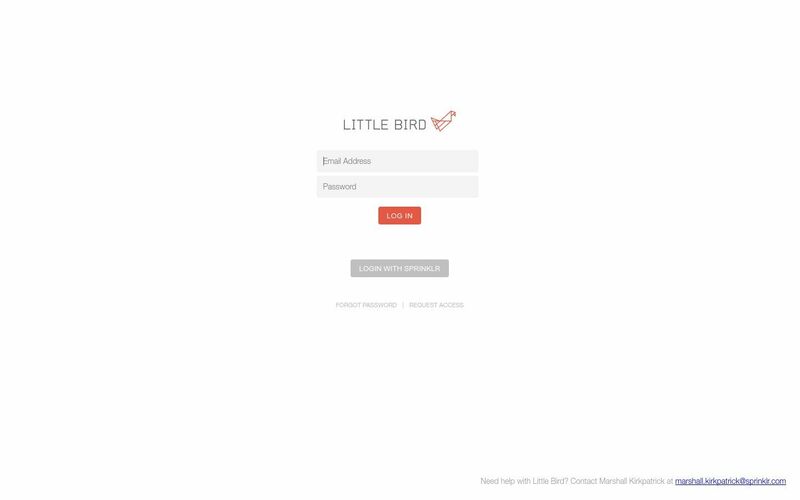 Little Bird is a very powerful tool that can be used to monitor engagement and content in a particular market segment. Little Bird lets marketers create custom market segments by importing .csv files and creating custom keywords, allowing marketers to understand what content is performing well in a given market segment. These powerful analytics tools are very useful indeed and can help inform your next influencer marketing campaign. 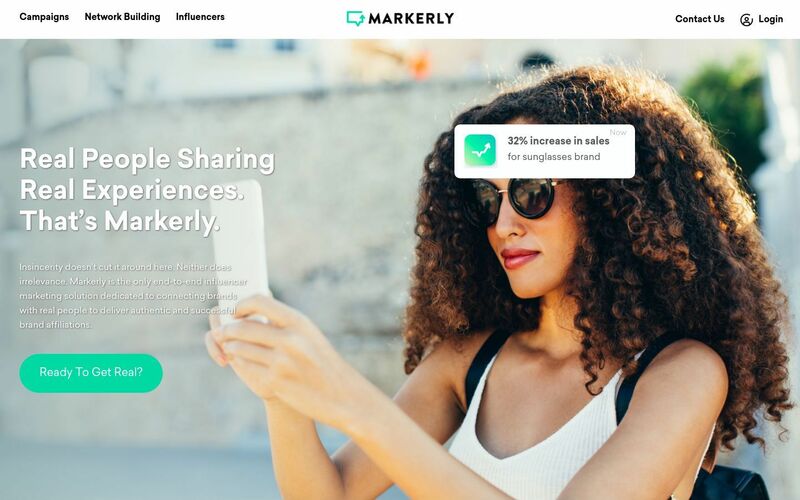 Markerly is an end-to-end influencer marketing solution dedicated to connecting brands with real people to deliver authentic and successful brand affiliations. With Markerly, you can build your own branded influencer network with full campaign management capabilities and influencer CRM tools — or, you can have them manage all of that for you. 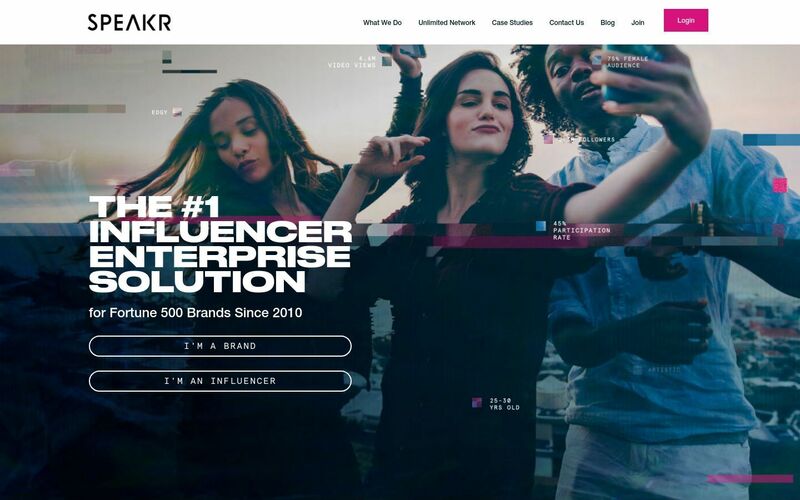 Mavrck is focused specifically on connecting brands with “micro-influencers.” These micro-influencers usually have a following of 10K-100K on major social media websites, and represent a very cost-effective method of utilizing influencer advertising. Their platform is available both online and on mobile devices, and they’ve partnered with brands like OREO, Old Spice, P&G, and Converse. 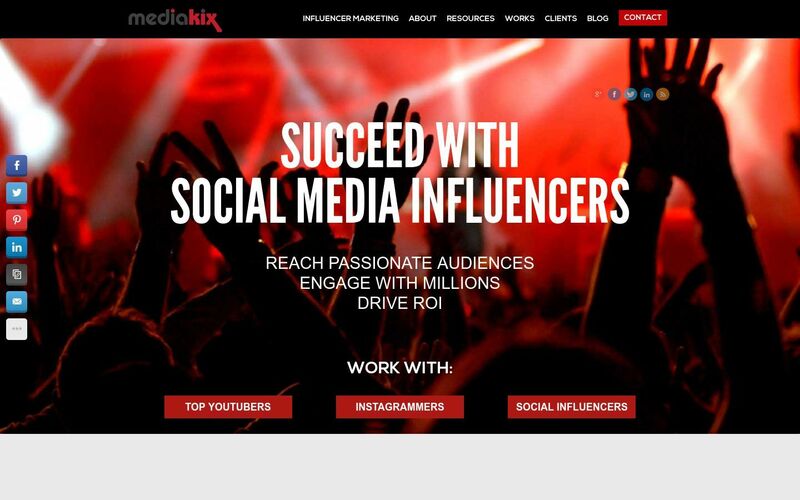 Mediakix is an influencer marketing agency focused on influencers using social media platforms like YouTube and Instagram, as well as newly-emerging social media channels. Their focus on innovation and growing social channels provides clients with fantastic ROI. Mention shows you people who are already talking about your brand, then pick out which ones are influential. They have social listening dashboards and monitoring features that can help you build and reach out to a list of influencers to track campaign activity and monitor the social activity it garners. Mention can also help you create a report summarizing the results. 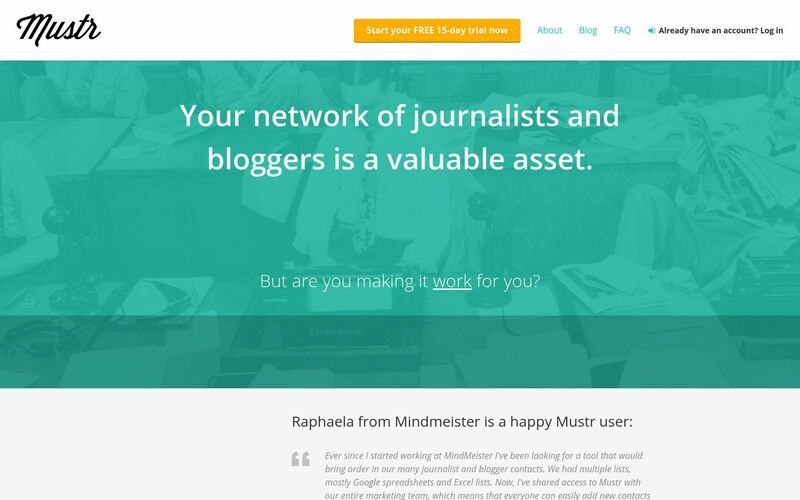 Mustr helps you and your team organize your network of journalists and bloggers. That way, you can concentrate on improving your relationship with them. It was developed by a team of PR professionals and corporate communication managers who were tired of looking for a powerful PR solution that would fit all of their needs. 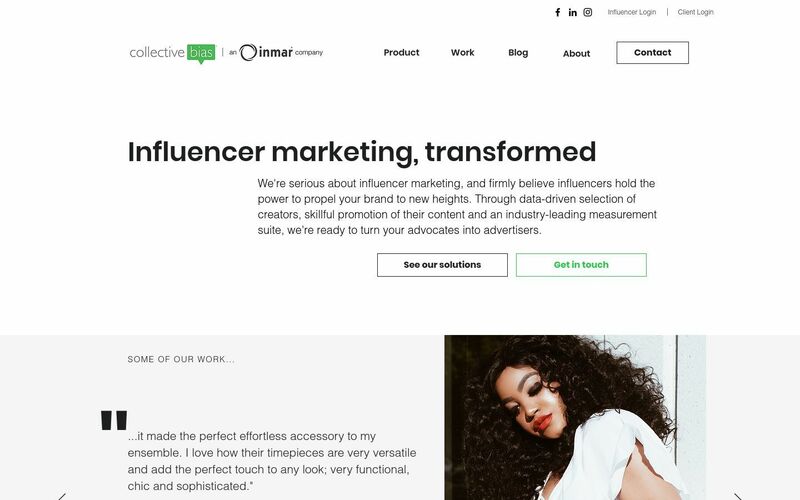 NeoReach is a comprehensive platform that enables marketers to unify and streamline every part of their influencer marketing: from influencer search, follower analytics, and audience reports. Their technology indexes the social web in real time, providing detailed insights to create lists and select influencers. NeoReach also enables campaign automation as well as tracking and reporting. Niche is a platform that provides creators with the ability to understand and activate their social presence across all networks. Niche, a part of the Twitter family since 2015, works with creators worldwide alongside top brands to develop authentic and resonating branded content. Niche works with industry-leading brands on a campaign-by-campaign basis, you can attend exclusive meet-ups / events with creators from all over the world and access analytics across all of your major social networks. 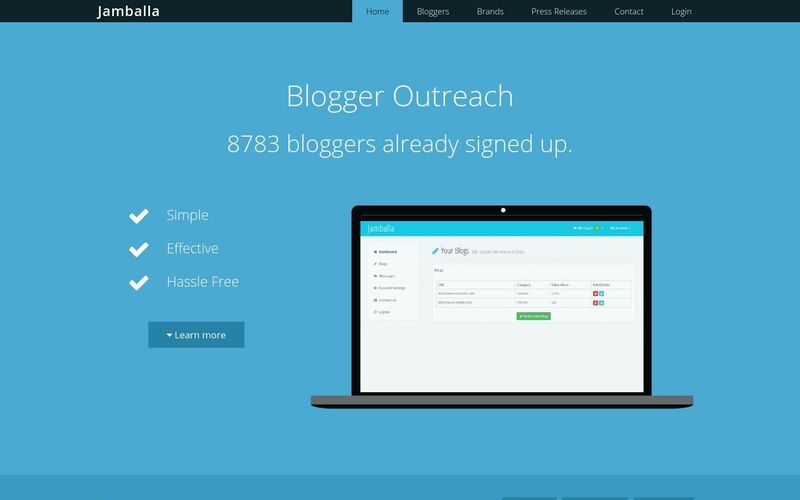 Ninja Outreach is focused on reaching influencers, as well as generating business leads. 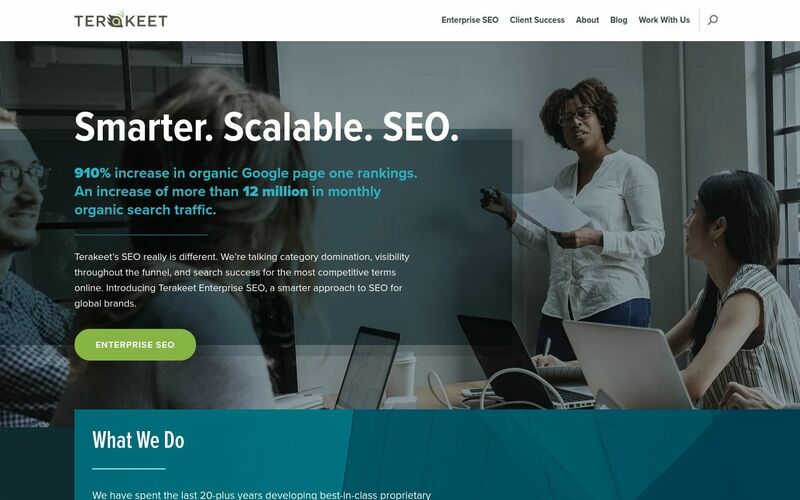 This powerful tool is built around a customized metasearch engine that lists more than 25 million websites, social profiles, and other information. All of these results can be organized through powerful filtering tools, to help marketers drill down and find the right influencers for their campaigns. Ninja Outreach also includes a built-in CRM tool to help you stay in contact with your influencers, and a powerful set of analytics tools which can help you measure campaign ROI. Octoly is French based and YouTube-centric. Octoly is brand management software that enables businesses to get their products featured on YouTube videos to get increased visibility. Octoly is a three-step process and starts with brands offering “creators” (influencers) free products to try and review. Step two is creators then apply to review the products, and step three is brands and their products being featured in video reviews. Onalytica operates on a unique business model. They provide end-to-end influencer engagement software that can help you identify key influencers and run smart, analytics-focused campaigns. However, they also offer a large library of educational resources to aid new marketers, and they provide support services to aid marketers who are new to the world of influencer marketing and would like guidance from a professional partner. 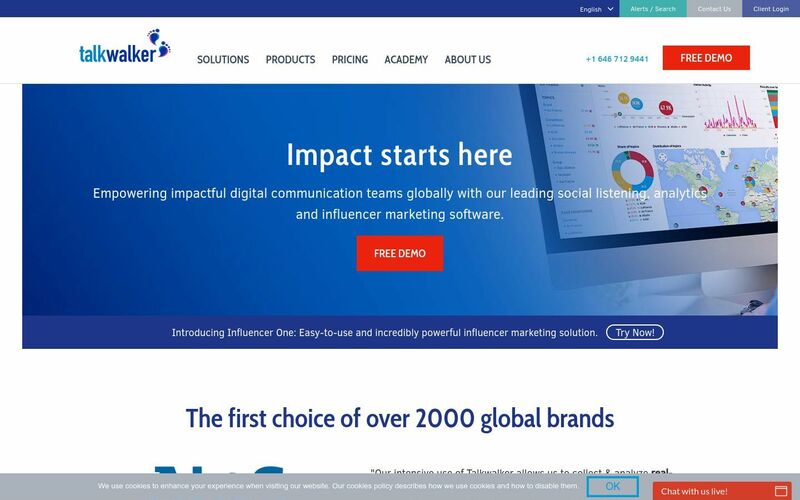 OpenInfluence combines traditional advertising techniques with innovative influencer marketing methods and boasts a proprietary platform that allows businesses to connect with over 100,000 influencers. 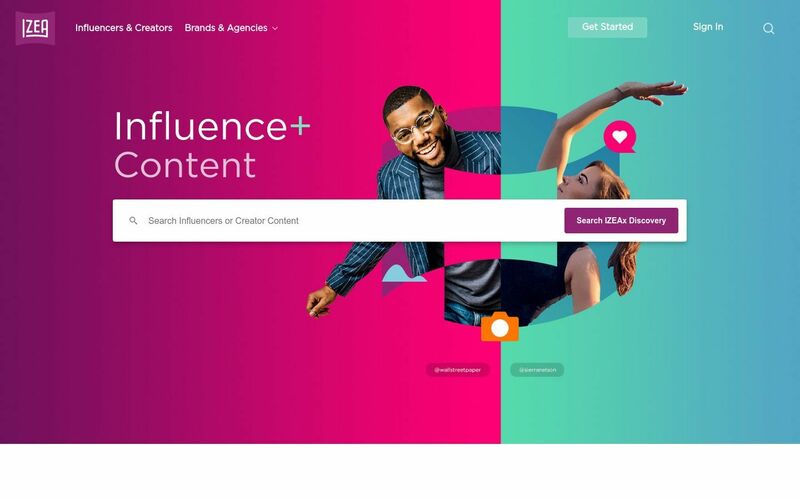 Using an agency model, OpenInfluence connects businesses with influencers and works with both parties to collaborate on a smart, focused content strategy – particularly on Instagram. OpenInfluence has collaborated with Dolce & Gabbana, Fiat, Amazon, Airbnb, and dozens of others. OpenSlate measures and scores the value of YouTube video content for brand advertisers. 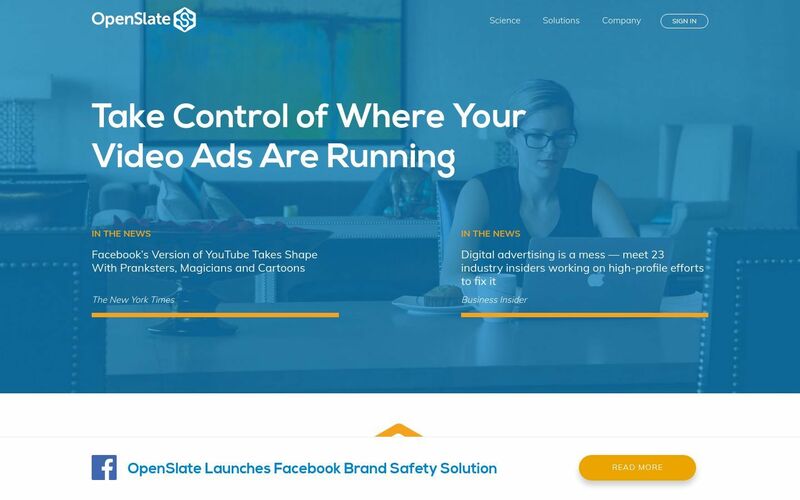 OpenSlate’s proprietary data about content quality, brand safety, context and audience alignment powers the most effective auction-based YouTube strategies for many of the world’s largest brands. They claim to analyze 2+ billion metrics every day about more than 300 million videos that have been published by more than 850,000 YouTube channels. 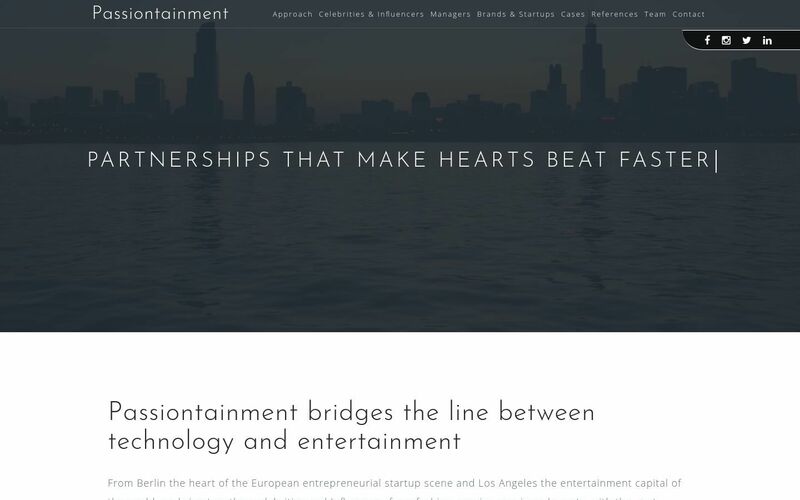 Passiontainment matches influencers with start-up and new ventures. They also work with influencers to develop and vet their own inspirational ideas and evaluate approaches they have already been offered. Passiontainment’s network of digital experts help evaluate and adapt deals and give a realistic, independent perspective on proposals. Peg is a YouTube influencer marketing platform that currently works with 1,500+ companies across 169 countries. It uses data analytics software that matches the most relevant YouTubers with the right brands – like you. It does this by allowing you to learn if the YouTuber has referenced your brand in previous videos. Peg also includes some of the most popular YouTubers and works with managers and agents to connect the best talent with the world’s leading brands. Pitchbox is a tool that helps you find influencers and manage your email outreach. It is a tool meant for agencies, publishers, and brands. The software is used by a variety of digital marketing types including SEO companies, marketers and growth hackers. Pitchbox is integrated with top SEO providers such as Moz, Majestic, SEMRush, and LRT which ensures that you only pull back the most authoritative influencers. 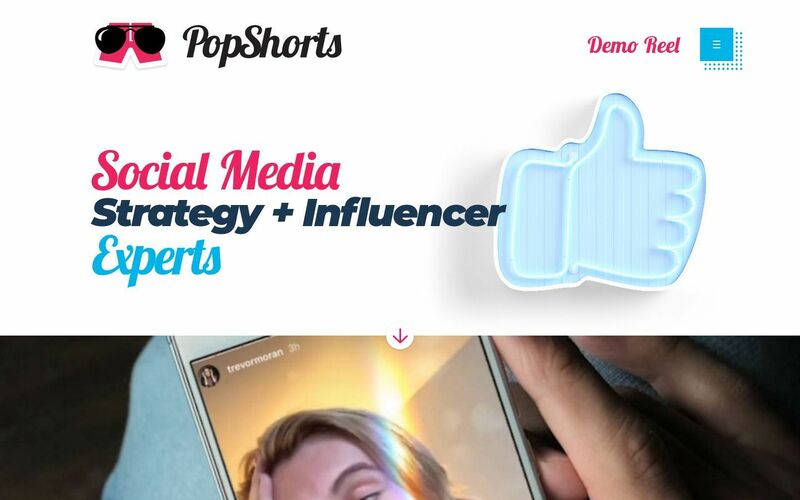 PopShorts specializes in mobile-focused social influencer campaigns. They possess audience data on more than 50,000 influencers, so they choose who they work with deliberately. They select the best channels and influencers for a campaign, based on client goals and available data. 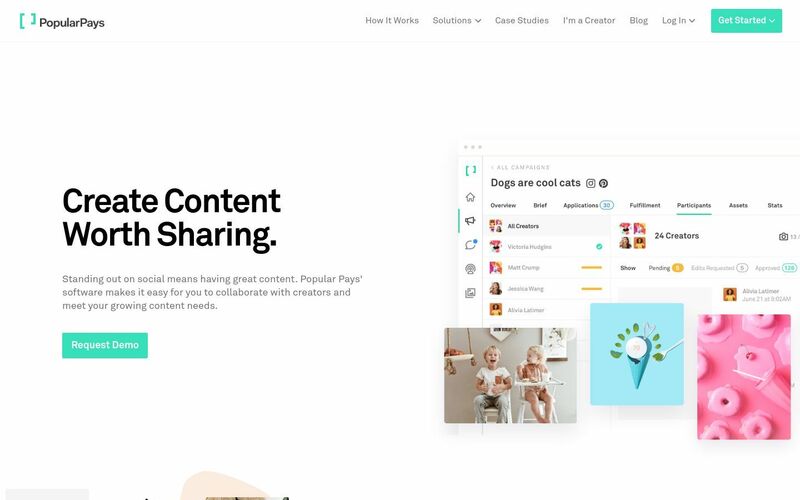 PopularPays is a platform connecting content creators with brands who want third-party content to tell their stories. It starts with the brand creating a campaign, the influencers apply to participate, the brand selects the ones it wants to work with and the influencers then create the content. 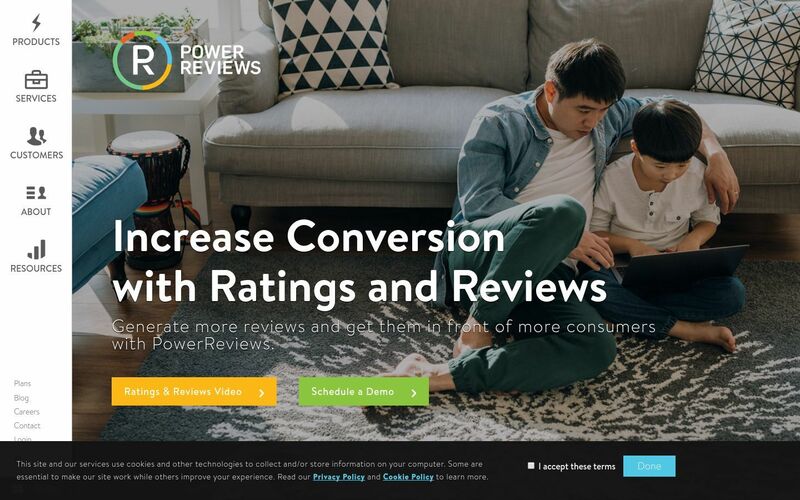 PowerReviews delivers software and network products that empower brands and retailers to generate and display ratings, reviews, and answers to consumer questions—all within a single, flexible, multi-tenant SaaS platform. They don’t just generate more reviews, they get those reviews in front of more shoppers at the moment of purchase. They make sure consumers find your products and services while they’re shopping by syndicating your reviews to Google. Pristige Pro Media is a digital marketing agency that includes influencer marketing as one of their services. Their focus is on getting conversions for your online store. Along with influencer marketing they can help you with setting up a conversion strategy, paid social media, e-commerce website and development, email, and metrics reporting and analysis. 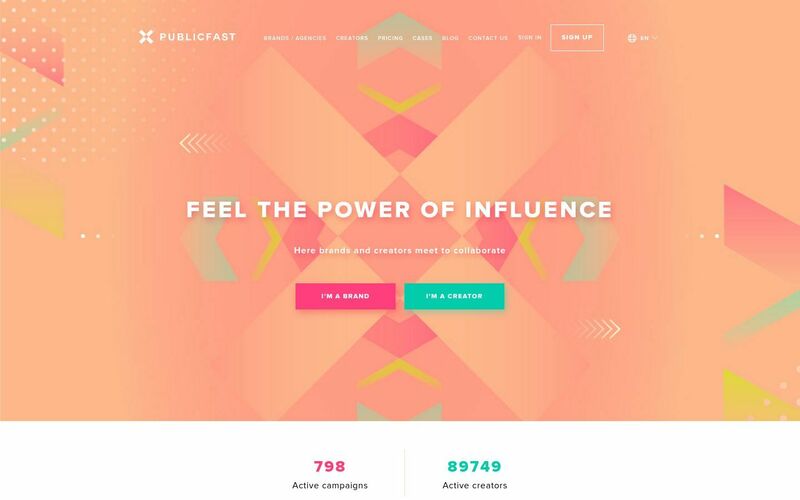 Publicfast helps every brand find the right influencers (over 35,000) across all social networks, and across the globe. You will find topics (over 35), which show your expertise in the best way, five major social networks are already live — all you need to do is join in (Facebook, Instagram, Twitter, YouTube, and VKontakte (VK) – with more coming soon. 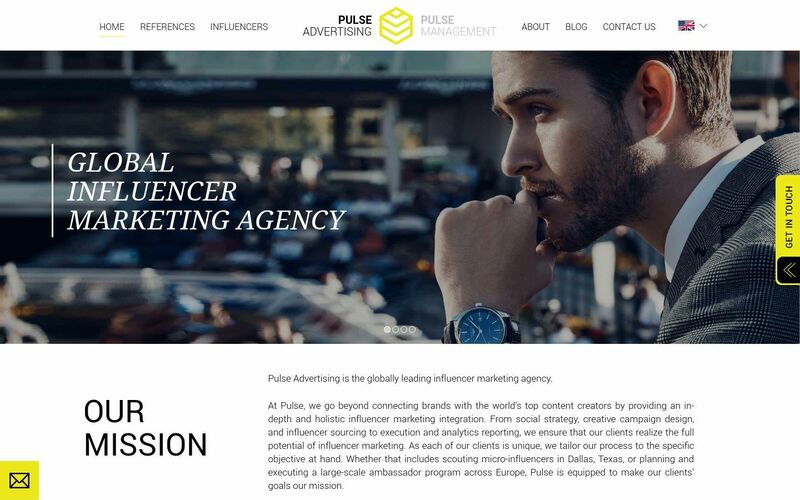 Pulse Advertising carefully designs and executes tailored campaigns to make sure they receive the attention they deserve by connecting them with their network of social media influencers and their followers, your target group. Pulse Advertising services include brand awareness, brand re-positioning, market entry, product launch, and social strategy. Their focus is on fashion, beauty, fitness, travel, and lifestyle. Qoruz is an influencer discovery and outreach platform that enables brands to create and grow influential micro-communities to amplify their brand affinity. Qoruz boasts of more than 1 million indexed, global social profiles in its database, and their search engine scans and indexes almost 400,000 profiles every day. They have segmented influencers over more than 140 categories and their keyword search functionality works with more than 1 million keywords and phrases. 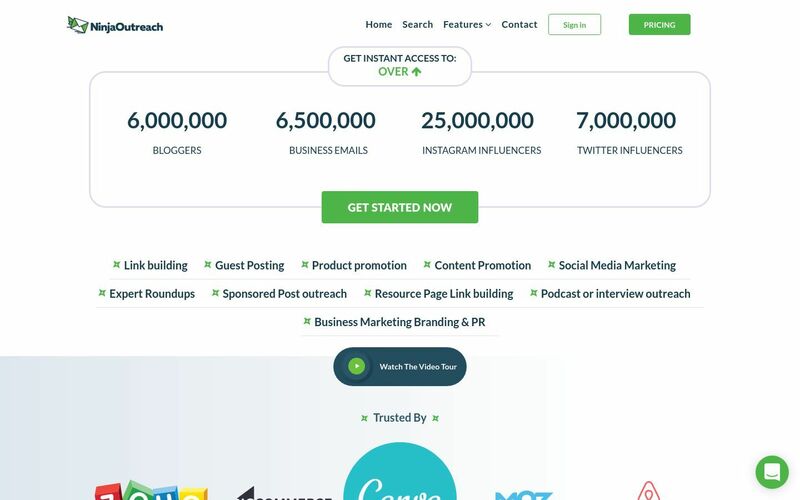 Reachbird is a keyword based influencer search engine. Reachbird has 20 filters allowing you to target down to the finest nuance including e.g. country, city, gender, age or categories like professional athletes, actors or musicians. 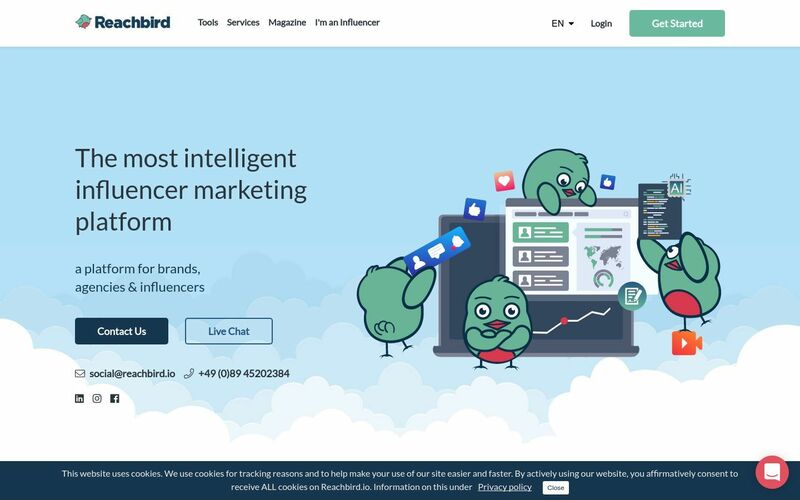 Using Reachbird, you decide which influencers fit your brand based on relevant KPIs like topic engagement rate, topic distribution, audience breakdown or ratings. 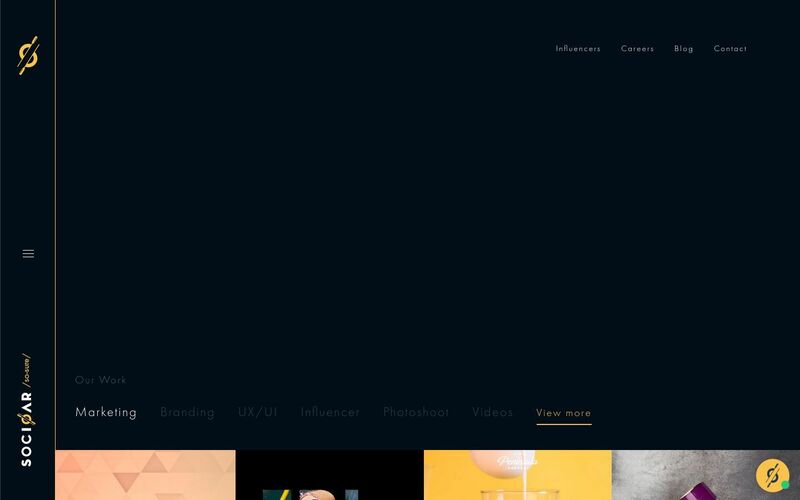 FullScreen In collaboration with the world’s leading talent and brands, they create content differently. Their network, their technology, and their services change the way content is produced, distributed, and consumed by more than 600 million massively engaged subscribers. 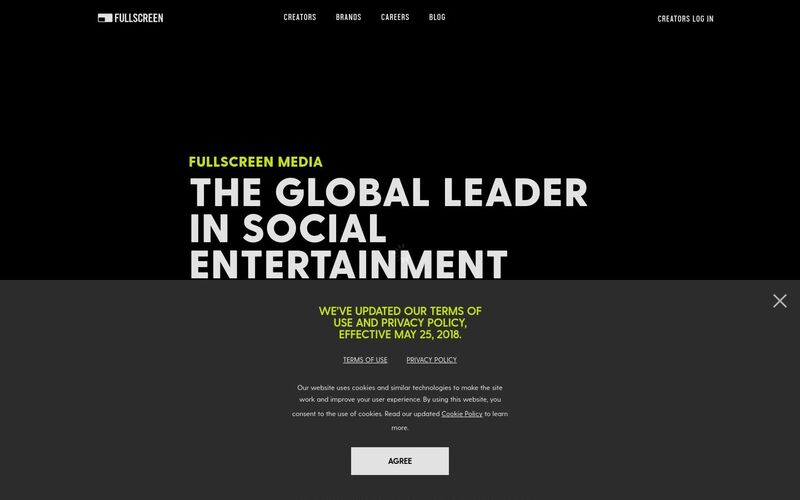 FullScreen is headquartered in L.A. and were founded in January 2011 by CEO George Strompolos, a co-creator of YouTube’s Partner Program. Reign Agency is a multicultural influencer marketing agency that designs and executes custom influencer marketing strategies and campaigns made for multicultural audiences. Through the largest global network of multicultural influencers, brands are able to reach and engage target audiences. They have collaborated with Amazon, Alice+Olivia, New Look, CLUSE, and more. 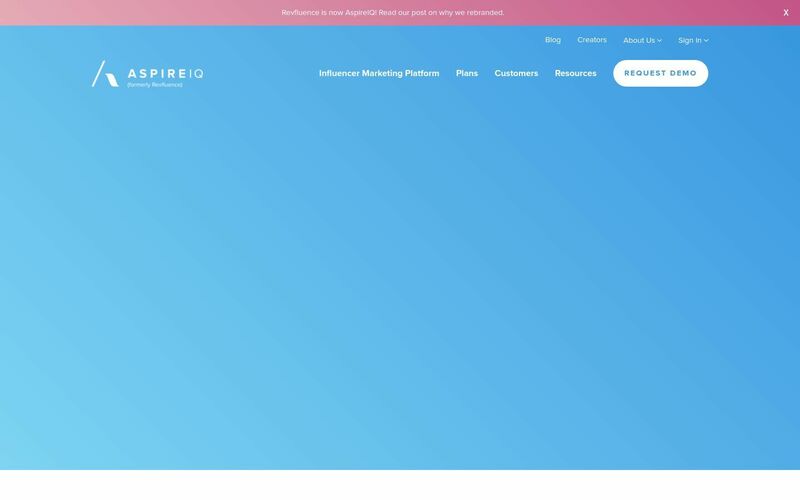 AspireIQ is an influencer platform that streamlines influencer discovery, management, and analytics, making it easy to build authentic influencer relationships at scale. 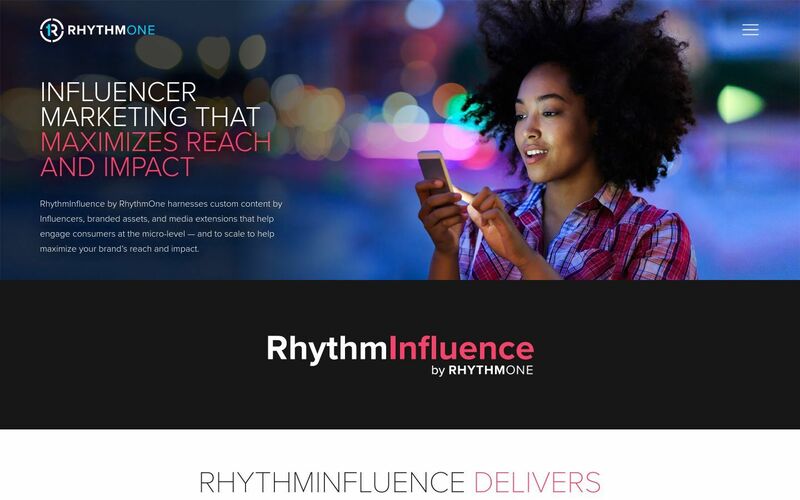 RhythmInfluence is an online platform dedicated to cross-platform content creation. 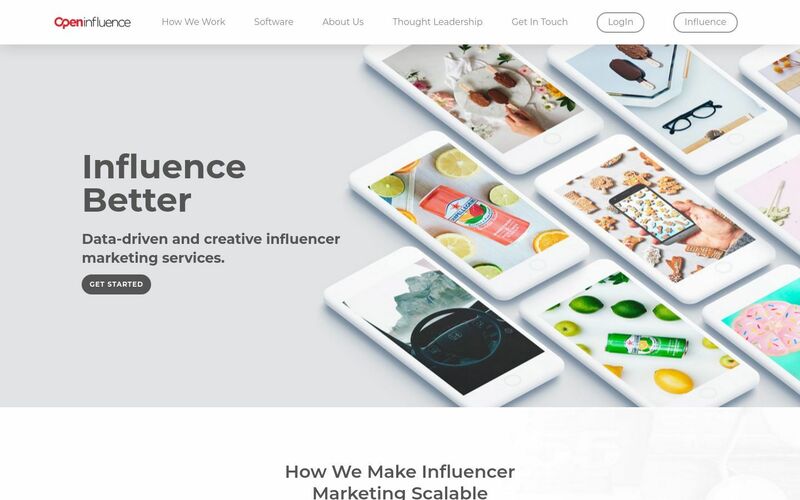 Their proprietary tools allow you to connect with influencers on Snapchat, Blogger, Facebook, LinkedIn, Instagram, Pinterest, Youtube, Twitter, and more. Interestingly, they split their influencers into three primary categories – photo-based content, text-based content, and video content. This allows you to choose the most appropriate strategy, and find influencers who will provide the content that will engage your customers. 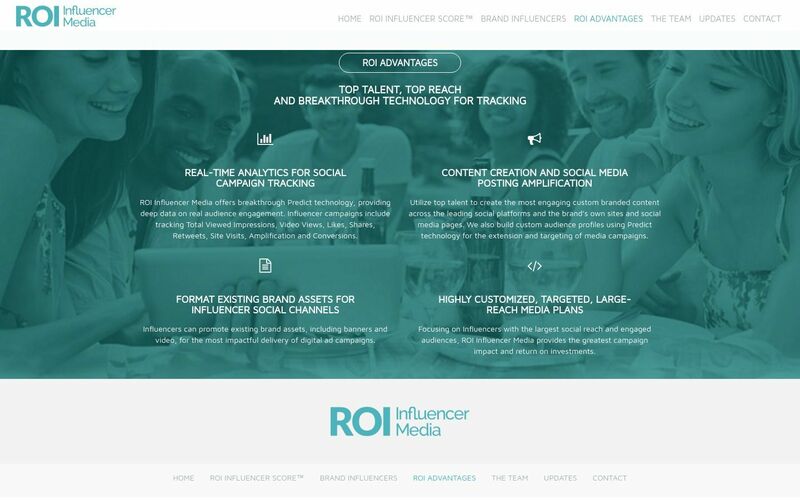 ROI Influencer Media offers breakthrough Predict technology, providing deep data on real audience engagement. Influencer campaigns include tracking total viewed impressions, video views, likes, shares, retweets, site visits, amplification and conversions. Through ROI, you can leverage talent to create the engaging custom branded content across the leading social platforms and your brand’s own sites and social media pages. They also build custom audience profiles using Predict technology for the extension and targeting of media campaigns. 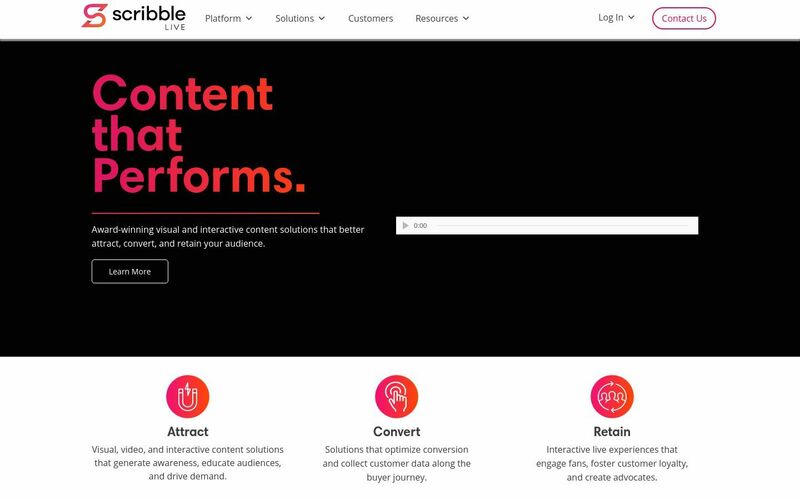 ScribbleLive is an influencer platform that’s focused on connecting brands with content creators, and providing smart tools that allow brands to deliver their content effectively, and with maximum ROI. 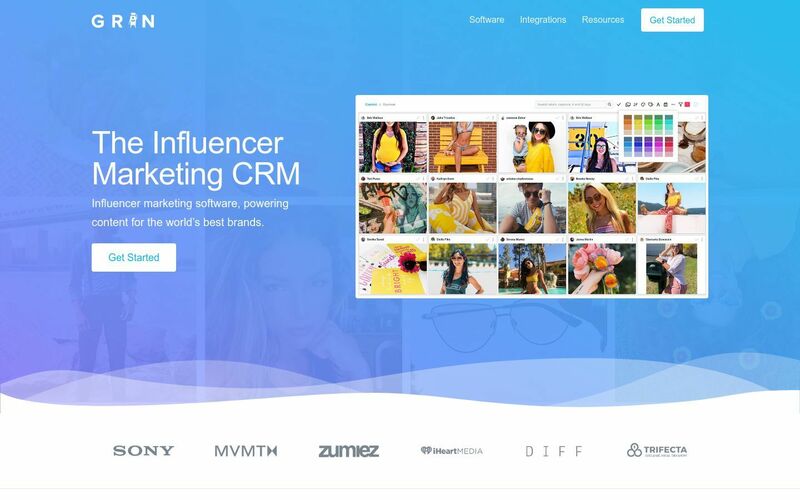 Scrunch is an end-to-end influencer marketing tool, focused on providing an all-in-one package to marketers that combines a search engine, campaign management software, and influencer CRM tools. 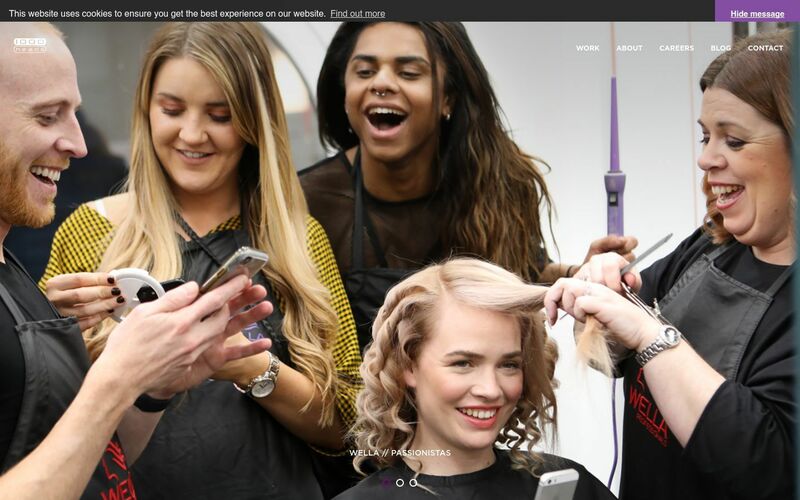 Scrunch also features optional managed content services – you can partner with Scrunch agency services to conduct your marketing strategy, in case you need to automate your influencer marketing campaign, or need additional assistance. 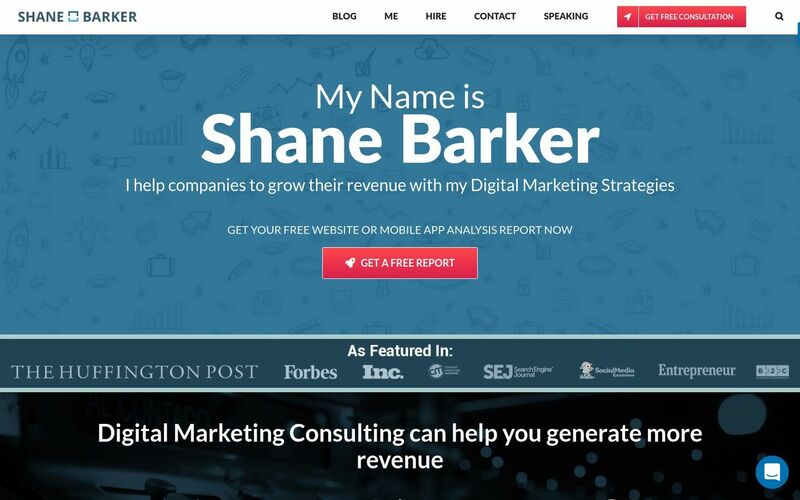 Shane Barker is an accomplished digital marketing consultant who specializes in influencer marketing campaigns. Shane has built an impressive list of accomplishments, from working with celebrities on digital reputation management to helping some of the largest brands in the world understand and leverage the power of social media influencers. As a regular contributor to publications like Inc.com, The Huffington Post, CMO, Social Media Examiner, Social Media Week, MarTech Advisor, and many others, he continues to grow, and share his knowledge in the influencer space. 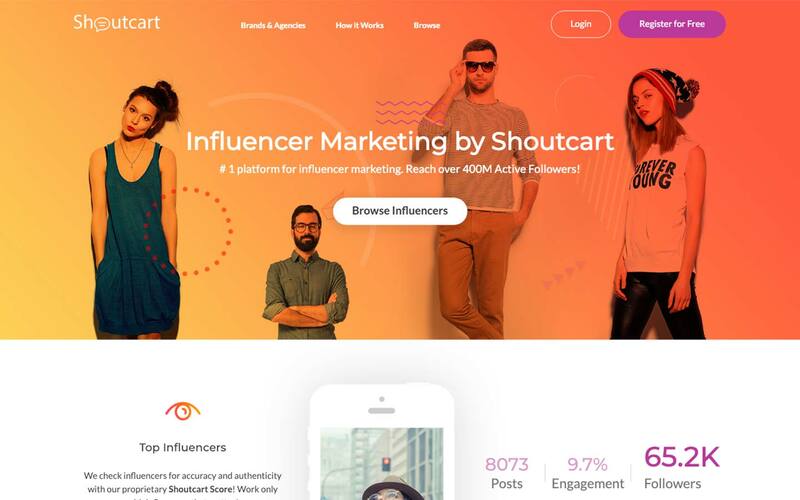 Shoutcart is a marketplace to buy and sell Instagram influencer shoutouts. Looking for an influencer to mention your brand or product on Instagram? You can do it directly from the platform. It allows you to choose influencers from the Shoutcart database. Prices vary depending on the size and reach of the influencer’s platform. Once you’ve paid, upload your image or video along with the caption, your Instagram name and the time and day you want them to publish them. 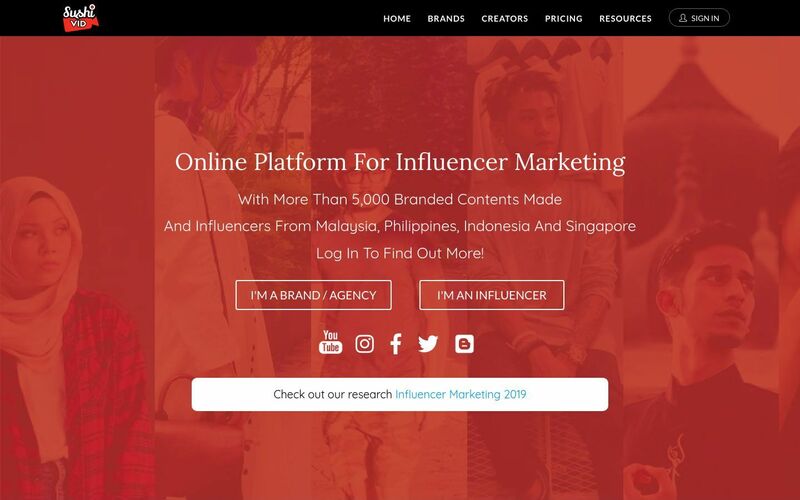 SushiVid is a Southeast Asia based influencer marketing platform specific to the Asian market. It claims first mover advantage here. 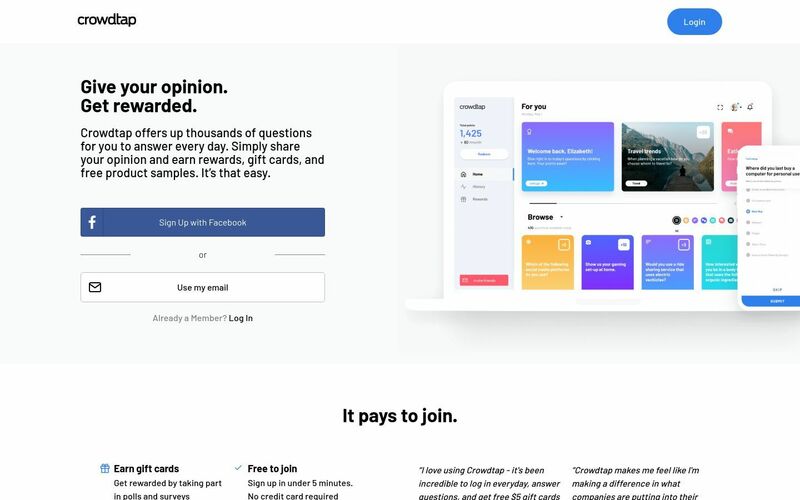 Sushivid works by allowing influencers to browse campaigns on the site so they can submit a proposal on the ones that they find most interesting or relevant. 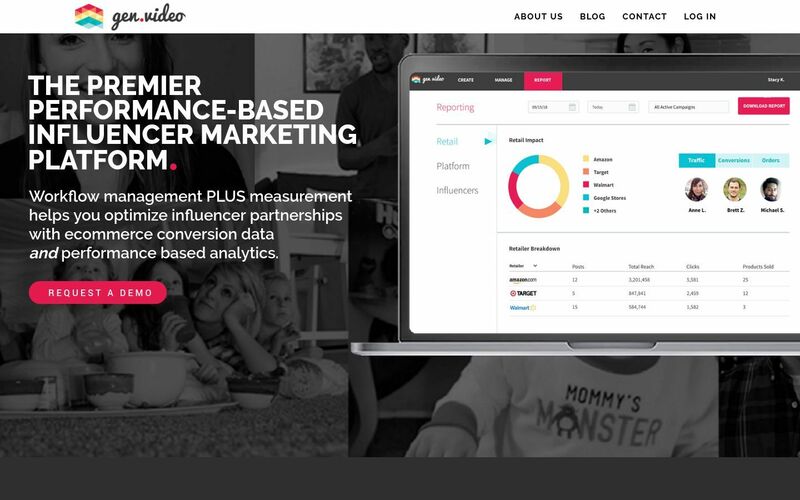 Sideqik is an influencer activation platform where you recruit, manage, and activate influencers who return results. Through Sideqik you can set up and manage campaigns, get analytical insights about your influencers and measure results. Sideqik also offers some consulting services. 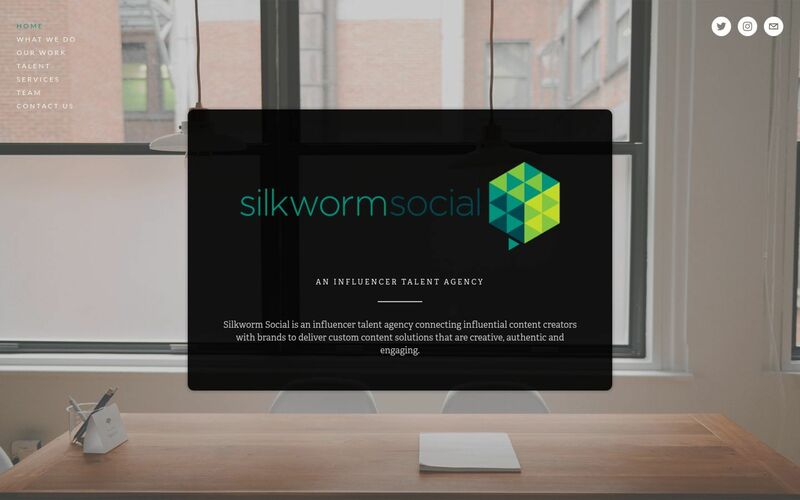 Silkworm Social is an influencer talent agency and provides opportunities for brands and influencers to come together and generate authentic, engaging content that’s specially engineered for organic shares, increased traffic, and higher conversions. The results-oriented team at Silkworm Social is dedicated to serving both influencers and companies by creating brilliant partnerships that are beneficial to both parties. 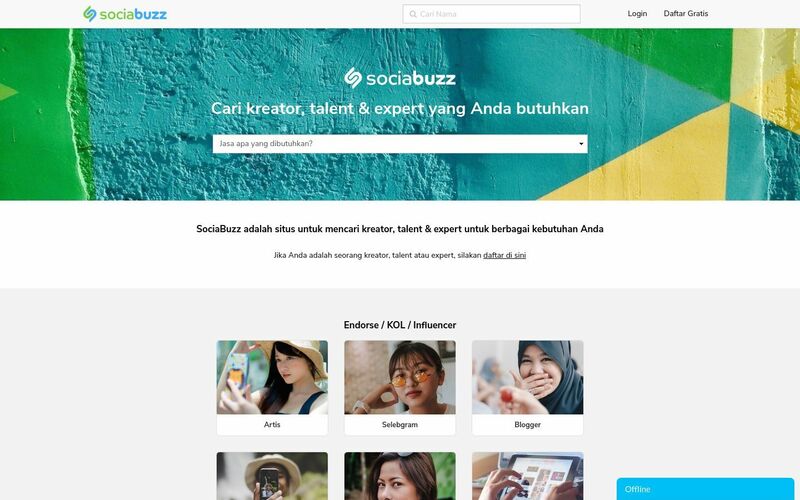 SociaBuzz is based in Indonesia and connects advertisers with influencers. Through SociaBuzz, advertisers have the ability to promote their products and services on social media through influencers easily and quickly. 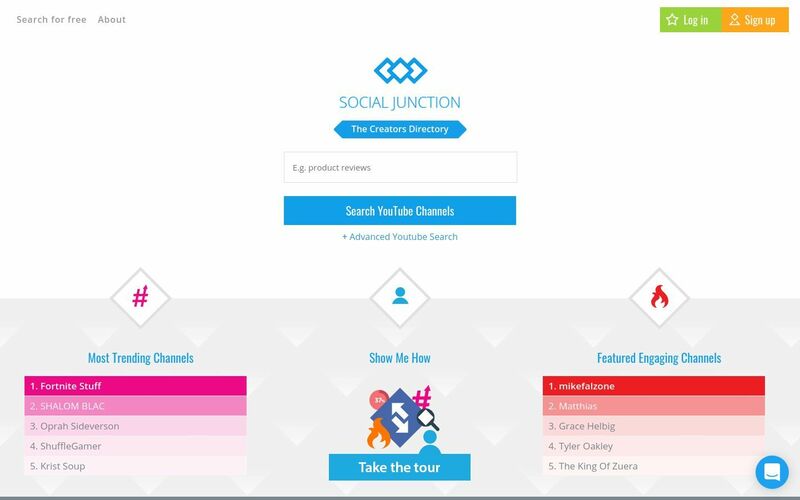 Social Junction is a multi-platform influencer identification tool. The goal is to make finding the perfect influencer for your project fun and easy. 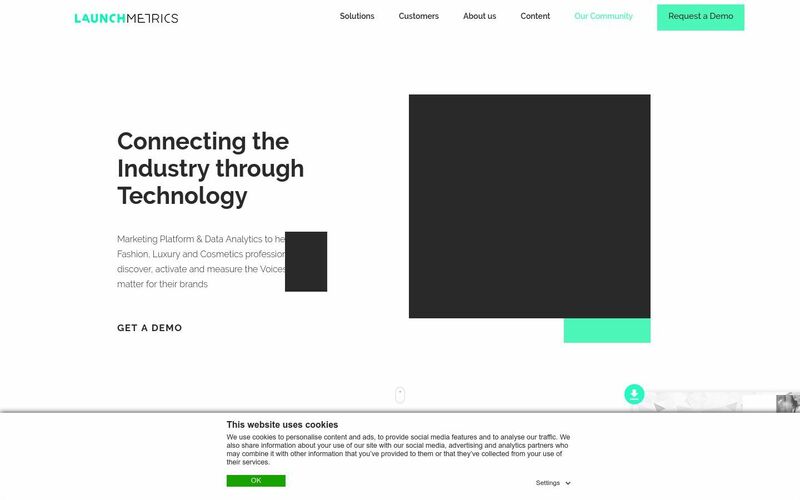 Their proprietary “Search and Match” technology allows you to perform deep searches (using over 60M keywords and search phrases & demographic filters) to create interactive pitches using real-time data across multiple social platforms. 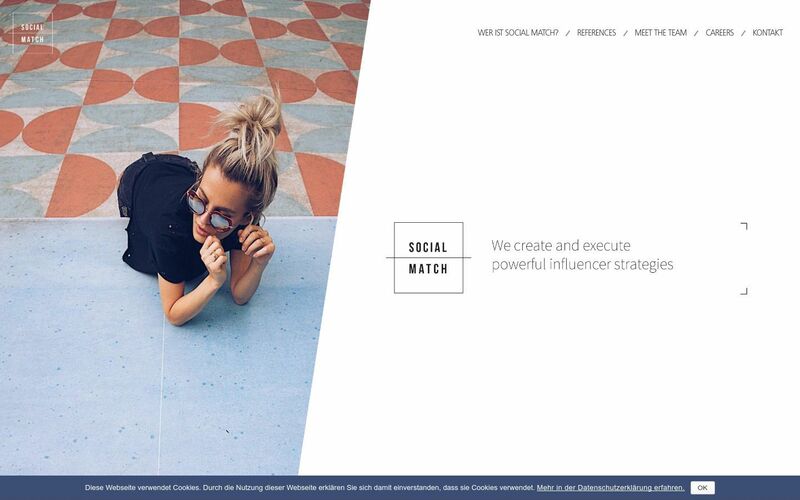 Social Match is an agency based in Germany that focuses on Instagram influencers. Social Match works with you to develop an individualized campaign which means they help with research and matching the best influencers for your band and your goals. They take care of running the campaign for you. 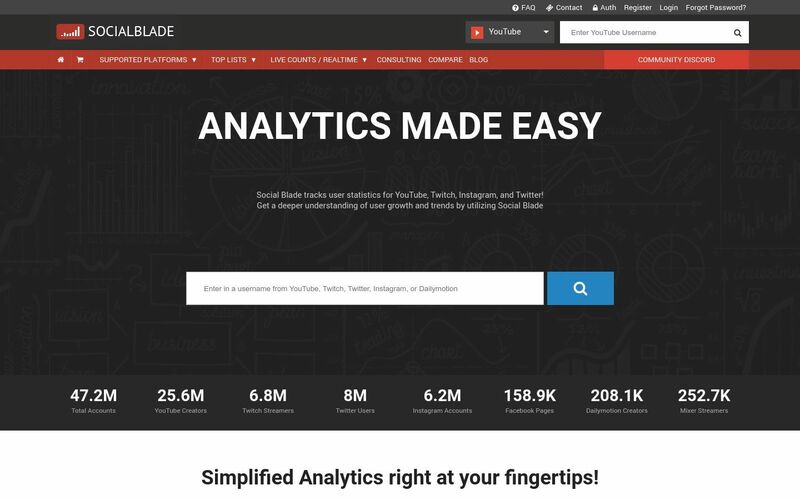 SocialBlade is an aggregator of YouTube, Twitch, Instagram, and other social media statistics including the number of subscribers/followers and how much content an influencer has posted. It lets you see the reach, activity and stats of each platform’s top social media leaders. SocialBlade also offers help to YouTube influencers to grow their channels more efficiently and effectively. SocialCoaster is a full-service influencer marketing agency that focuses on building brand awareness and credibility through smart influencer partnerships and custom-built content strategies. Their clients include Burger King, Assassin’s Creed, FitTea, and BlueHost, among others. Socialix is an influencer activation platform that acts as an end-to-end solution for running effective influencer marketing campaigns. Socialix technology detects optimal brand influencers, makes activations instantaneous and automatically tracks the performance of influencer content. With Socialix, you’ll spend less time doing manual research, cold-outreach and managing communications with influencers. You’ll be able to focus on the things that really matter, such as campaign optimization, strategy enhancement, and data analysis. Socialseeder bills itself as an all-in-one platform. Using SocialSeeder, you can run referral, affiliate, influencer marketing, and advocacy programs in one place. Using SocialSeeder, you can identify and recruit your “ambassadors,” activate them and run multiple, targeted campaigns, engage with them to develop relationships and harvest and monitor every stage of the process. 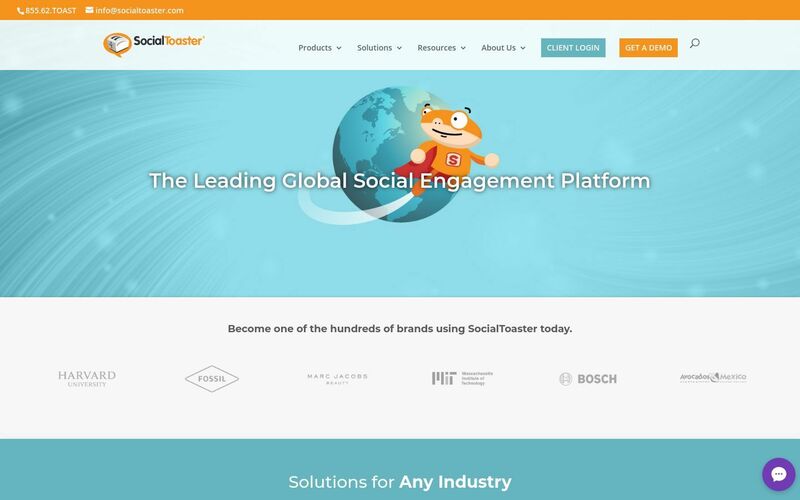 SocialToaster works through their custom fan engagement platform where you can empower your biggest supporters to act as word-of-mouth ambassadors for your brand; Content is sent directly to them through SocialToaster and they share with the click of a button. 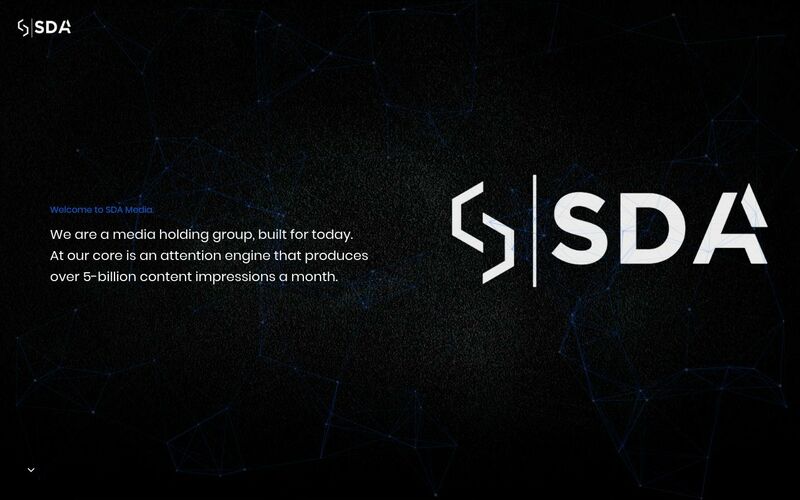 Socialyte is a full-service agency and handles everything from strategy, content creation to execution. Socialyte works closely with you to develop and manage a customized influencer marketing program. Campaigns are crafted to realize predicted reach and engagement goals, ensuring the success of each and every one of your influencer programs. 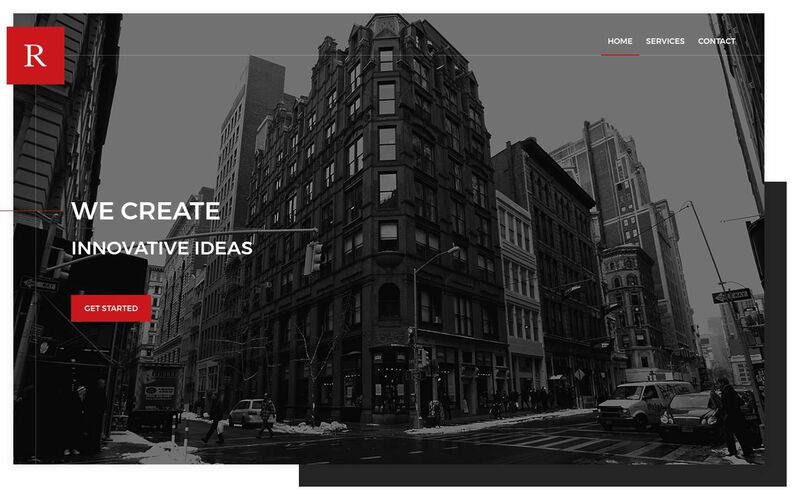 Socioar is creative digital communications agency. 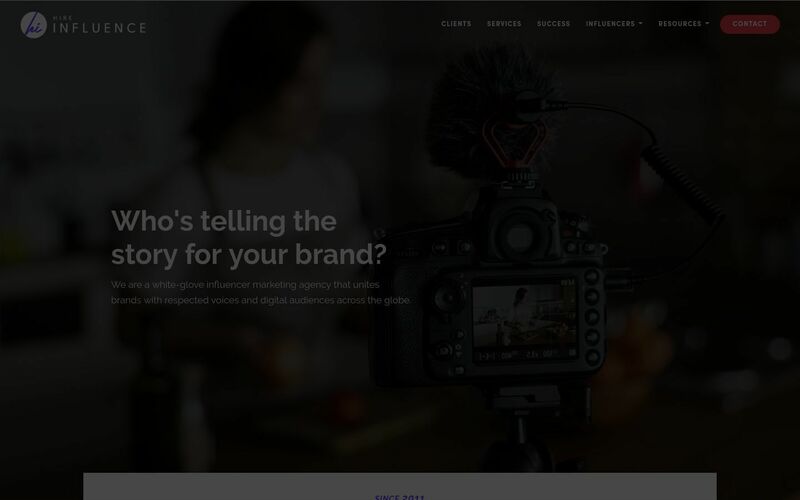 Socioar helps clients with everything from brand identity, website design and social media marketing to digital PR, reputation management, and influencer marketing. SocMetrics provides a Web-based self-service platform that helps you to identify existing influencers for your niche, understand the most promising advocates, engage your target list, drive your messages and actions and monitor and analyze your campaign ROI. 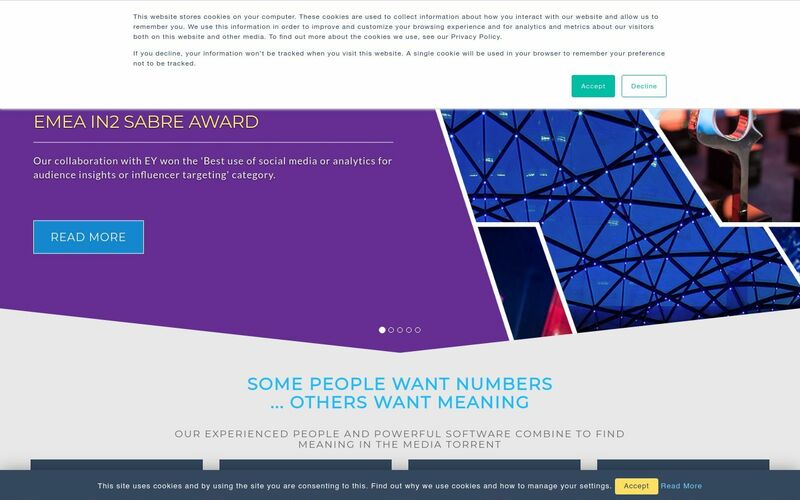 Speakr combines a cutting-edge software platform that can be used to engage with over 37,000 key influencers, alongside professional services that can help you get the most out of their award-winning software. You can choose to create and manage your own campaigns through their software, or partner with their professional services team for a fully-managed influencer marketing campaign. Previous clients include SONY, FOX, Samsung, Disney, Best Buy, and more. Sprout Social is geared for digital agencies and helps you understand your audience’s interests, influence, interactions, and i ntent. Sprout Social helps you with social listening, social analytics, content share tracking and conversion tracking. You can identify influencers, understand your target audience, and analyze emerging topics of conversation to strategically drive brand awareness. Learn who is talking about your brand, what they are saying, and where they are saying it. 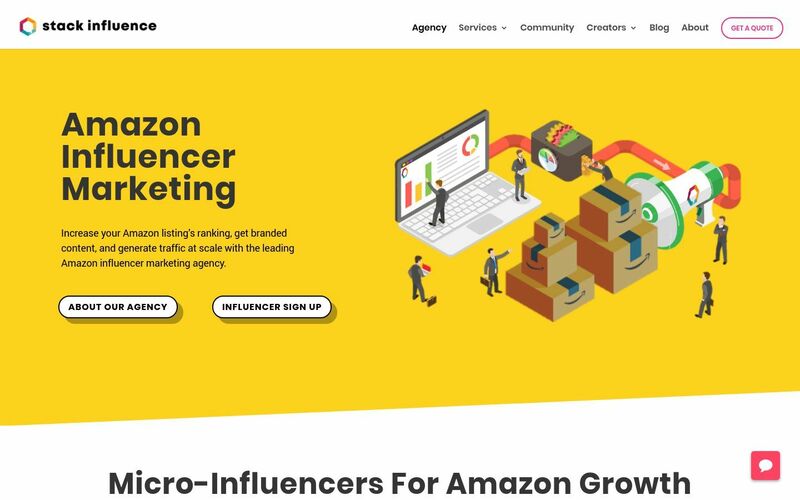 StackInfluence is a micro-influencer agency focusing on the Amazon marketplace — They’re first movers in the Amazon influencer marketing space. Their network of vetted micro-influencers, proprietary management software and cash-back rebate program help create curated digital content and drive high valued traffic to Amazon listings. For merchants, this increases rankings, sales and brand awareness while eliminating the hassle and risk of influencer transactions. 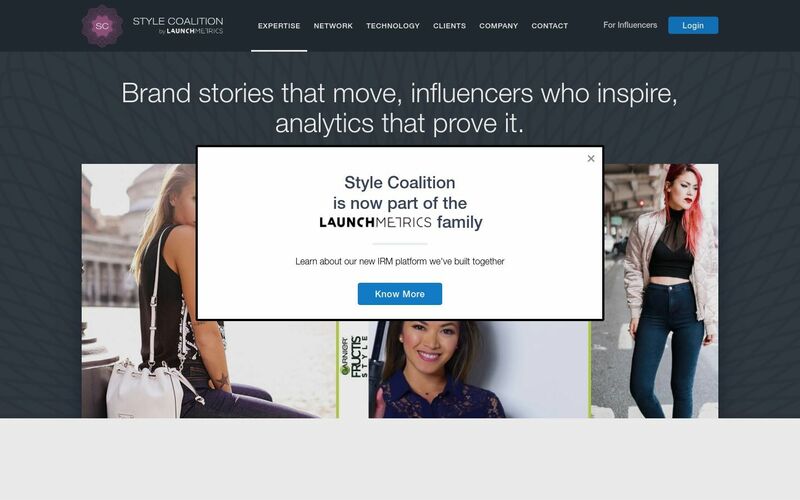 Style Coalition is an influencer marketing platform that helps brands tell stories by engaging its network of creative power influencers. Style Coalition has spent just under a decade building and fostering relationships with top lifestyle influencers who have proven successful for brands. Their strongest relationships include the most sought-after celebrities, digital influencers, top models and other industry tastemakers. We capitalize on influencers’ highly-engaged, loyal audiences across blogs, Instagram, YouTube, Facebook, Snapchat, Twitter and Pinterest to tell brand stories, increase brand engagement, help with brand sentiment and ultimately, drive sales and deliver ROI. Sway Group is a full-service agency that combines traditional digital advertising methods with an emphasis on influencer marketing. 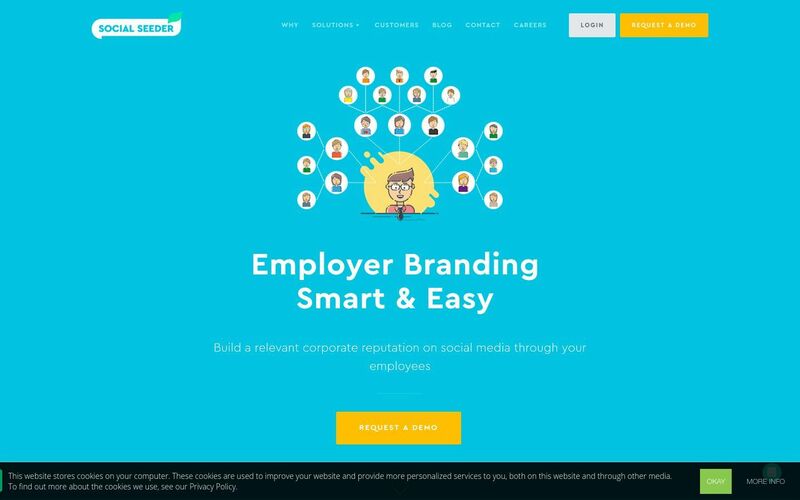 They recruit, contract with, and communicate with influencers for you. This allows you to streamline your marketing campaigns and reduce the time spent micromanaging individual influencers. TalkWalker is an analytic tool that helps you discover your most important influencers. It’s social media analytics platform enables an in-depth study of your influencer universe including blogs, newspapers and which individuals are the most influential. To determine your effectiveness, results are sorted out under the categories of engagement, post number, and sentiment. 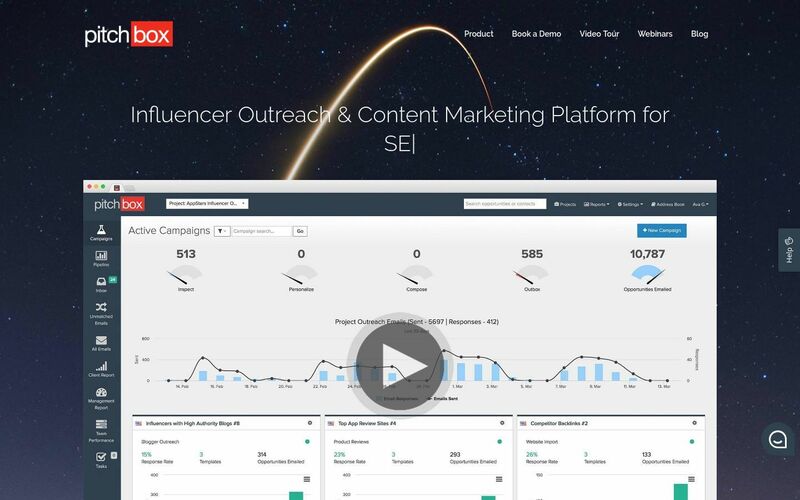 This lets you watch the influencer metrics that you need to track. 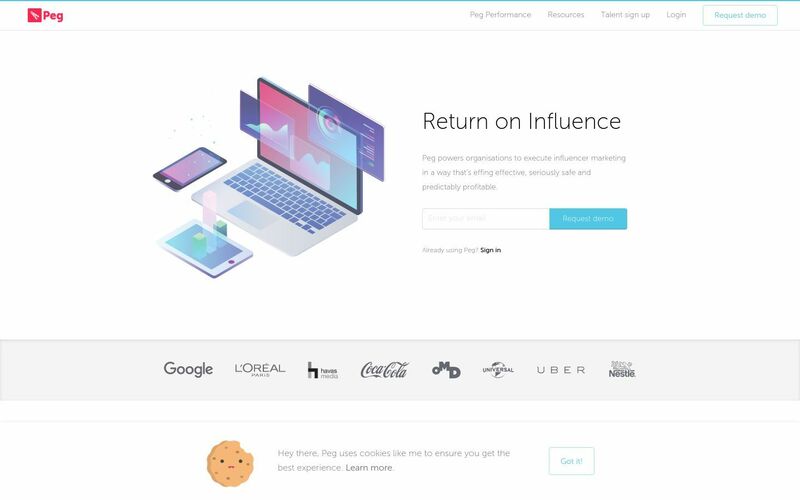 Tapinfluence provides a smart online platform that connects marketers with influencers and boasts powerful automation tools that help smaller business or agencies maintain more control over their influencers – without spending time micromanaging them. Tempesta Media was founded in 2011. 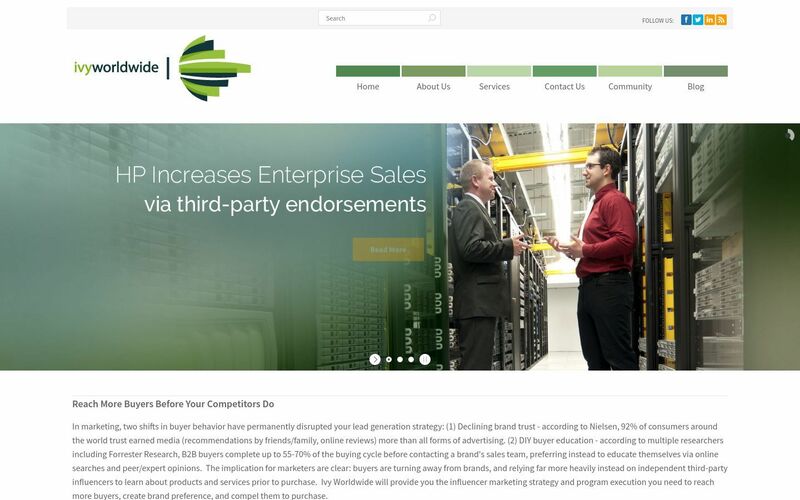 It is a content and influencer marketing platform delivered as managed service for digital agencies and enterprises. 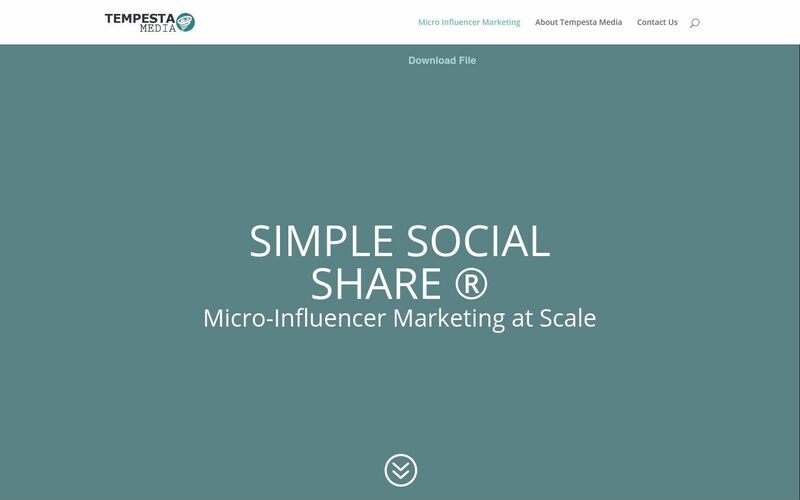 Using their proprietary brand value technology, Tempesta Media can accurately and predictably measure each influencer’s ability to drive engagement and action before a single dollar is spent by customers. The result is a micro-influencer program that drives prospects deeper into the sales funnel. Terakeet finds influencers who matter to your customers and inspire them to write about your brand. 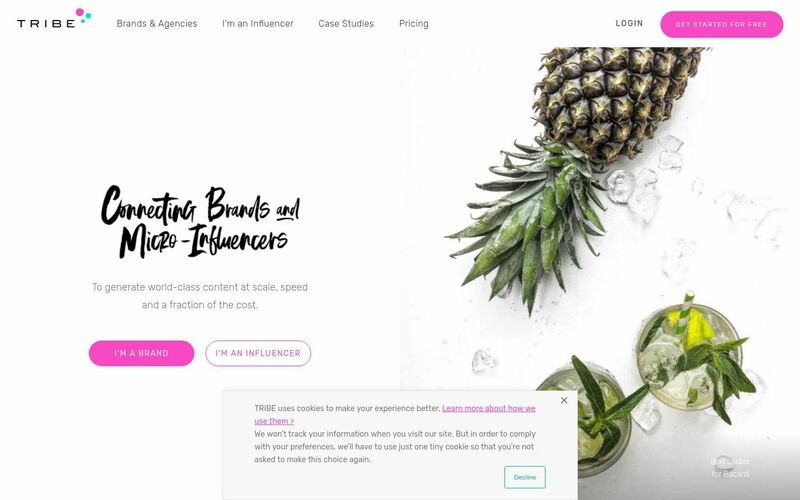 They have an ability to run unpaid influencer campaigns making their approach adaptable to a range of goals, from brand and product awareness to enterprise search engine optimization. 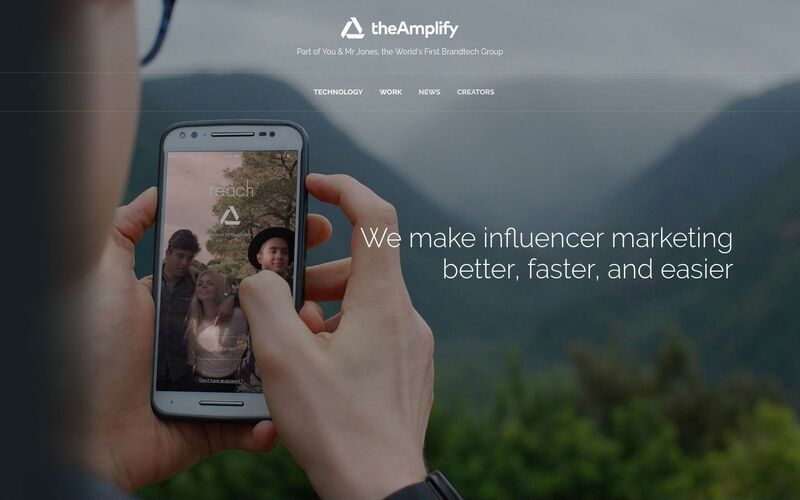 The Amplify is part of the You & Mr. Jones, the brand technology company. The Amplify uses influential social media creators to distribute content for clients to amplify their message. They are only interested in partnering with “A-List” brands. 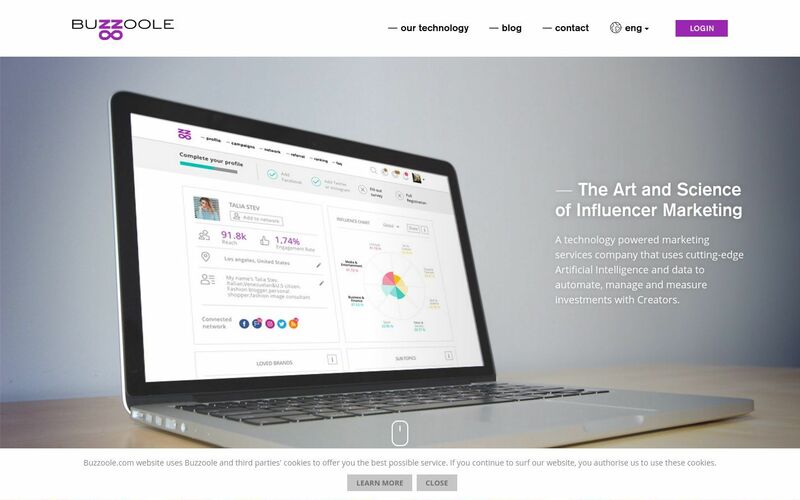 The Cirqle is an exclusive network of influencers with just 9,000 on its database. That might seem a small number in comparison to other platforms, but The Cirqle prides itself on highly creative and quality campaigns. It has worked with brands including Samsung, Belstaff, Oliver Sweeney and Made.com. 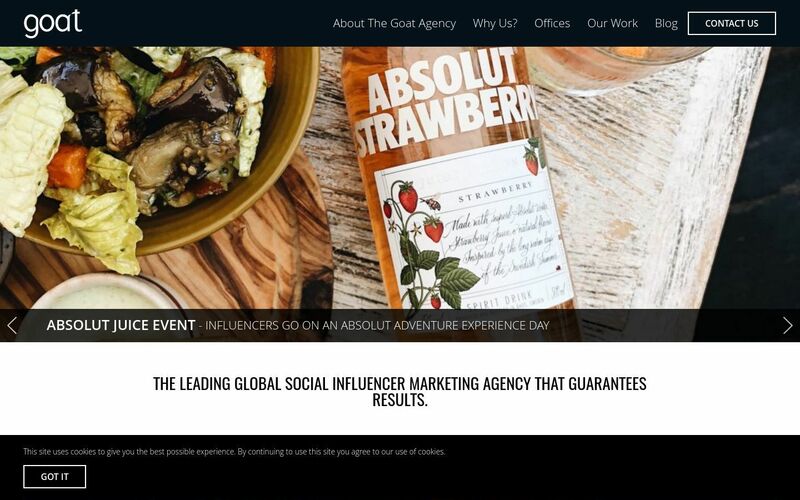 The Goat is a neutral influencer agency that uses data through their unique CRM system and campaign experience to ensure they are always using the most effective influencers in order to hit your KPI’s. They’re CRM is unique because they’ve built it by tracking thousands of influencer posts over the past 4 years. As the largest neutral influencer agency in Europe, they have built great relationships with influencers across the world. This allows The Goat to get influencers to work on minutes notice, pre-contract, because they have built trust through the market. This flexibility is crucial to success. 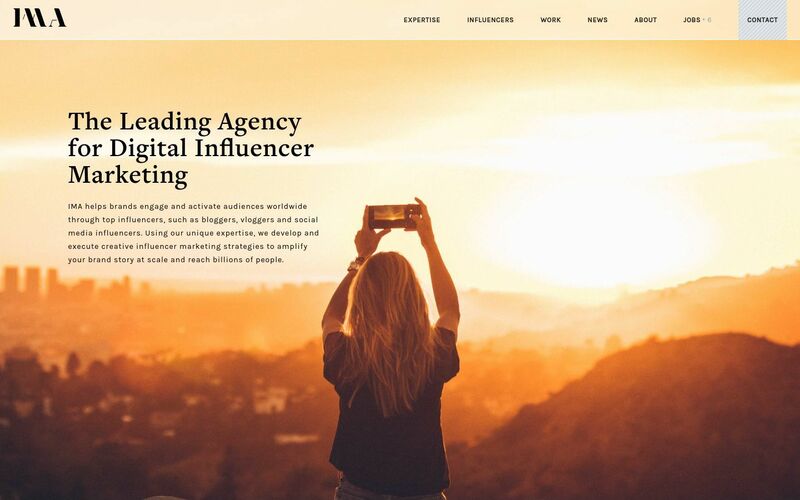 The Influence Agency is a team of digital marketing professionals that specialize in custom digital advertising strategies for brands and influencers around the globe. For agencies, they offer an extensive list of influencers in all categories with identifiable brand affinity. This means connecting you with influencers that fit perfectly with a brand image – creating a more authentic campaign. For influencers, they provide unique business opportunities to leverage their following, in order to promote and endorse some of the biggest brands in the world, while getting paid to do it. The Influence Marketer, Tom Augenthaler, is an accomplished consultant in influencer marketing strategy and campaign design. With a distinguished record to back him up, Tom helps entrepreneurs, business owners, and marketing teams leverage the power of influencers to boost brand awareness and generate strategy driven ROI. As a contributor to Social Media Examiner, Social Media Today and The Beauty Influencers he shares his thought leadership and knowledge. 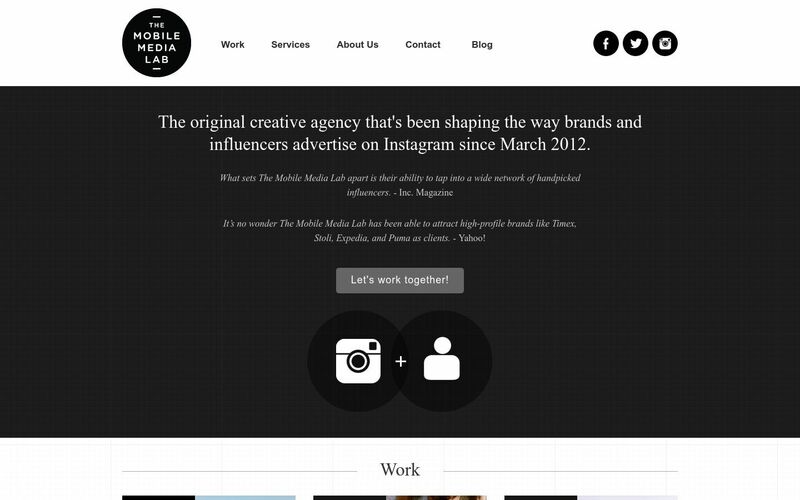 The Mobile Media Lab focuses on Instagram. The MML Network is made up of influential Instagrammers and talented photographers around the world who create and share stunning images for clients. The MML works with you every step of the way from campaign development through influencer activation to ensure your goals are met. The Motherhood is the mother of all influencer networks. They connect brands with key consumers through a network of smart, passionate influencers from millennials to lifestyle-focused to moms and beyond. The Motherhood specializes in connecting brands with the right influencers – women and men who feel a personal connection to the brand objectives and harness that connection to create authentic, impactful sponsored content. The Motherhood’s neighborhoods of influence play a key role in helping to drive engagement and increase sales, sparking deep loyalty among consumers, and our work with them generated more than 3 million online impressions every single day of the past year. 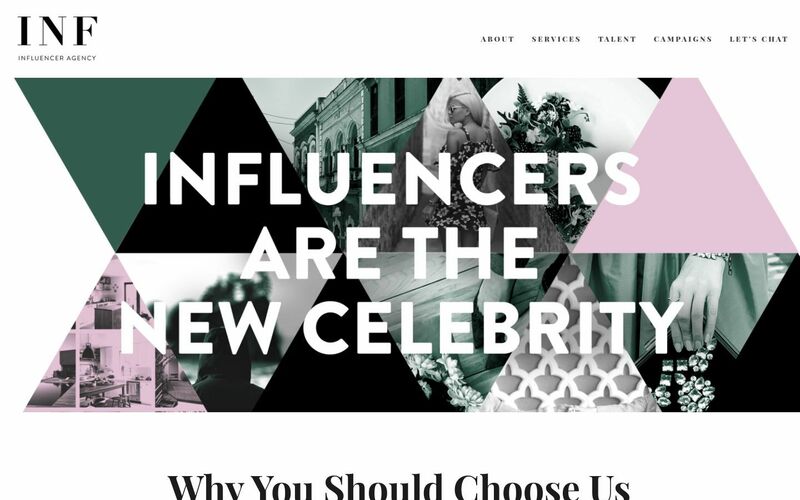 The core of their network is the The Mometer: a proprietary database and project dashboard filled with insights on the top influencers in food, fashion, tech, DIY and beyond – all of them trusted bloggers they’ve gotten to know over the years. 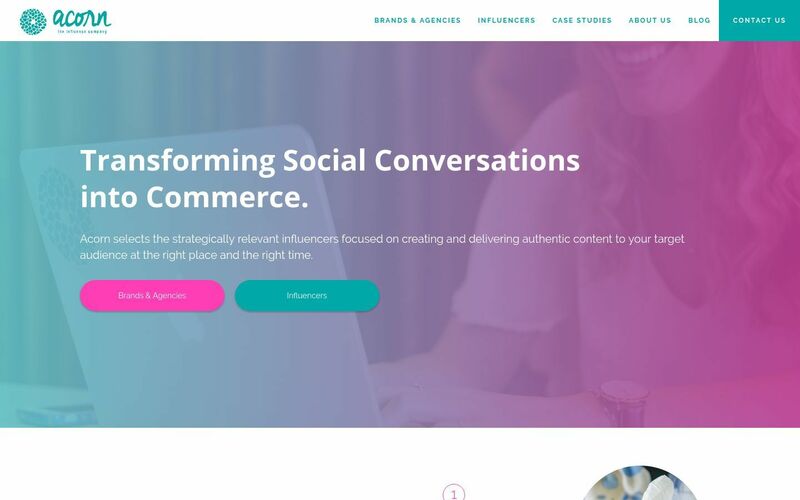 The Storyteller Marketer, founded by Jason Quey, helps e-commerce stores, small businesses, and startups spread their story faster, by combining the power of content and influencer marketing. They offer a six-week, money-back guarantee. If you don’t think they’re on track to deliver the results you desire, they’ll give you a full refund. 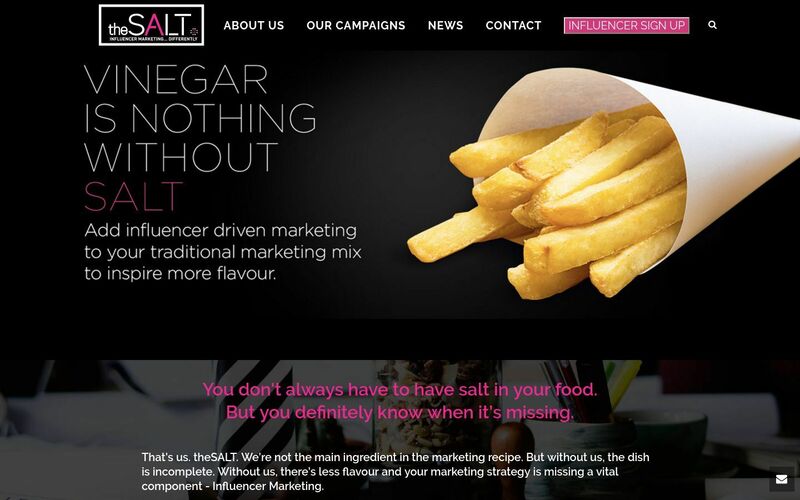 TheSALT helps you identify potential influencers, communicate with them about your brand and turn them into brand ambassadors. 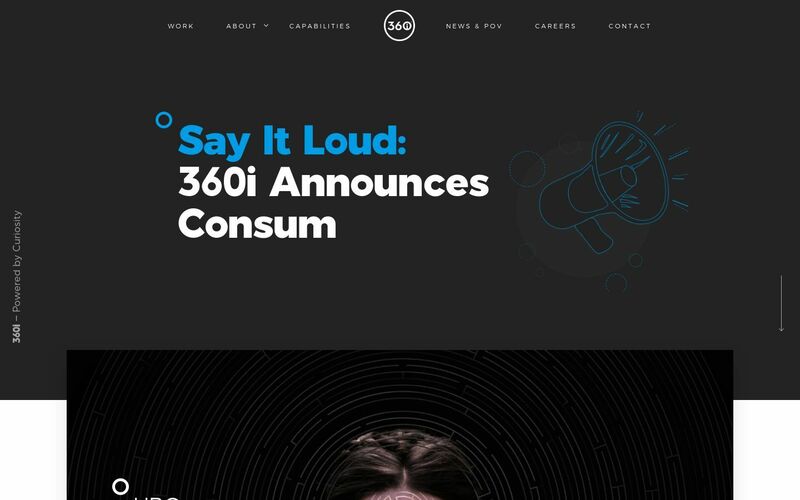 TheSALT has built a database that has in excess of 46,000+ registered potential brand advocates. Each individual has completed a 60-question entry form that covers lifestyle, daily activities, brand consumption habits, shopping habits, and family life and travel habits. This process has provided them with rich data about each person, which they filter to ensure that: They are emotionally engaged with your brand message; Sharing information, solving problems and helping others is an integral part of their personality; They have a need to contribute and be recognized; Alignment to influencers within communities represents the exact target market you need. Tidal Labs‘ proprietary ContentMetric® influencer platform combines all the tools needed to manage influencer activations in one enterprise-grade stack. This makes it simple for companies to manage influencer networks, campaigns & destinations. Their influencer CRM/CMS brings together social profiling, influencer management, content, commerce, and analytics together into one tool. Tap into Tidal Labs’ 50k+ editorial micro influencers to get your brand’s private influencer network going. 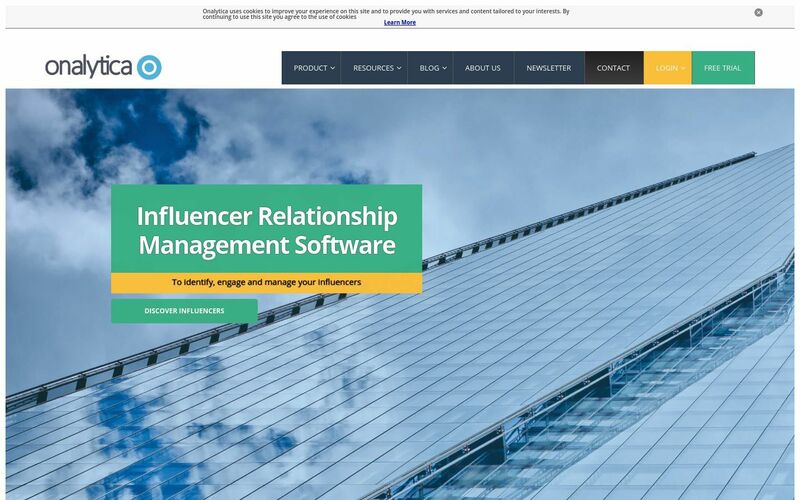 Traackr is the first-ever “IRM” – Influencer Relationship Management software. This powerful software allows you to upload custom profiles for each one of your influencers, and track the performance of each and every one of your influencer partners with in-depth analytics. By doing so, you can promote a better relationship with your influencer partners, and maximize your ROI by partnering only with influencers who have proven to get results. 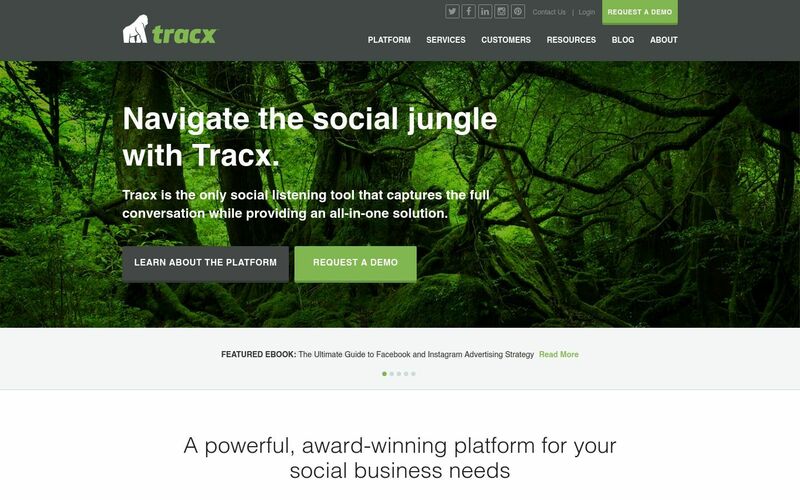 Tracx is a social listening tool that enables you to discover new opportunities and better understand all aspects of your business – from customers, to competitors and influencers. The system refines and analyzes mass amounts of data from across the social web, then makes that data actionable. 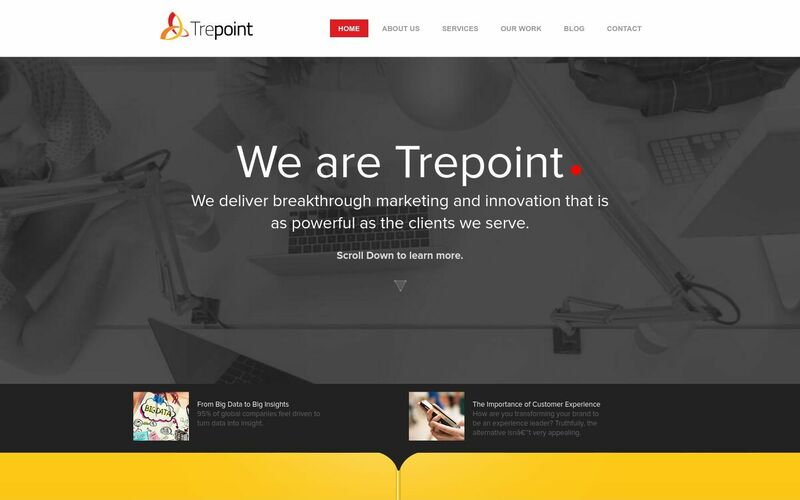 Trepoint focuses on influencer marketing, as well as SEO, SEM, and PR campaigns. 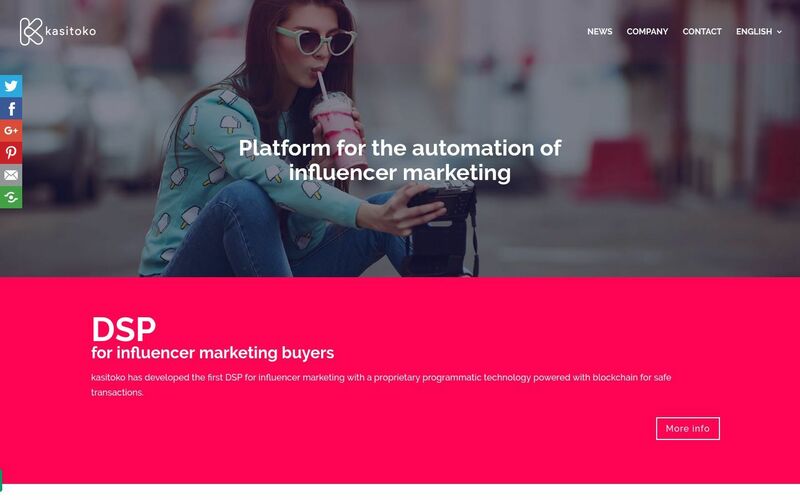 By providing a comprehensive online marketing strategy that includes influencer marketing alongside traditional digital advertising techniques, Trepoint allows smaller brands to consolidate their advertising and marketing campaigns under one roof. 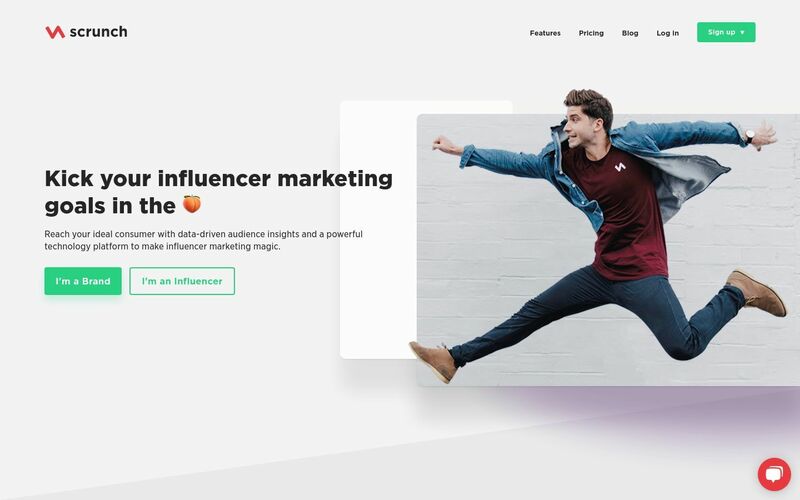 TRIBE is a self-serve influencer platform focused on Twitter, Facebook, and Instagram, and provides powerful tools to connect brands with influencers and content creators around the world. Simple budgeting and content brief tools allow individual content creators to bid on projects, and a large network of content creators ensures you’ll always find the right influencer for your campaign. 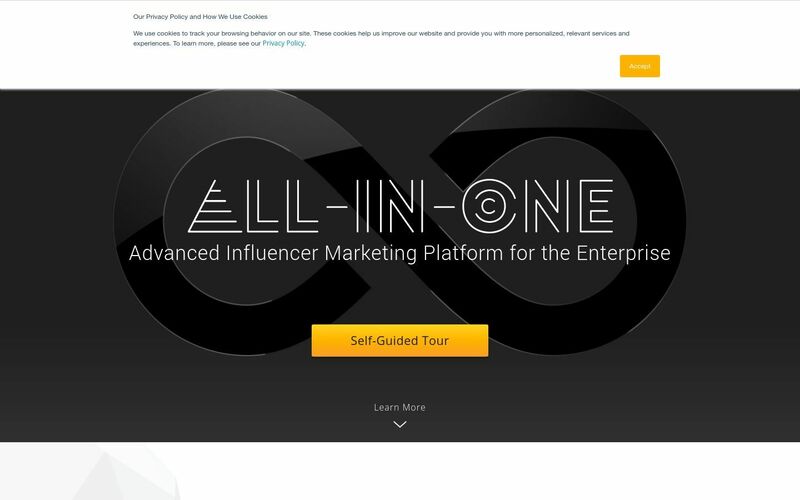 UnityInfluence is an influencer marketing technology product designed to make influencer advertising easier for everyone involved. With our AI matching software, we’re able to match brands and influencers effectively and speed up the entire brand collaboration process. Unity believes in making influencer marketing effective at any budget. The starting price is $200. Upfluence is focused on two primary products. “Reachr” is their advanced metasearch engine that provides advertisers and brands with a wide variety of influencers across every major social media platform, and “Publishr” integrates Reachr’s search capabilities with an advanced Content Management Software (CMS). 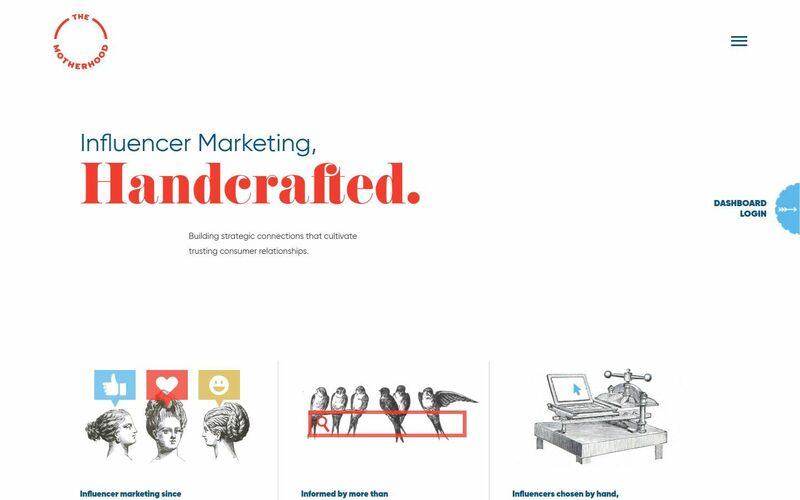 Marketers and agencies can use Upfluence on their own, or partner with professional strategists, industry specialists, and media planners for a full-service influencer marketing solution. 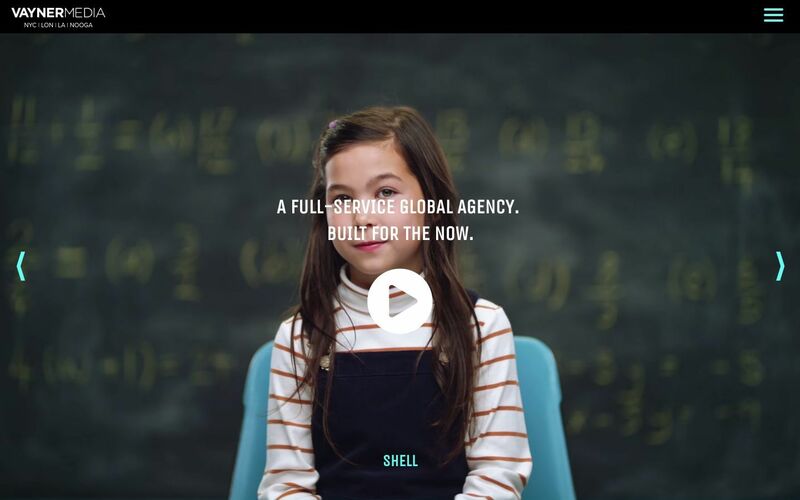 VaynerMedia is full-service digital agency built for the now. Led by Gary Vaynerchuk, VaynerMedia partners with clients to drive their business outcomes with best-in-class modern video production, media planning & distribution, influencer marketing, Google & Alexa voice services. Vazoola is a platform connecting companies and brands with thousands of key online influencers. Their vetted content creators write articles, make videos, share on social media, and run promotions, and use that influence to promote our advertisers. Vazoola also provides extensive metrics and data analysis to create high-efficiency campaigns. Veloce is an influencer directory focusing on quality rather than quantity. 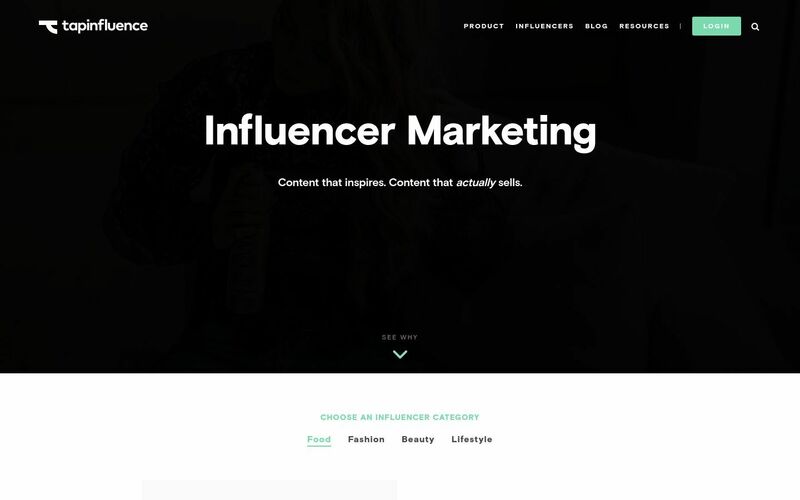 The directory contains 3K+ highly targeted, hand-picked influencers that you can filter by all the world’s countries, 8 niches, 5 social platforms, follower count, and gender. Different from most other directories, all influencers in the Veloce directory are carefully selected and hand-picked by our team and need to meet several strict criteria such as high engagement, no fake followers, and be a true influencer over people to be granted a space. Great results are achieved by quality influencers, not quantity, and this is something we believe was missing in the influencer directory space. 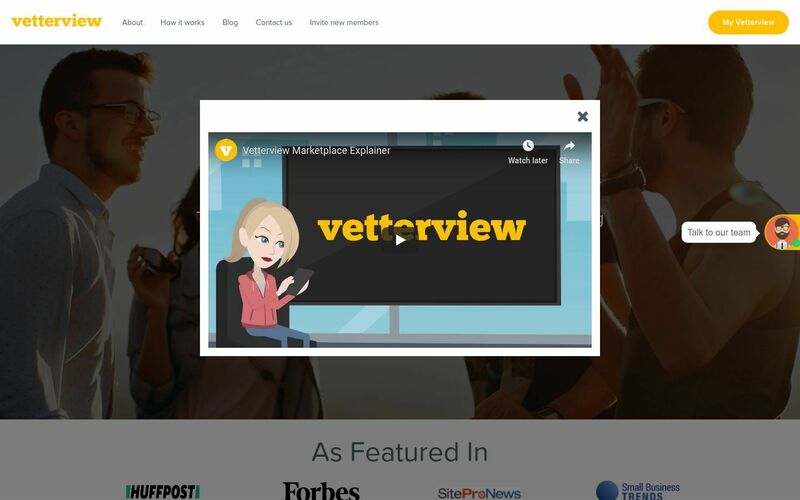 Vetterview is a Forbes and HuffPost featured online, subscription free influencer marketplace, connecting influencers and content creators directly with brand collaboration opportunities. The marketplace eliminates barriers to entry for marketers, business owners and influencers alike. Vetterview empowers collaborations across Instagram, Facebook, YouTube, Twitter, and blogs. 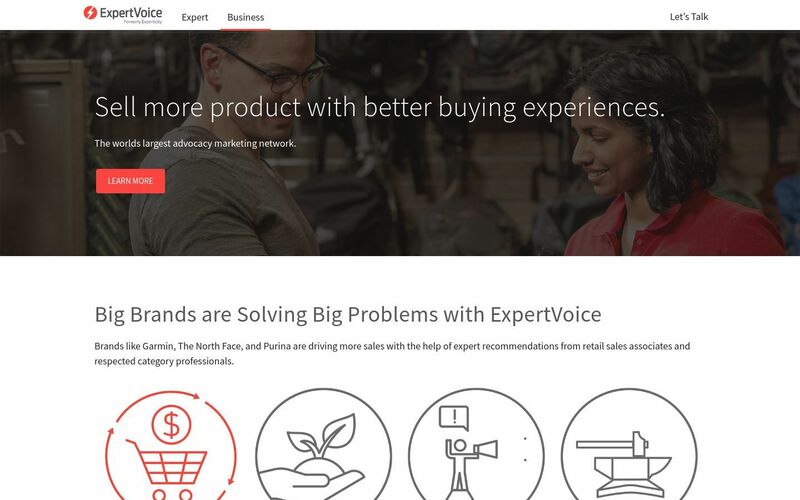 In addition to the marketplace, Vetterview offers a Managed Influencer Campaign Service that acts as an outsourced influencer marketing team for brands as well as a white label option for agencies, freelancers, and consultants. Viral Nation is a talent agency representing top social media influencers on Instagram, YouTube, Facebook Twitter Snapchat & Musical.ly. They have the largest exclusive talent network in the industry and they specialize in creating content, for top brands, through their influencers in the most organic way possible. 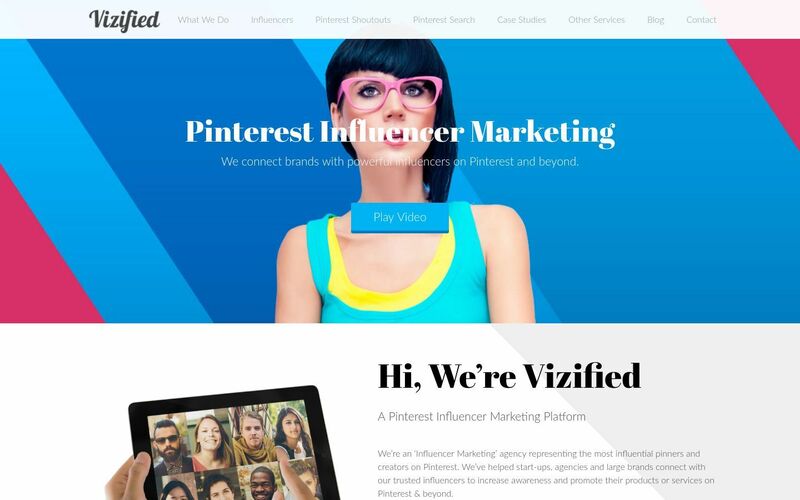 Vizified is a Pinterest focused influencer marketing agency. Their process starts with doing a deep dive to understand your brand/company in detail. 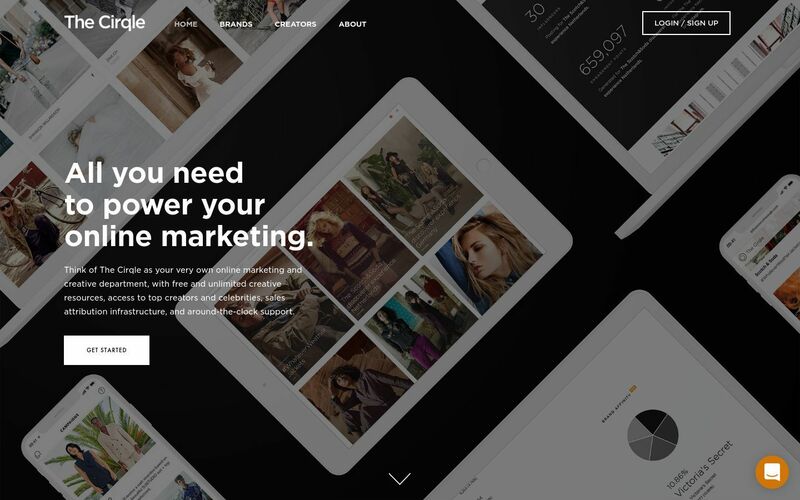 Vizified then works with Pinterest influencers to create attractive visuals of your product and then develops a storyline to accompany the visuals. The influencers then share this content with their followers — driving awareness and engagement for your brand. 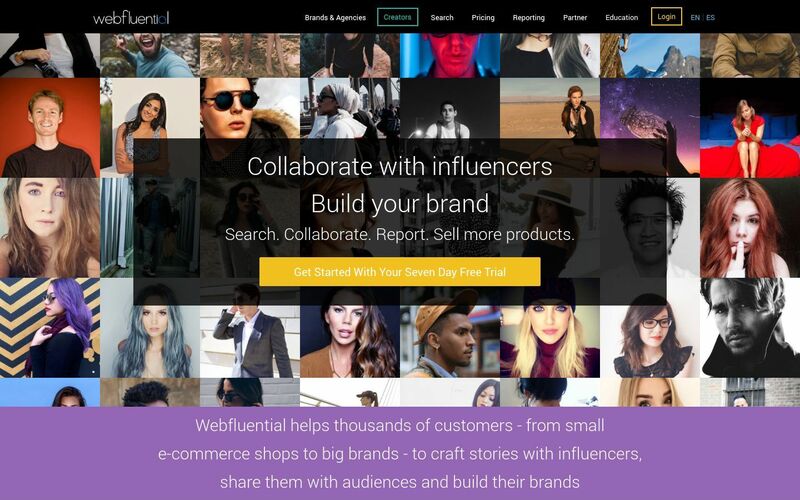 Webfluential has been developed as a platform which acts as a ‘one-stop-influencer-shop’. Their technology provides the convenience of being able to search for relevant influencers, shortlist potential candidates, brief participants on requirements, track workflow, monitor results, unpack learnings and manage logistics like payments. This platform is for marketers who choose to utilize the platform rather than work directly with influencers for convenience, expert guidance, resource support and professional campaign management. 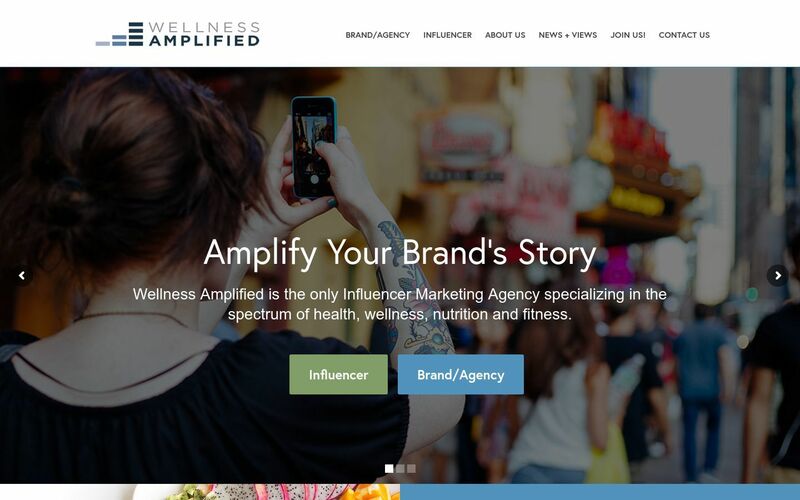 Wellness Amplified is the ONLY influencer marketing agency focused on the breadth of specialties in Health, Wellness + Nutrition. They have access to the largest community of credentialed health & wellness influencers with digital followings. They strategically partner brands with these experts – healthcare professionals, wellness practitioners, and health lifestyle advocates, offering marketers the ability to reach health-minded, wellness-aware consumers AT SCALE. 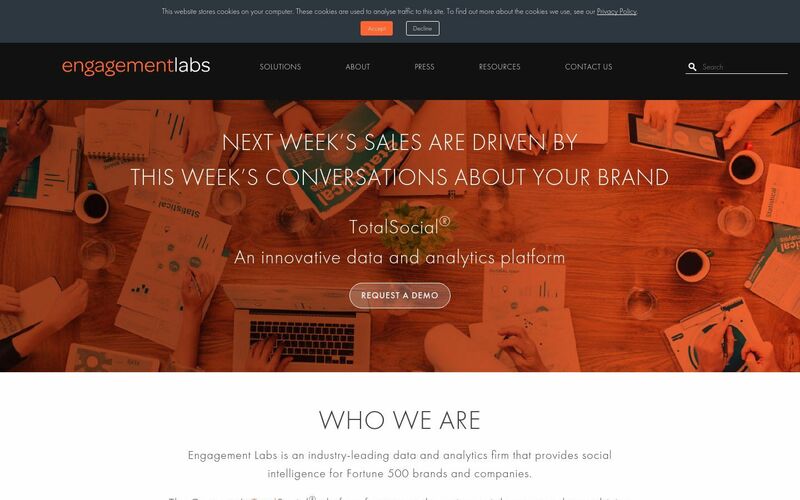 Zoomph delivers deep influencer analytics to activations. help brands understand their connections. Zoomph doesn’t just capture vanity metrics. They distill data into social narratives that are specific to your campaigns and big data strategies. The combination of their platform, social identity data, and tools help drive your ROI strategy. 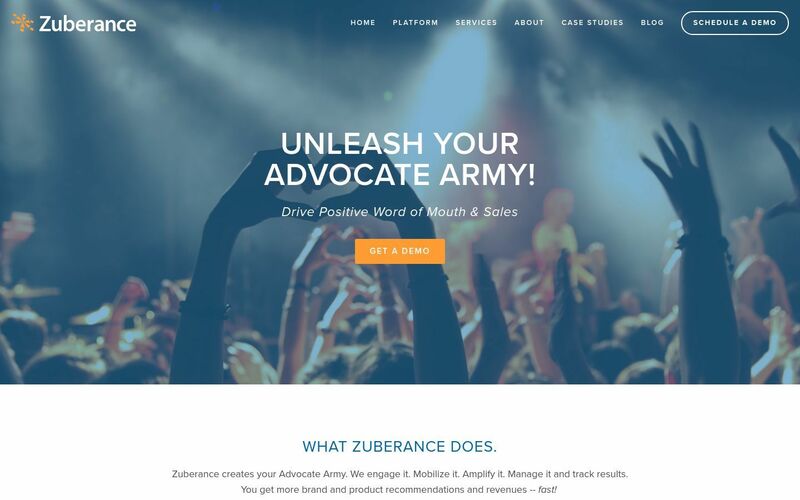 Zuberance is a full service “advocate” marketing company. It enables you to systematically identify/engage, mobilize, amplify, and re-engage advocates (influencers). Zuberance’s integrated analytics track their actions and results. With Zuberance, you can encourage and enable advocates to publish and share reviews, stories, and more to the third-party sites including CNET, Amazon, Apple iTunes, Google+, Instagram, Pinterest and more.